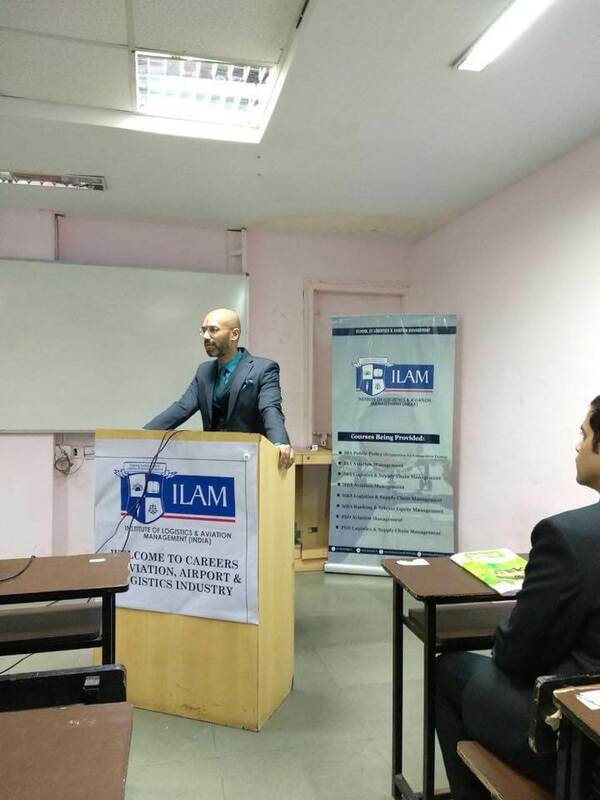 At ILAM, we believe in balancing both theory and practical training. 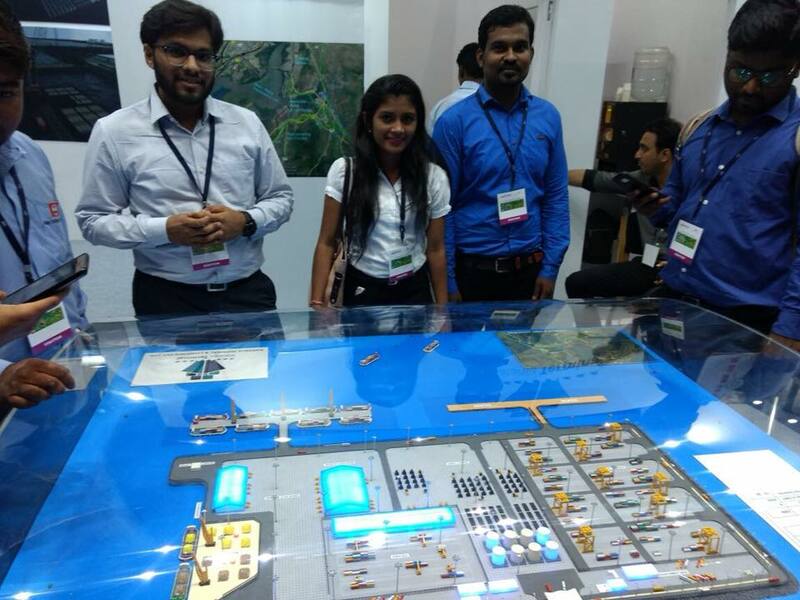 Industry interface enables students to analyse and understand the changing dynamics of the industry. 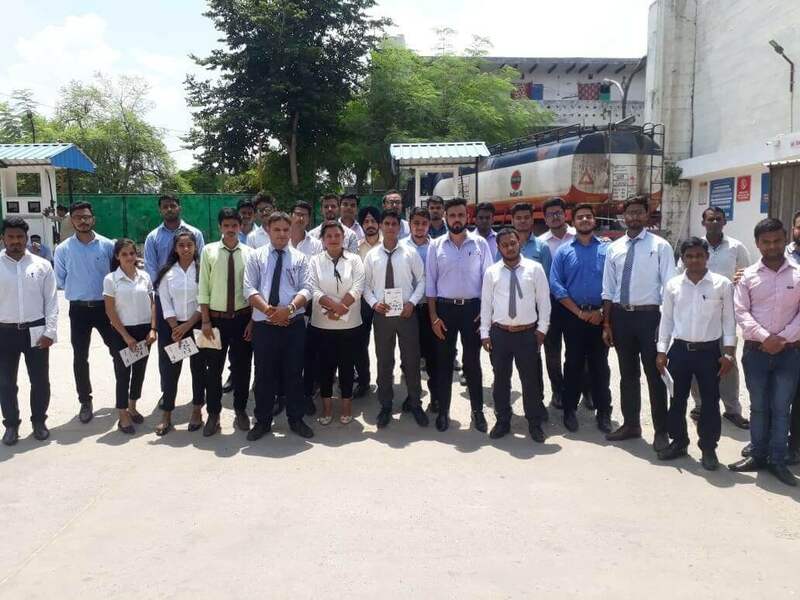 Periodical Industrial visits are arranged for the students. 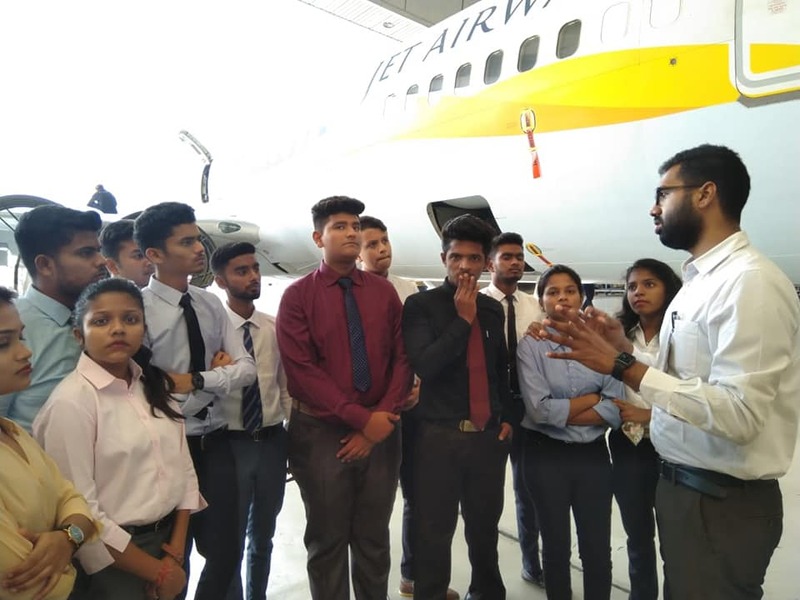 Industrial Visit Series - Juhu Airport - Students visited Kestrel Aviation Charted Chopper flight services. 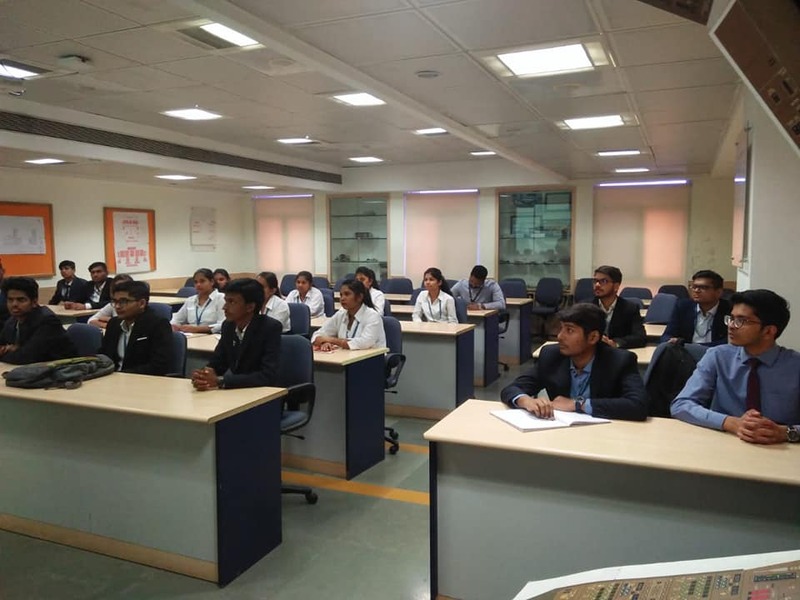 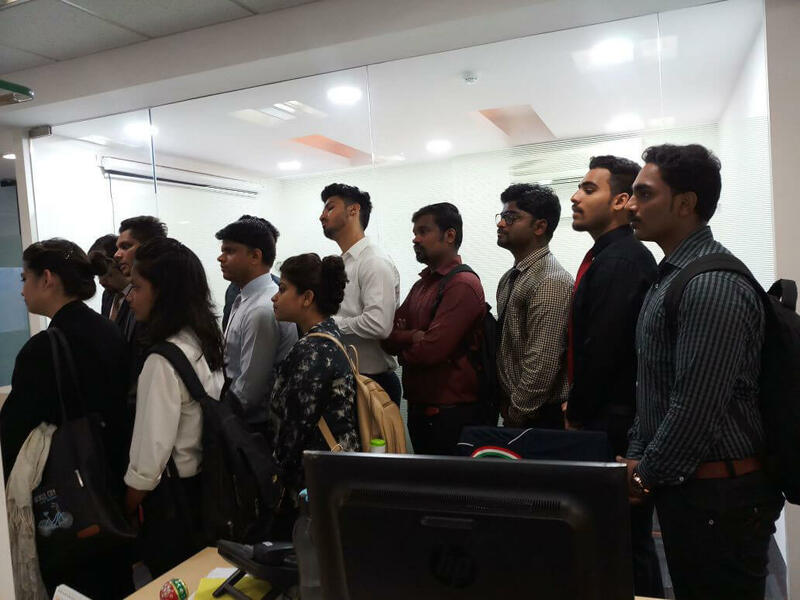 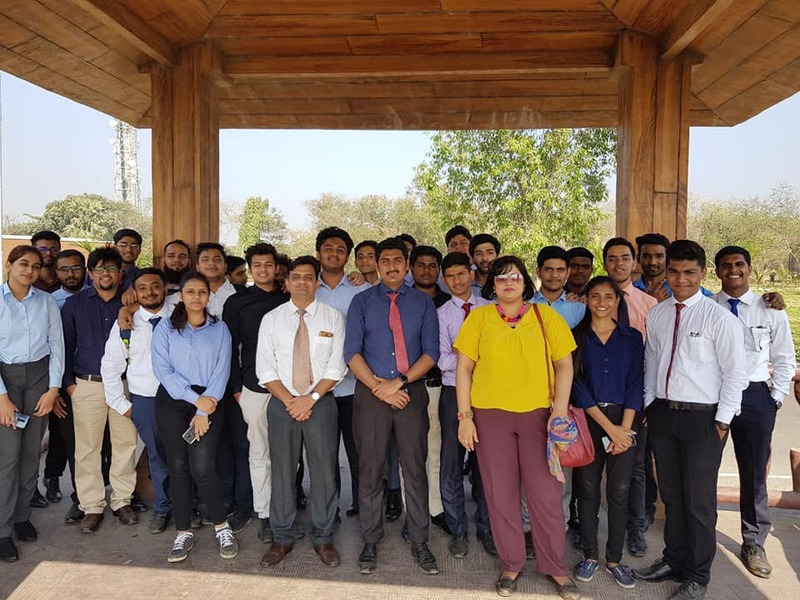 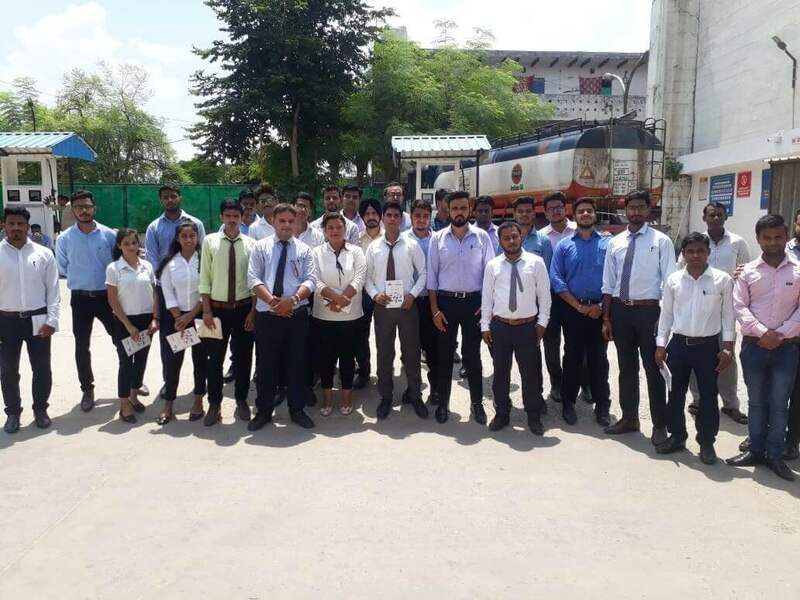 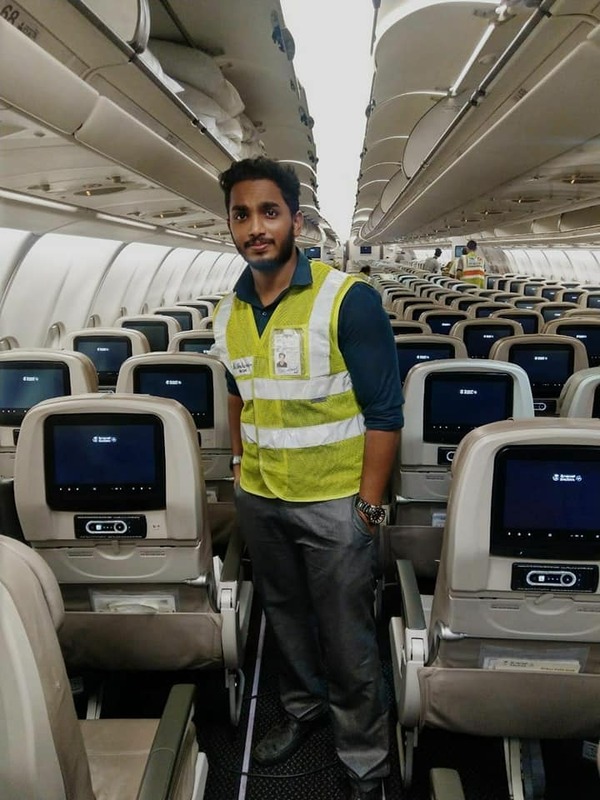 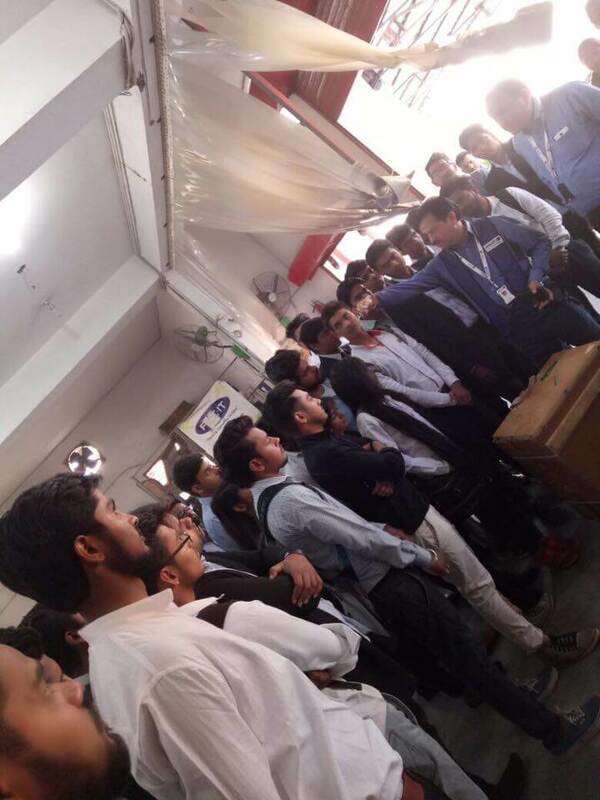 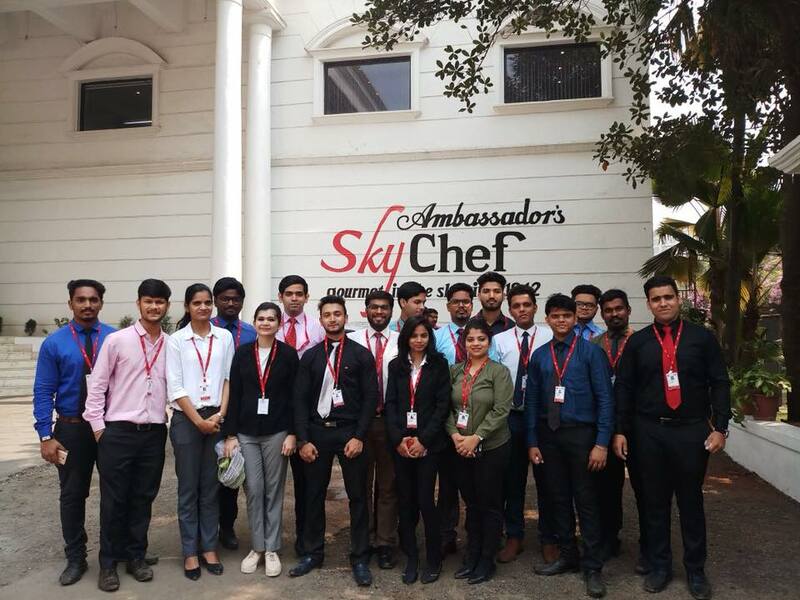 Industrial Visit was organized for MBA Aviation Management to Sky Chef- The students got insights of the Aviation Industry with real time situations. 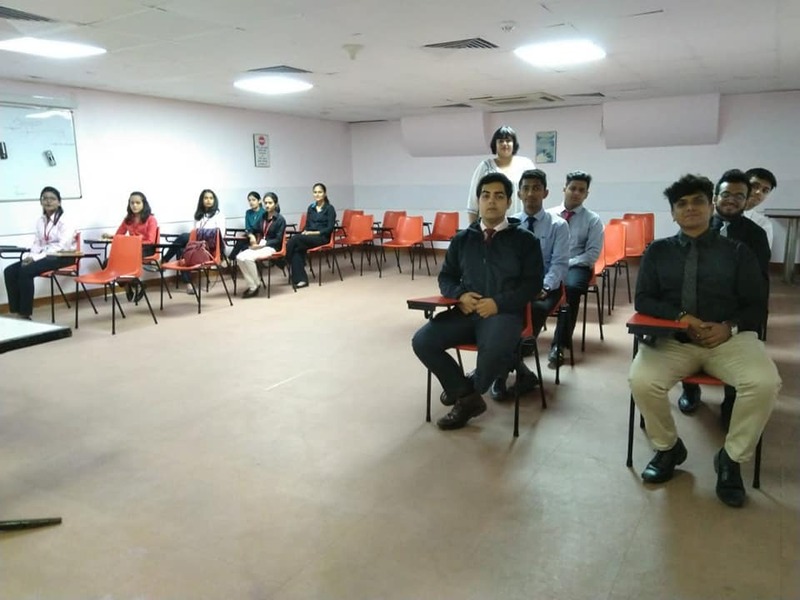 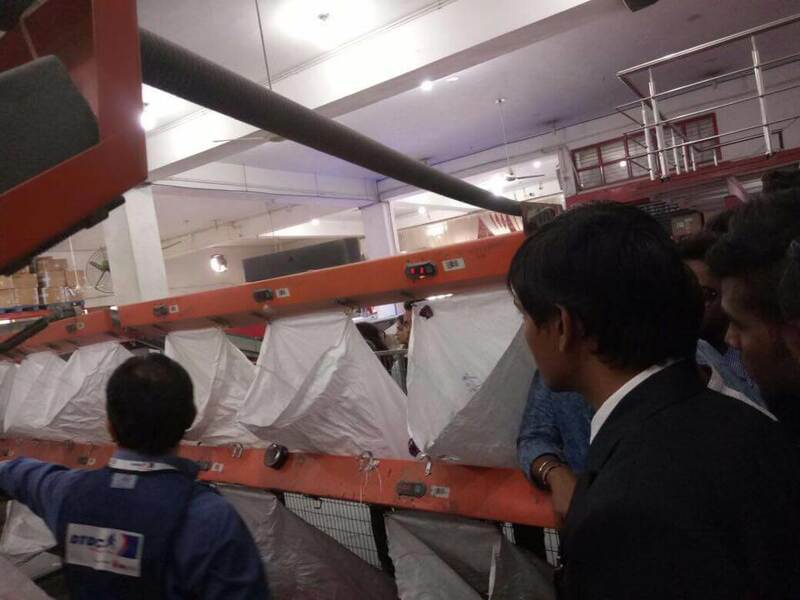 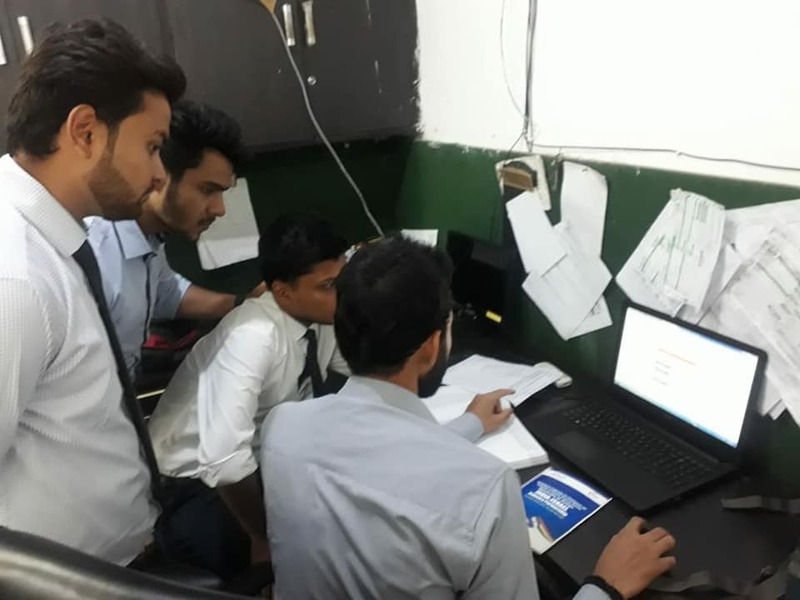 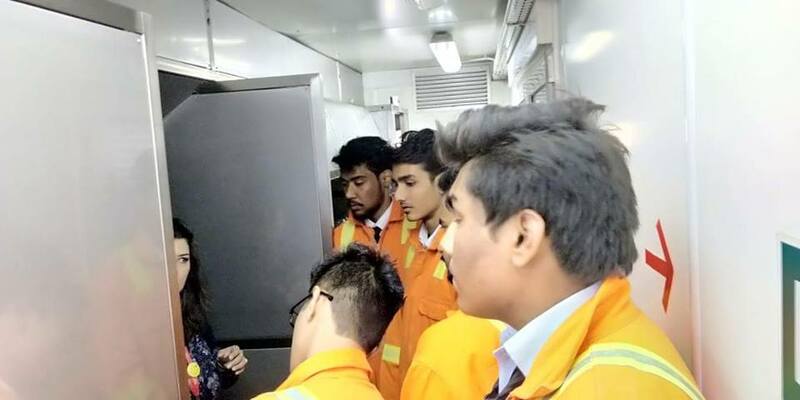 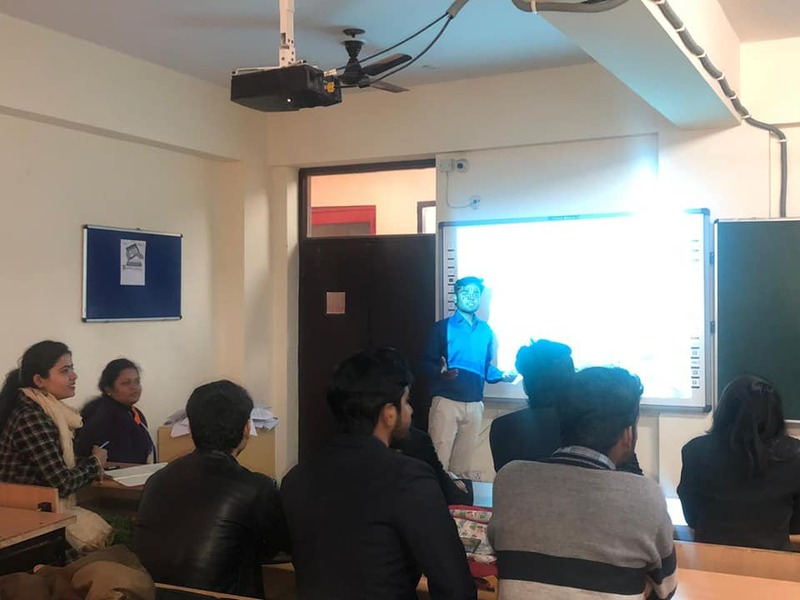 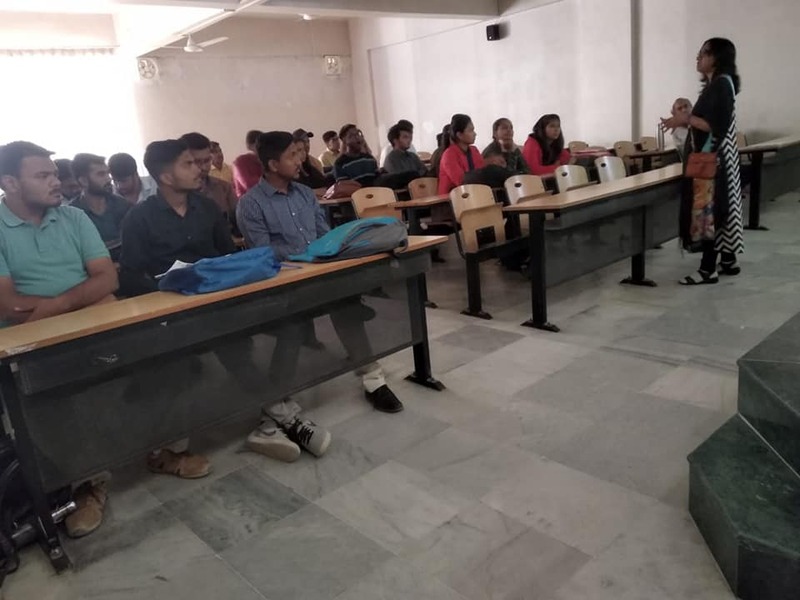 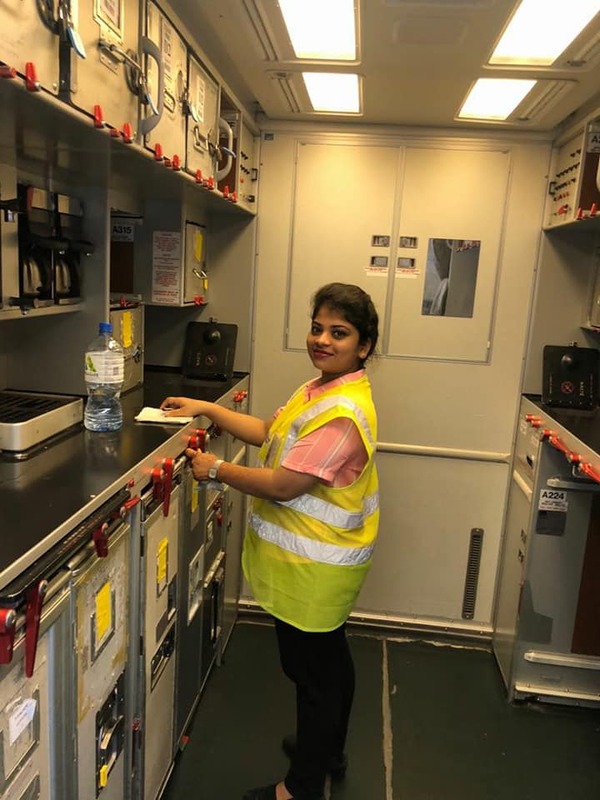 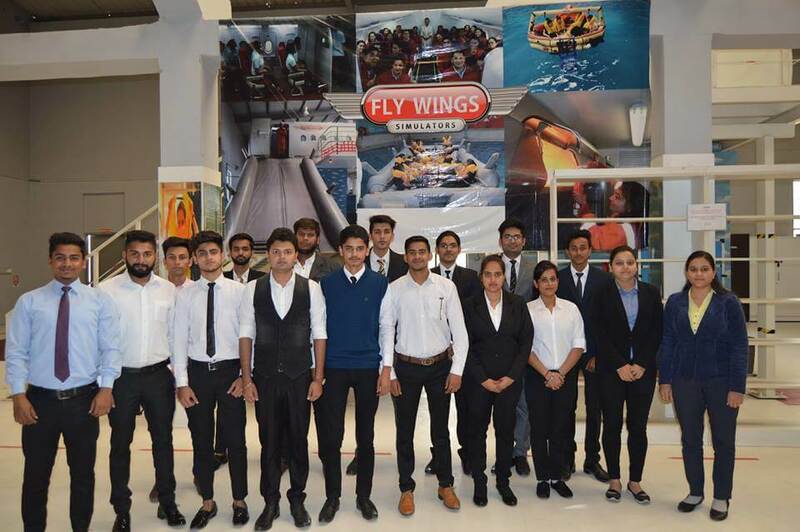 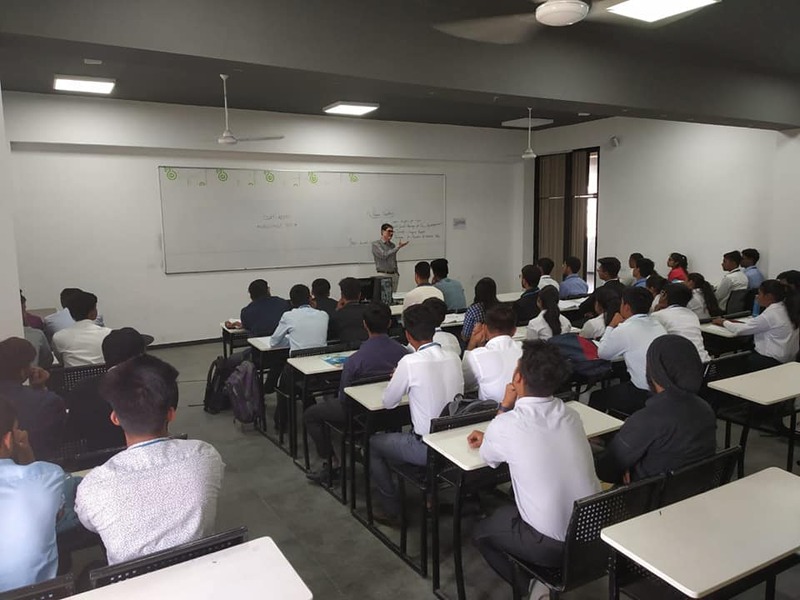 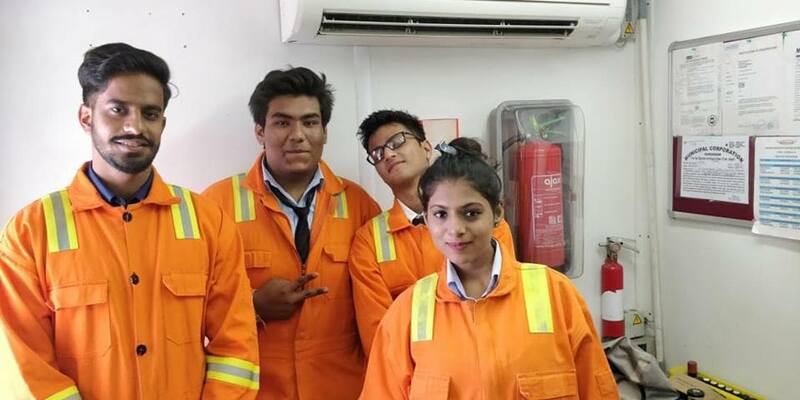 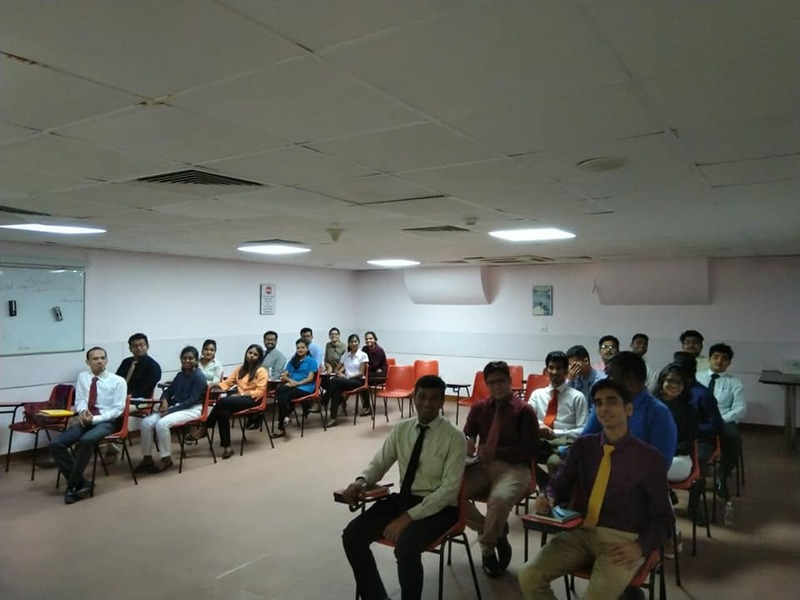 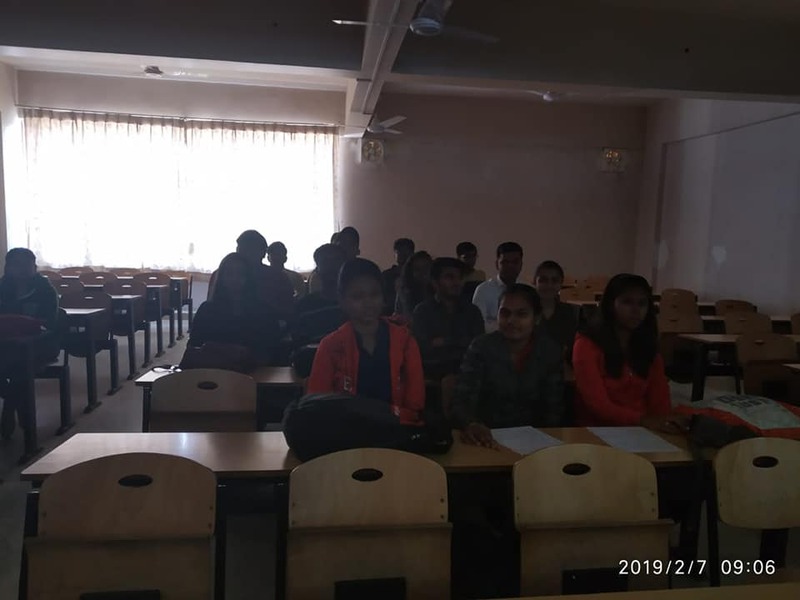 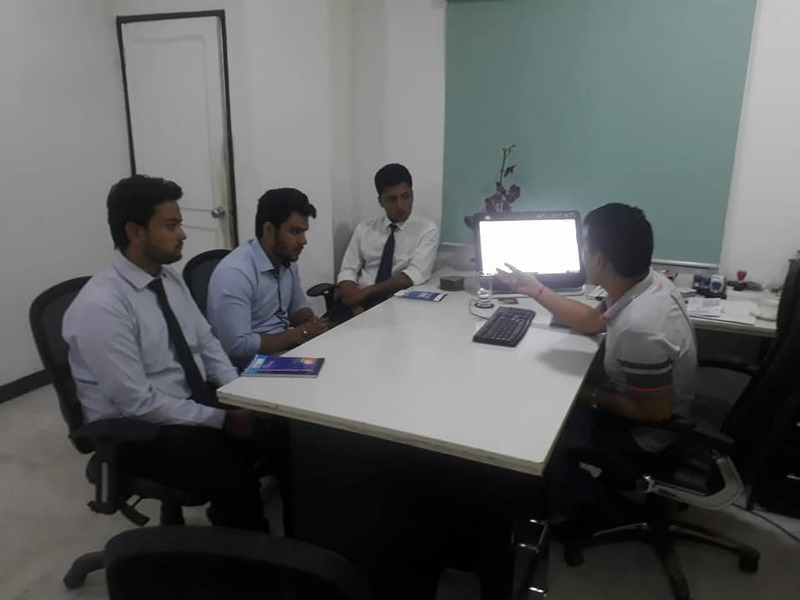 Live Training session at ILAM's Training Facility- Fly wings Aviation Management Students- Students got exposed to Wet Drill, Water Survival, Fire Safety, Ramp Safety, Emergency Exit training. 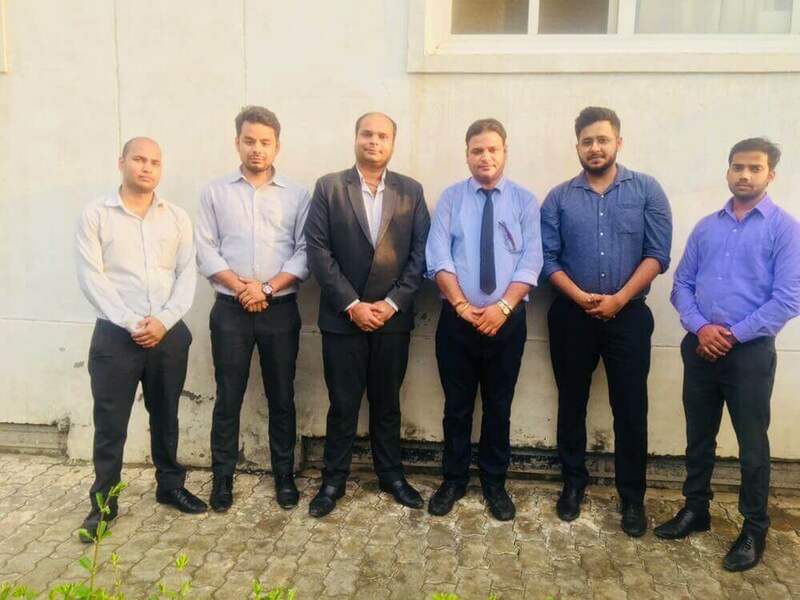 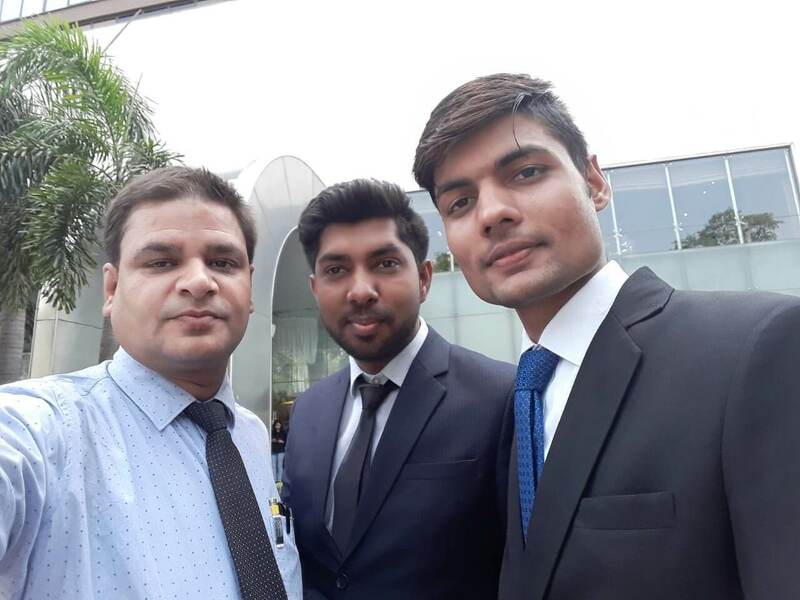 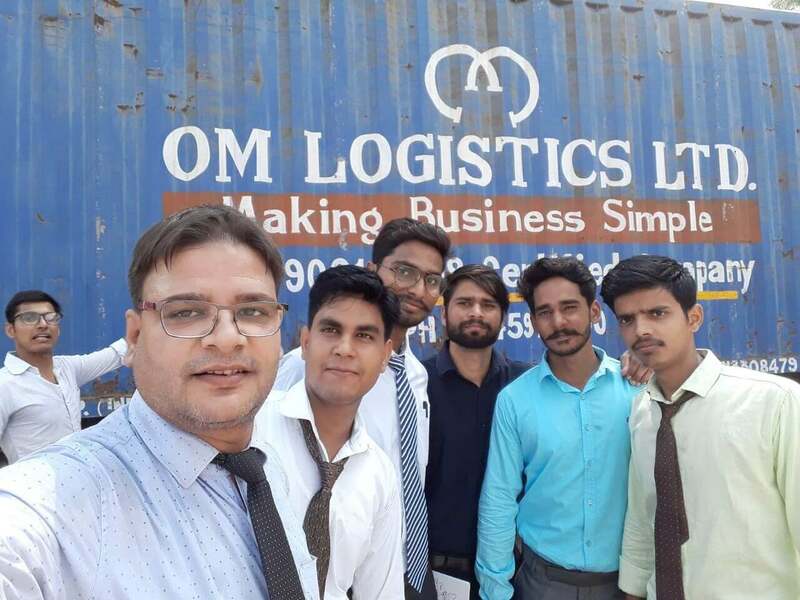 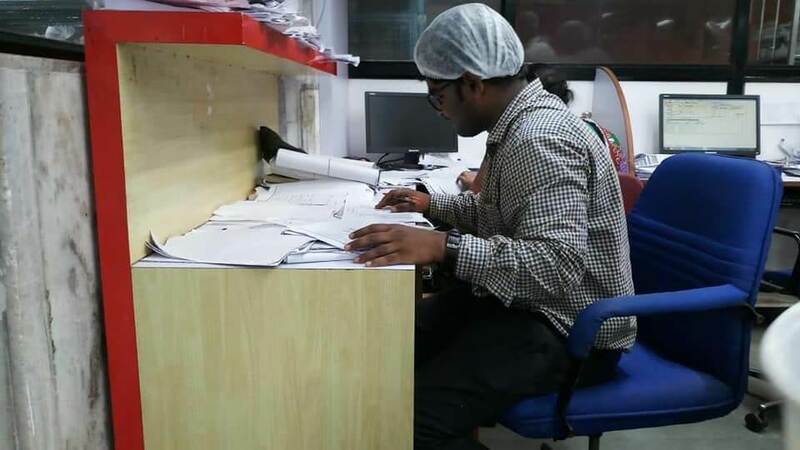 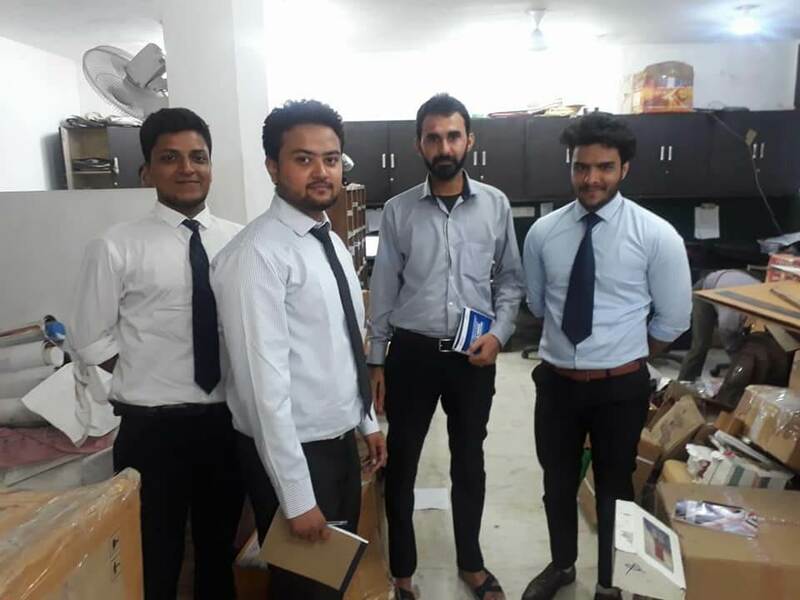 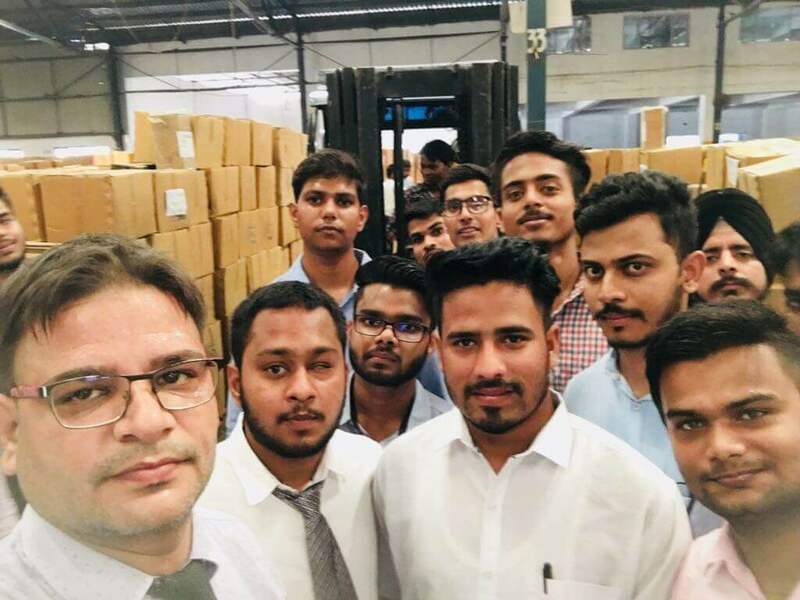 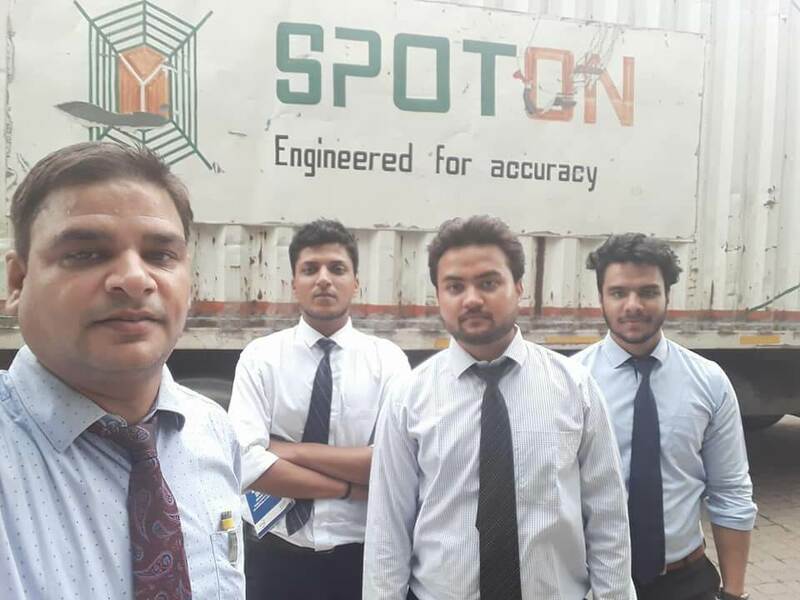 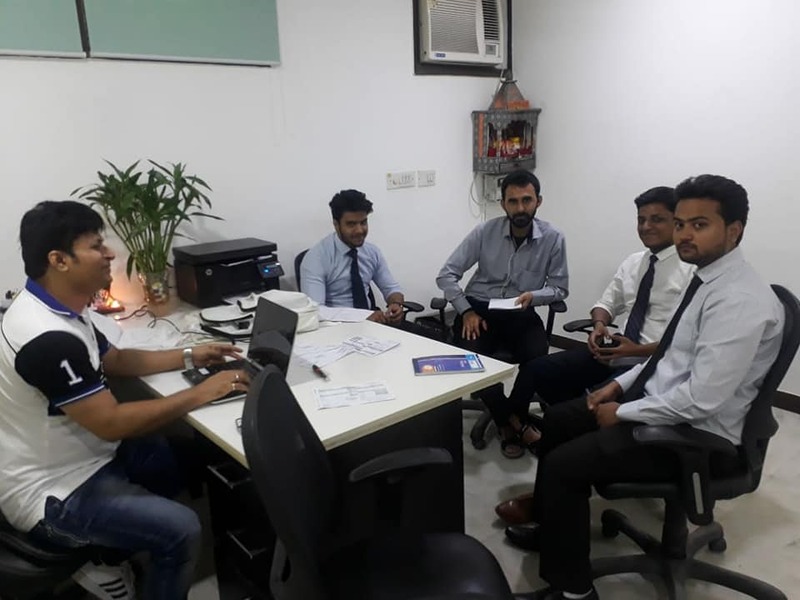 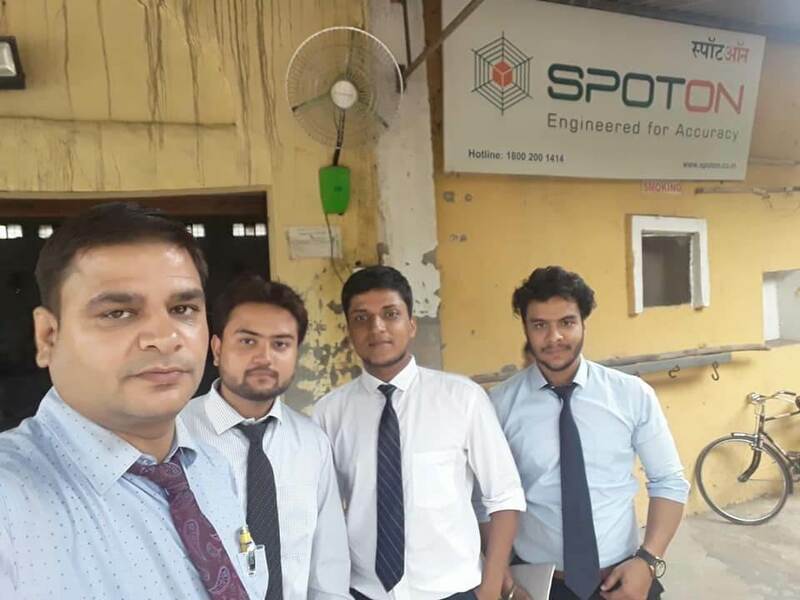 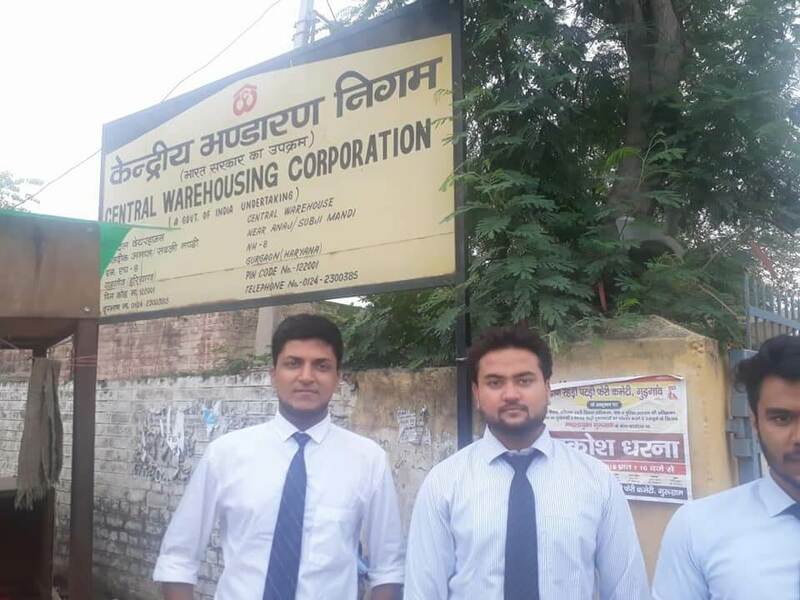 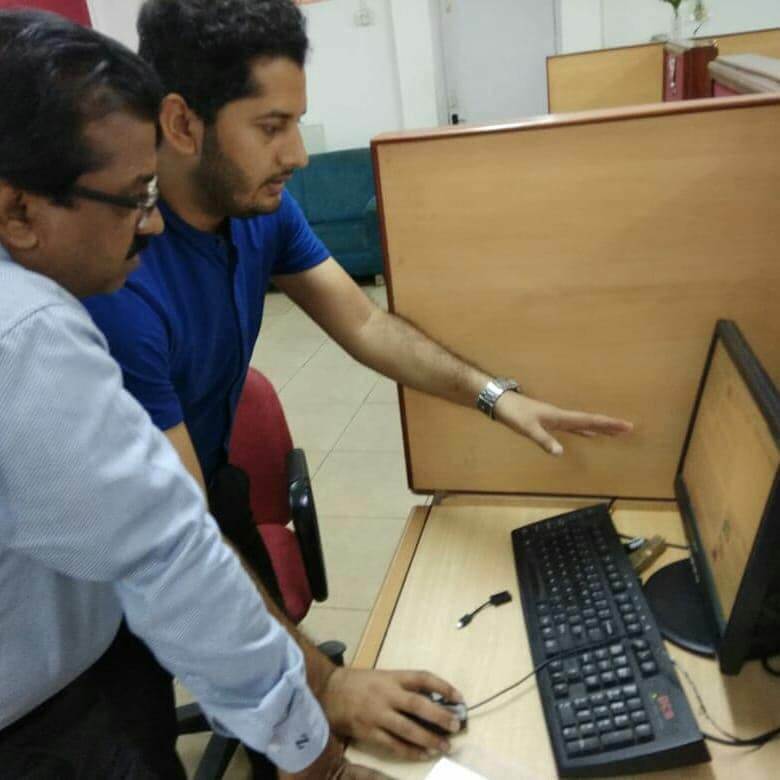 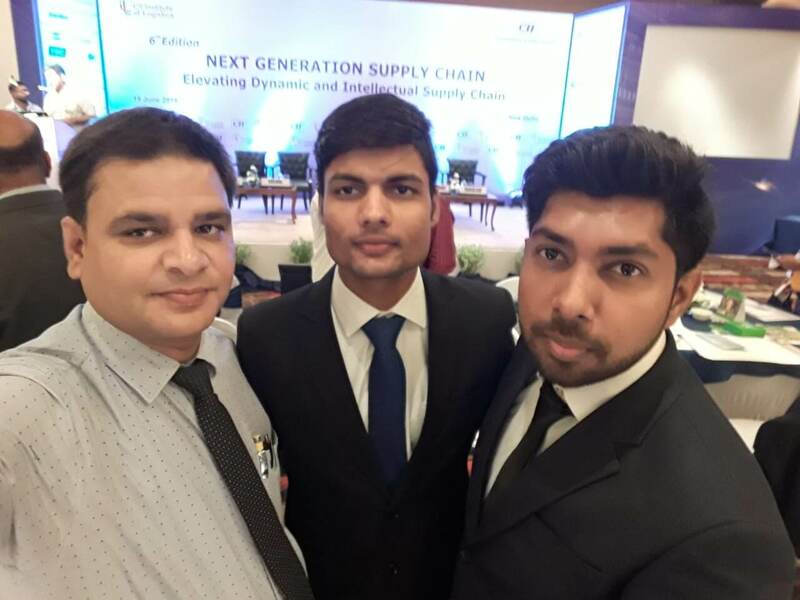 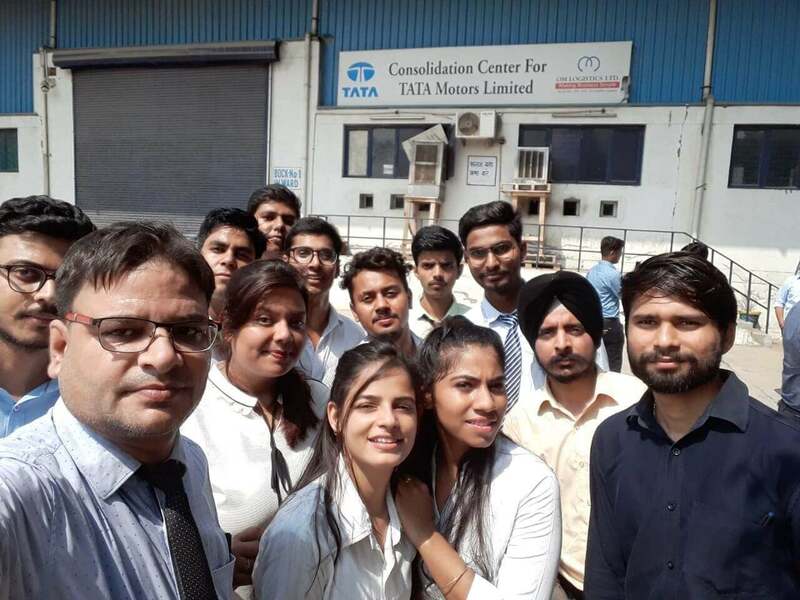 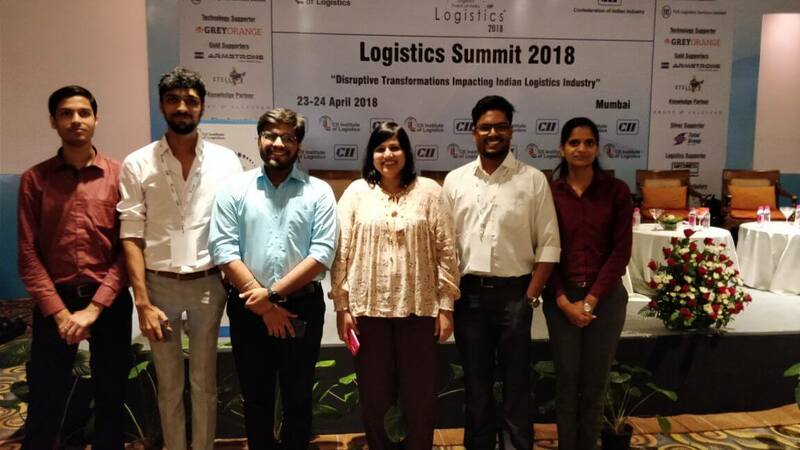 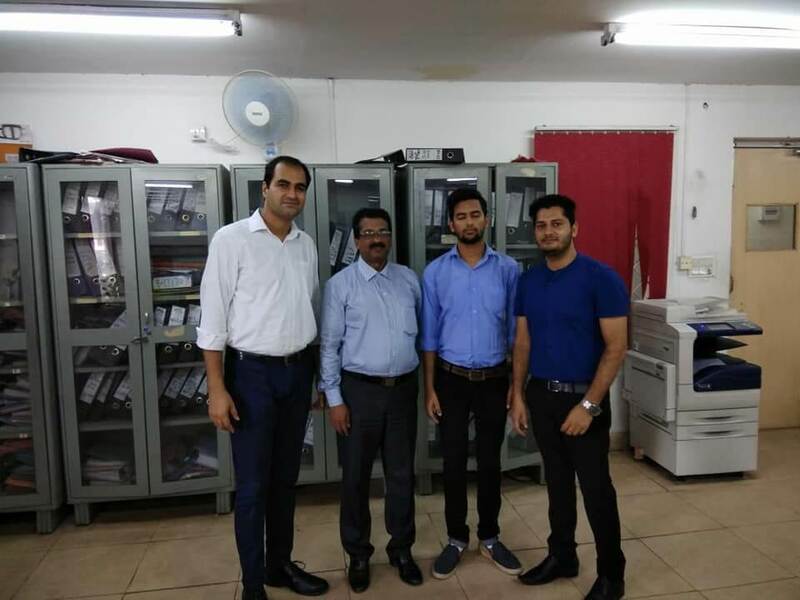 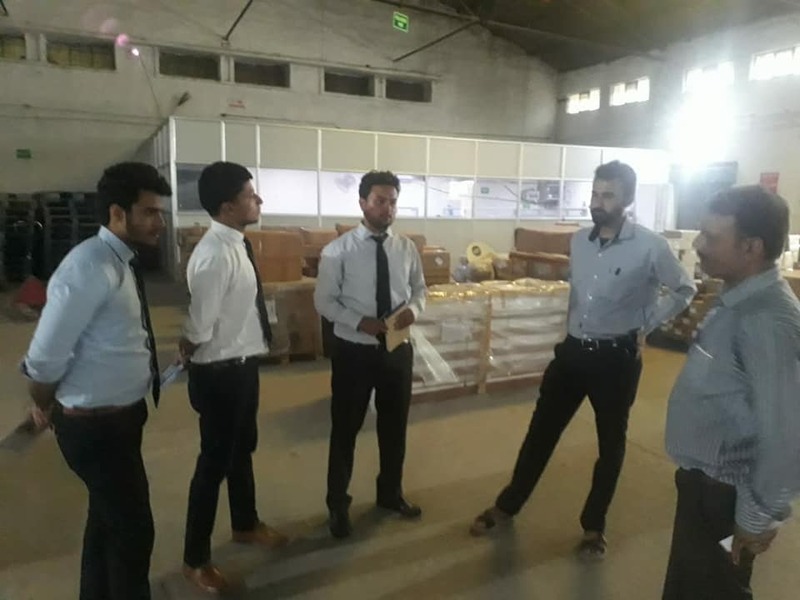 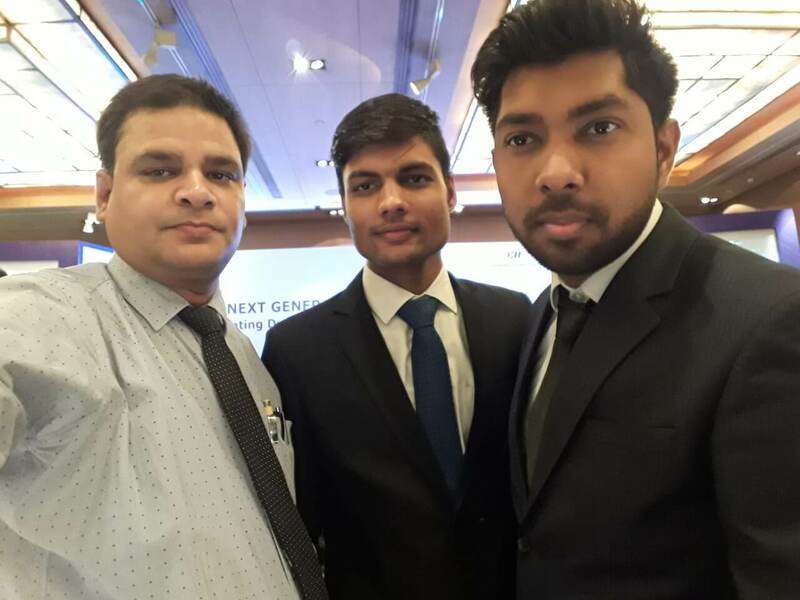 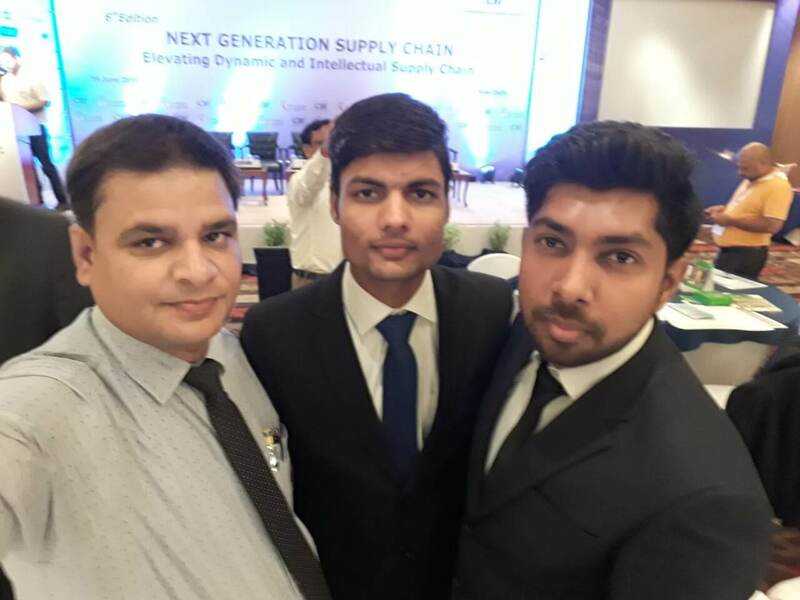 Our MBA Logistics batch students completed their summer internship with Sitara Shipping. 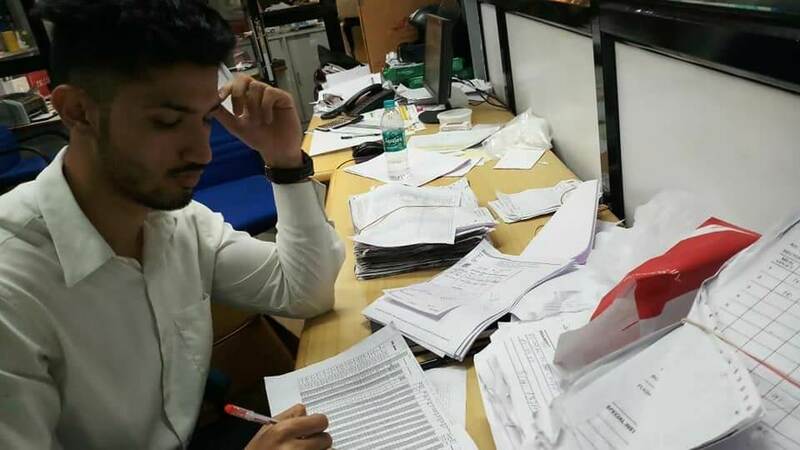 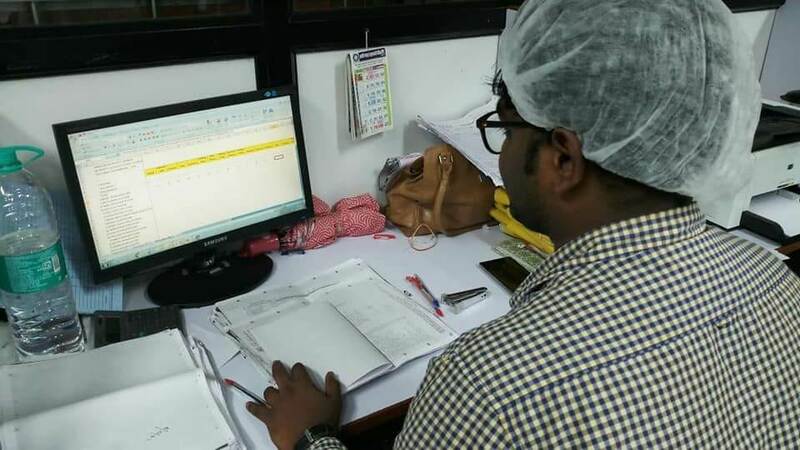 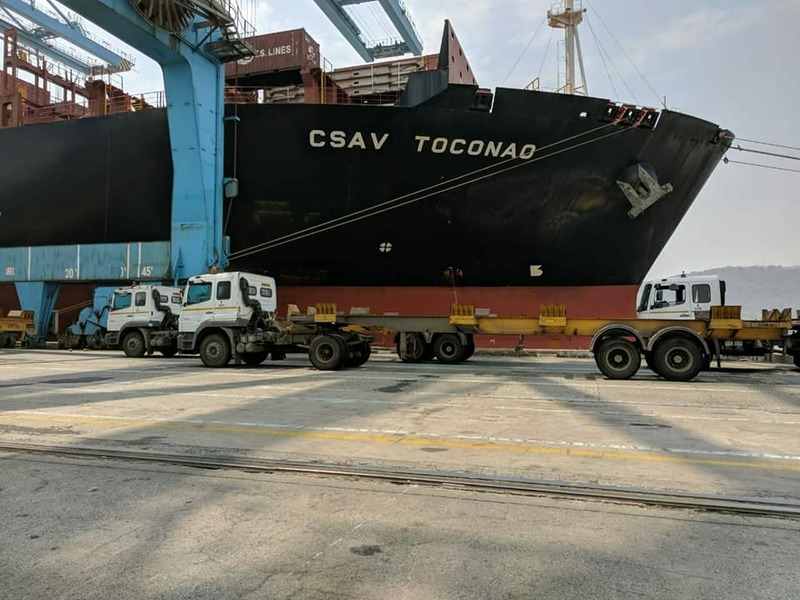 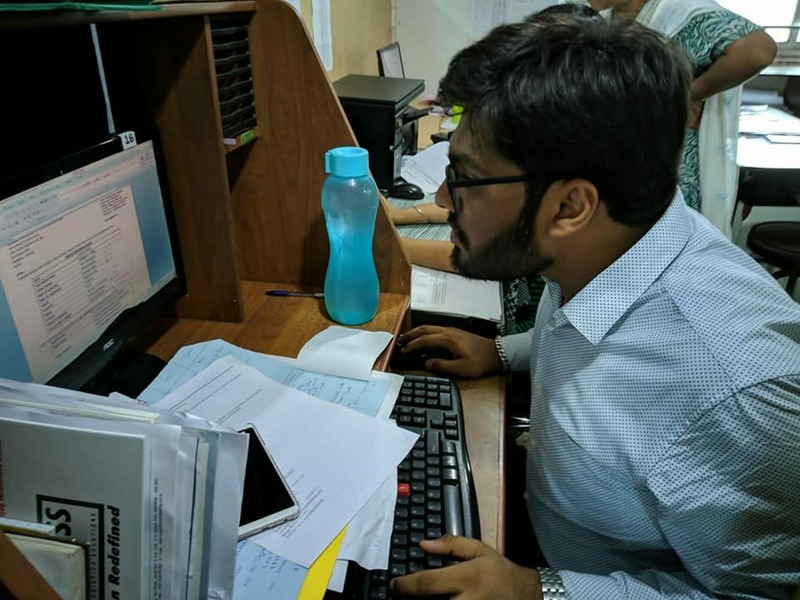 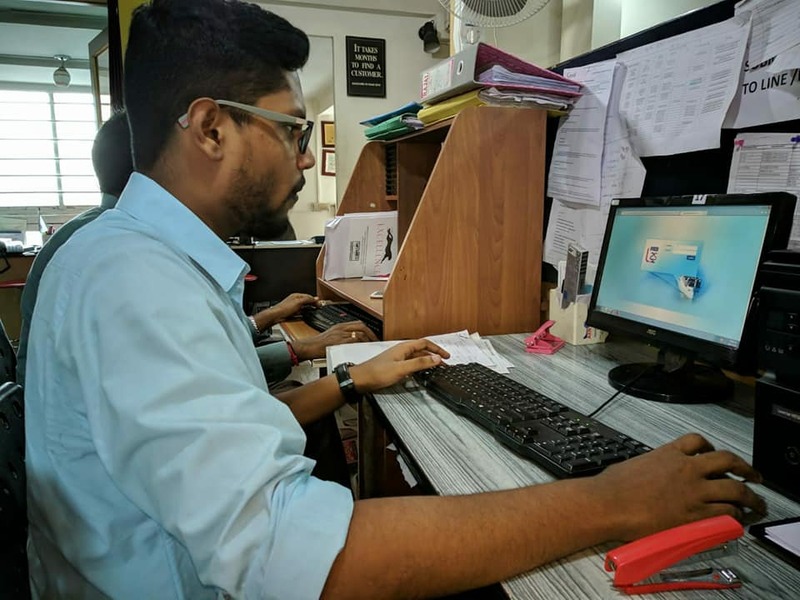 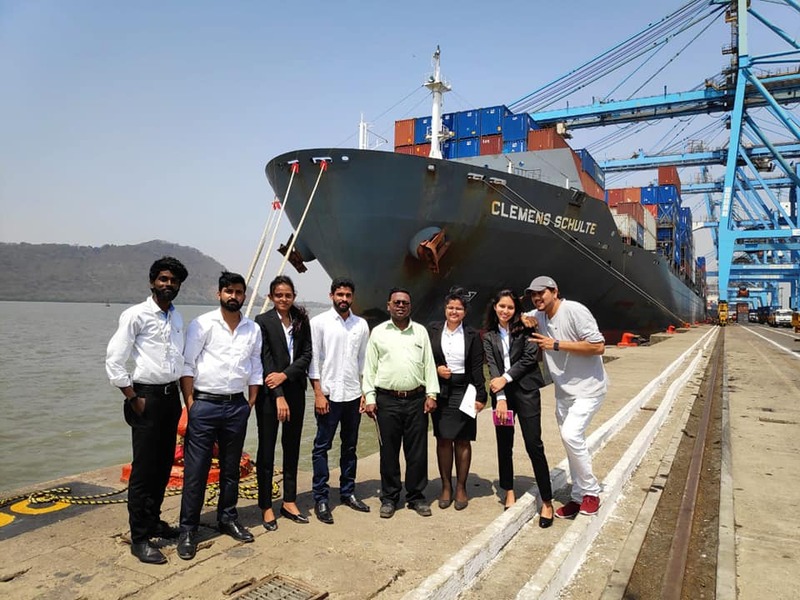 They got Hands on experience in handling operations ,Delivery Order, Drafting Master Bill of Lading, updating Containers Inventory, operating Syscon software to make vessel and company entries. 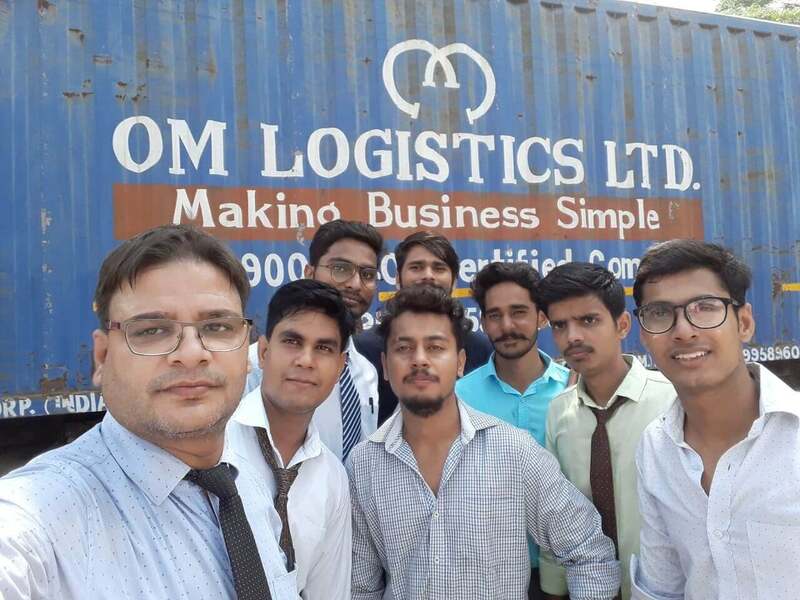 They also managed the social media pages for the company. 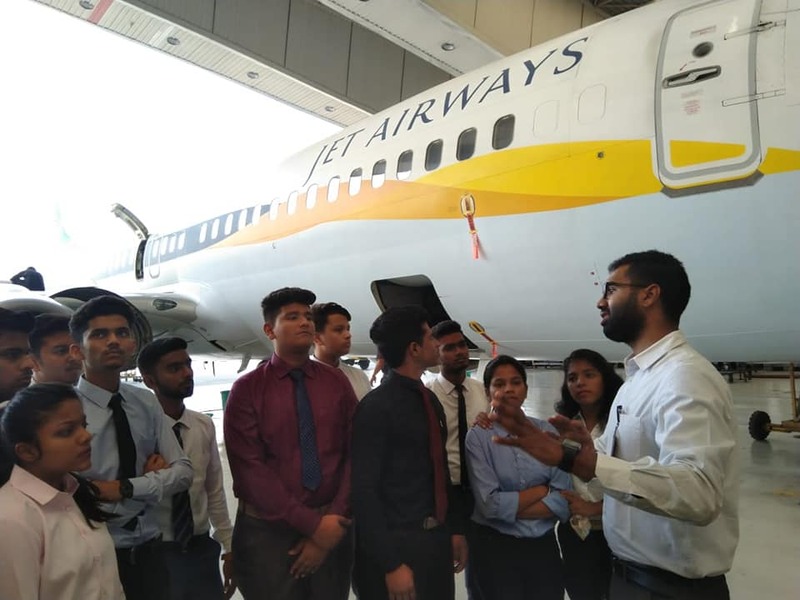 Our Aviation Management Students visited Jet Airways Hangar today. 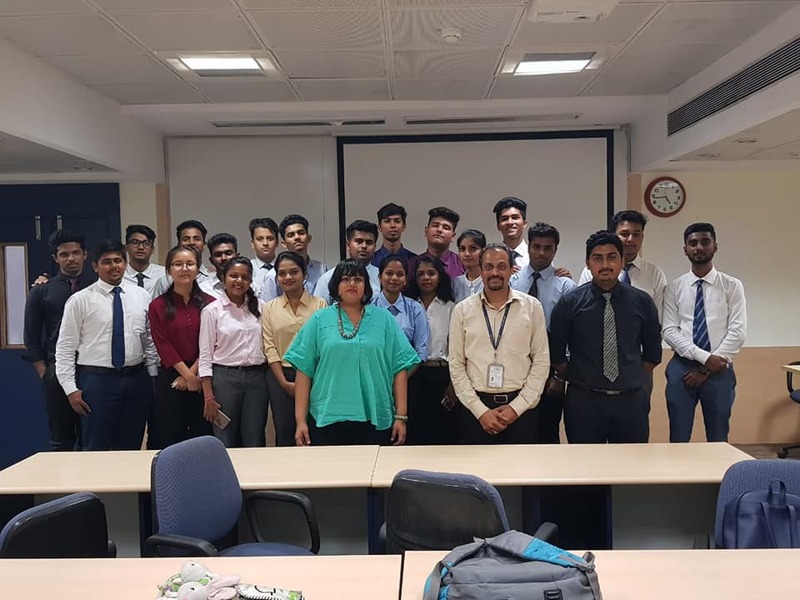 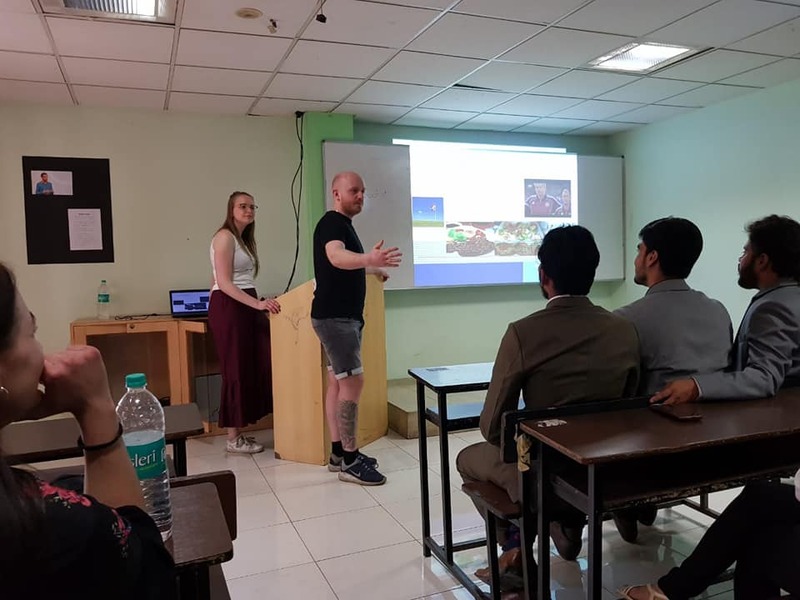 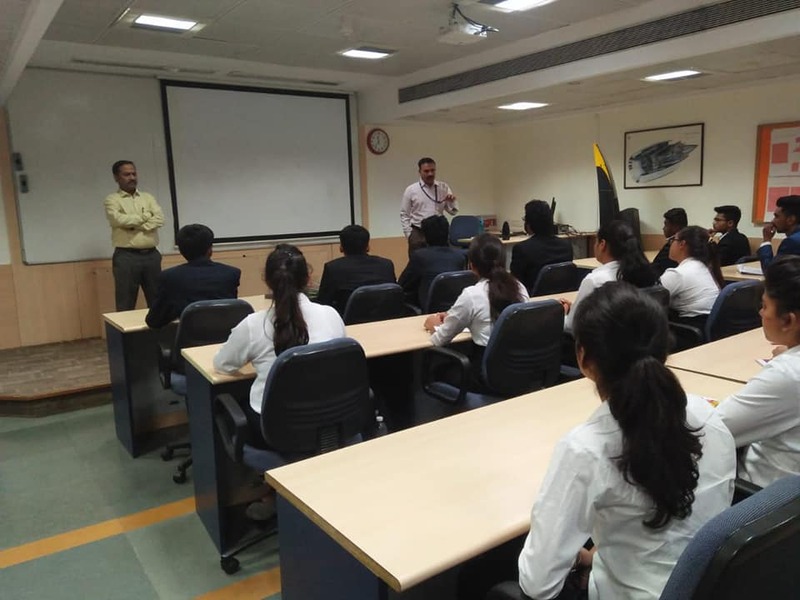 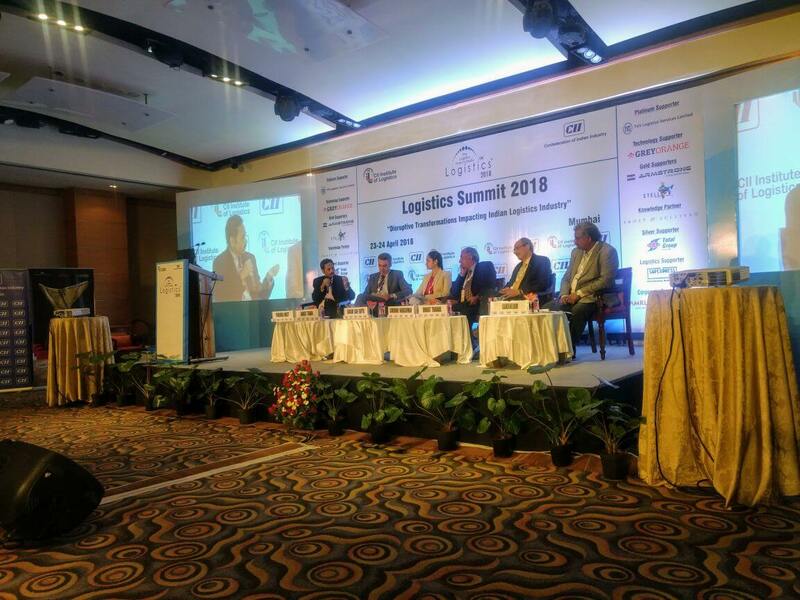 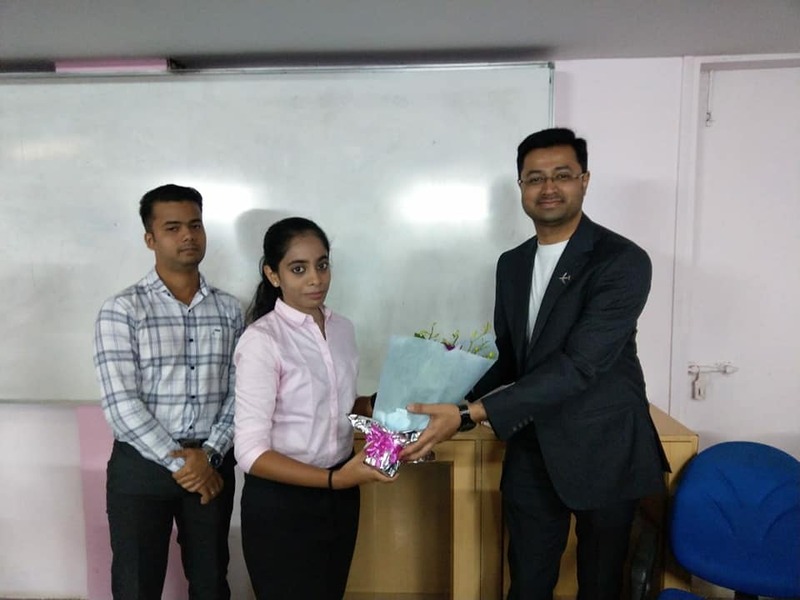 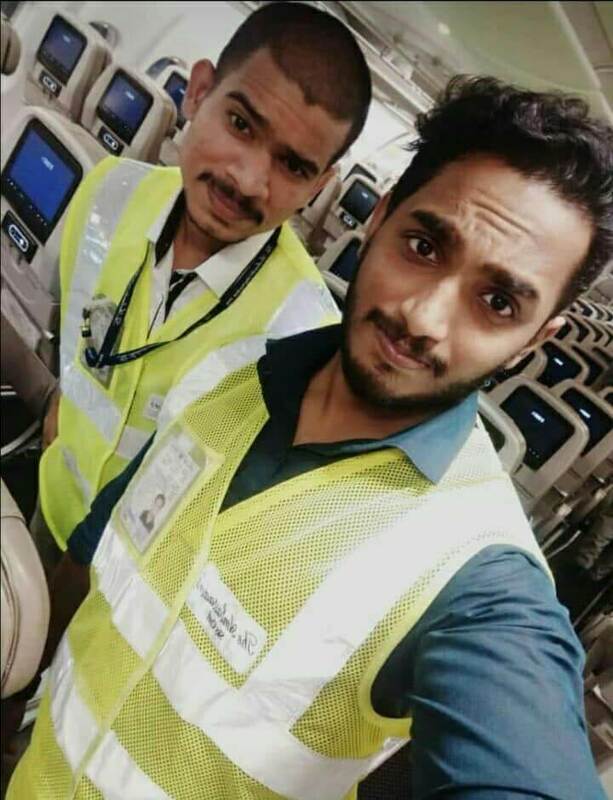 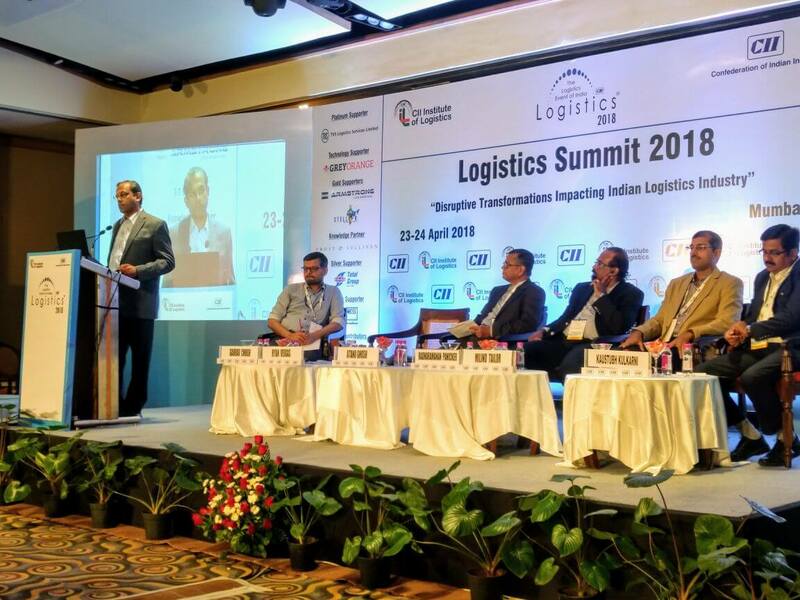 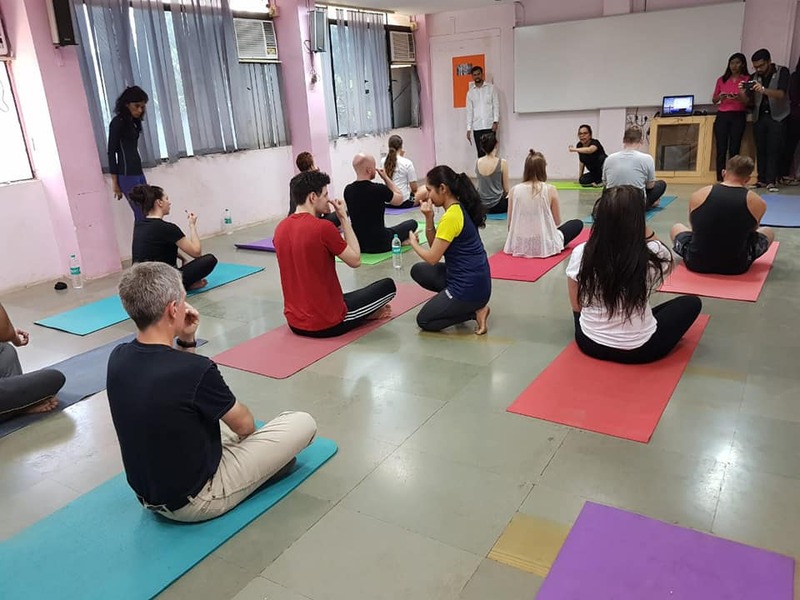 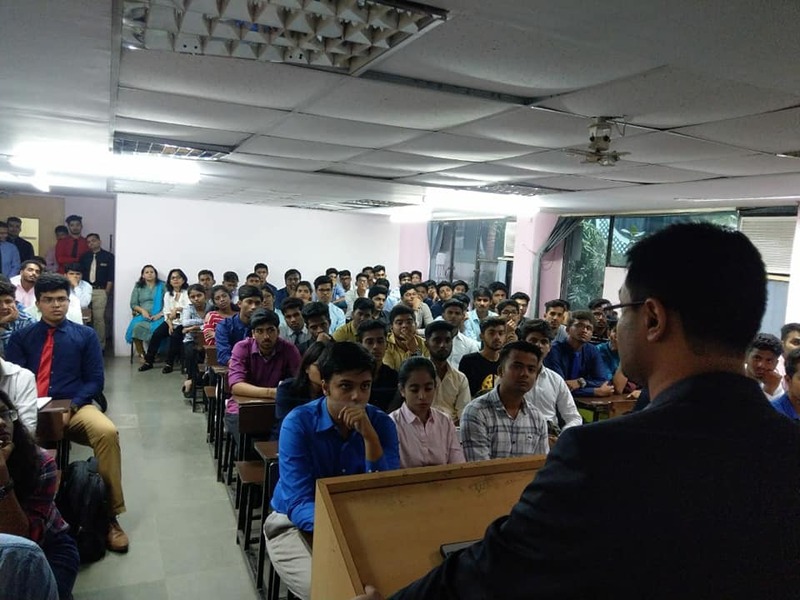 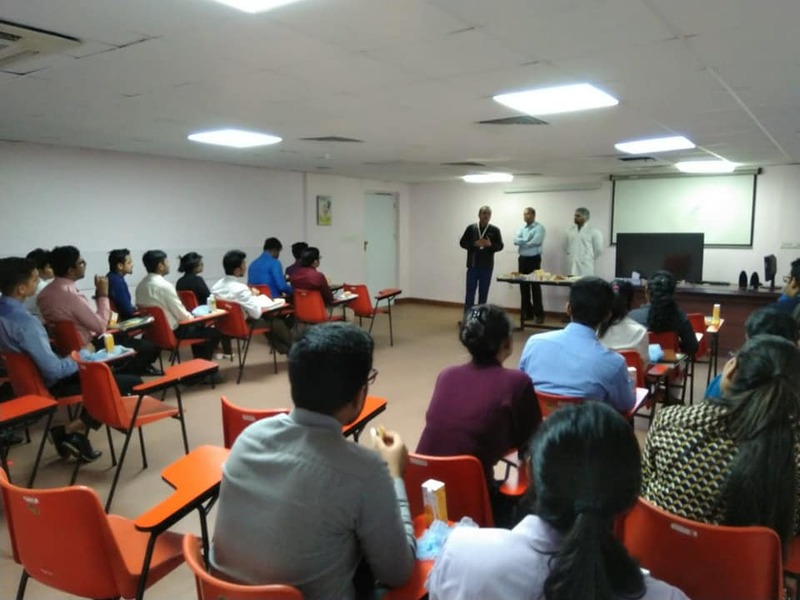 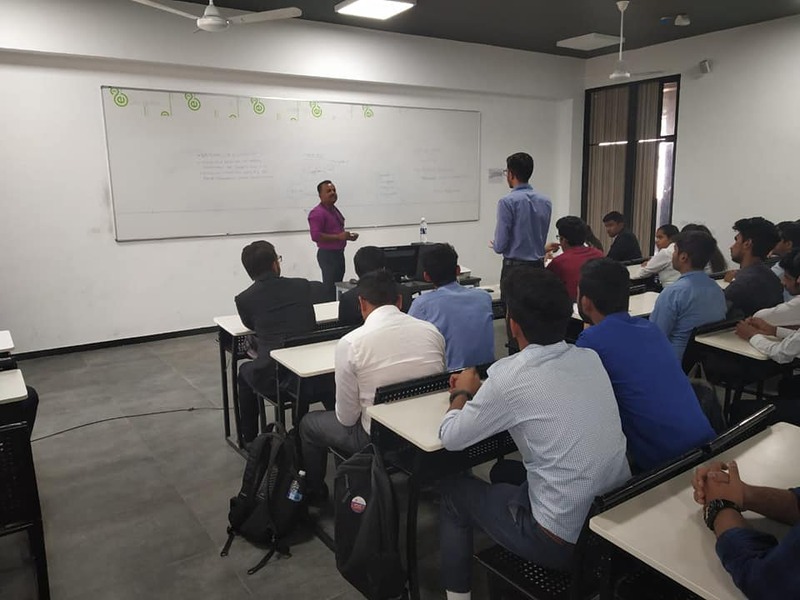 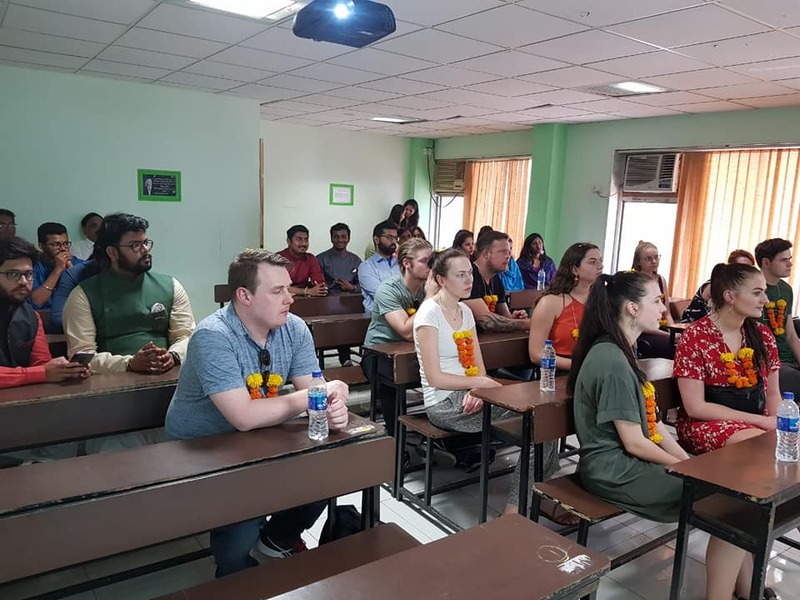 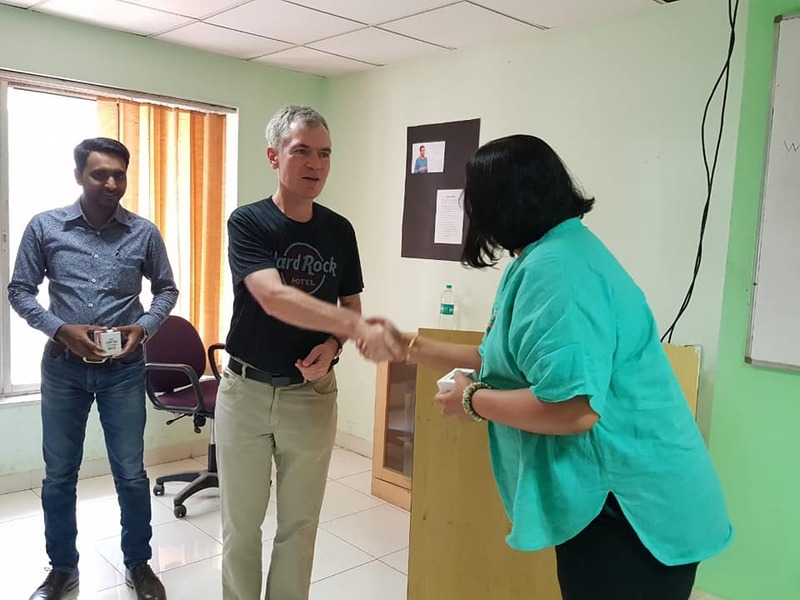 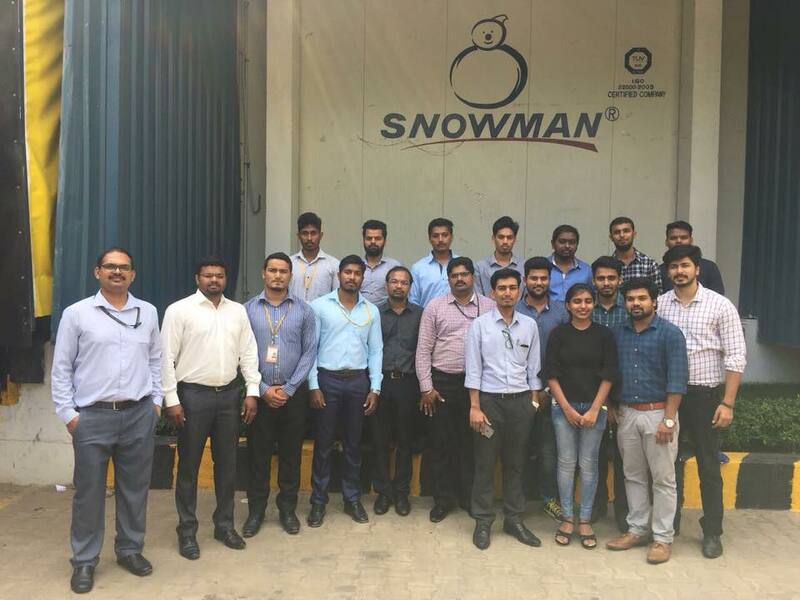 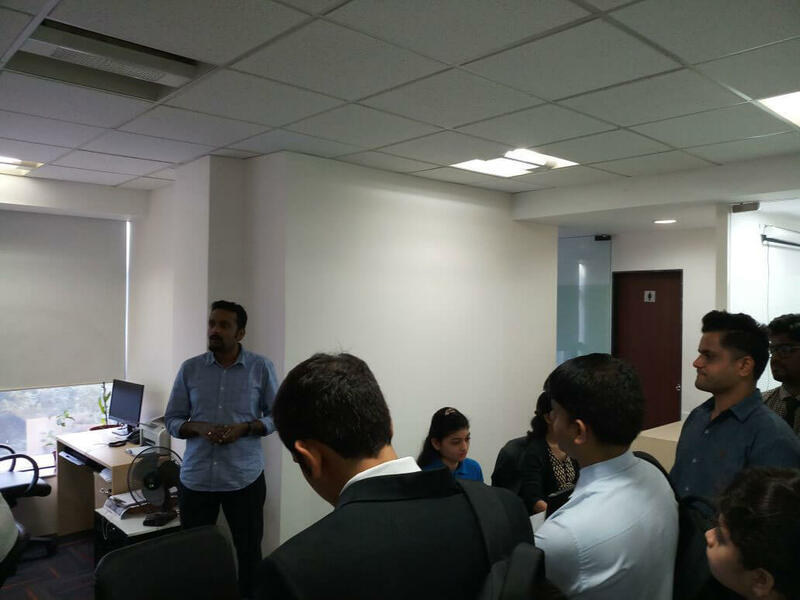 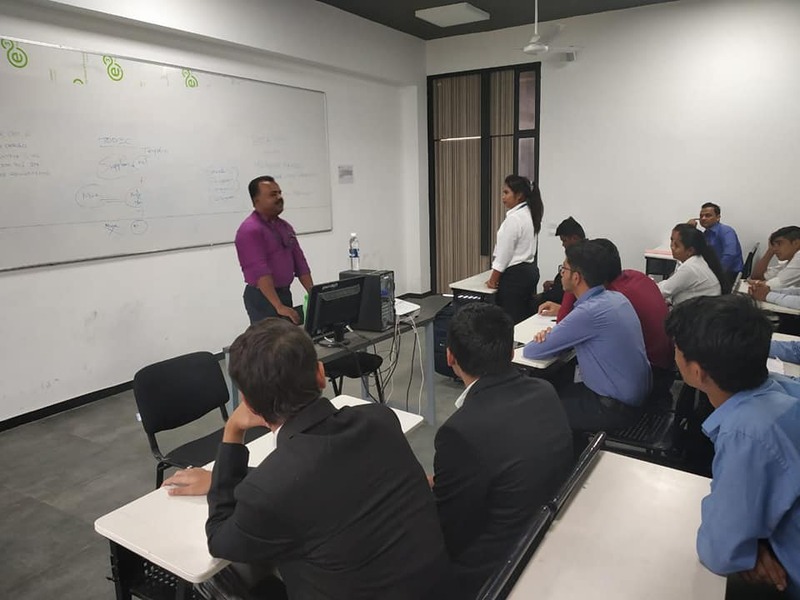 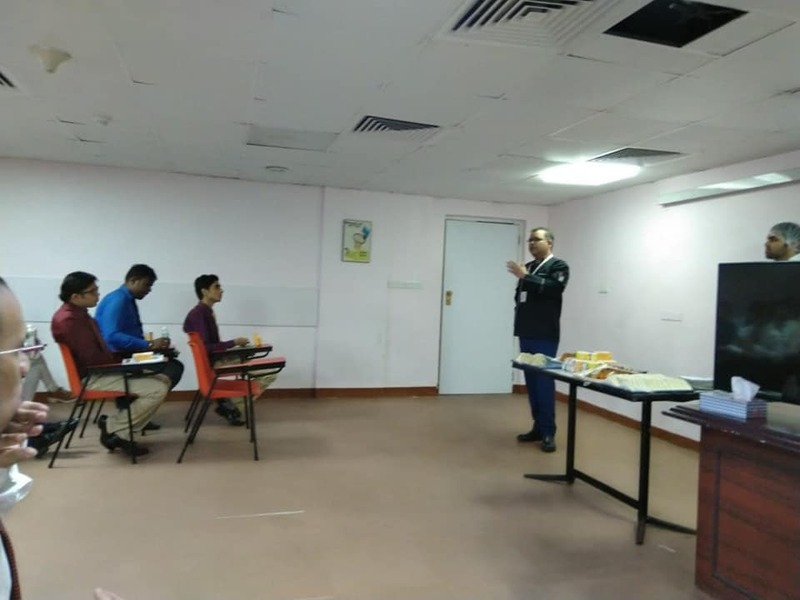 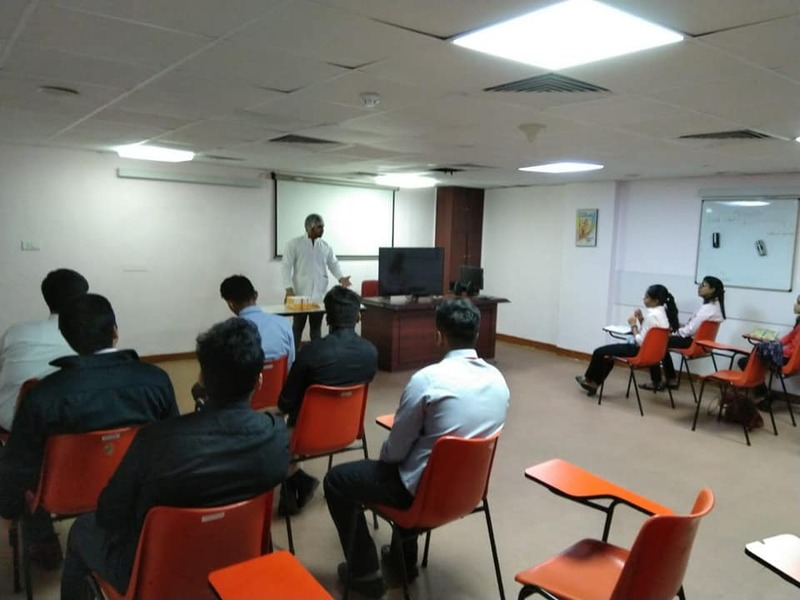 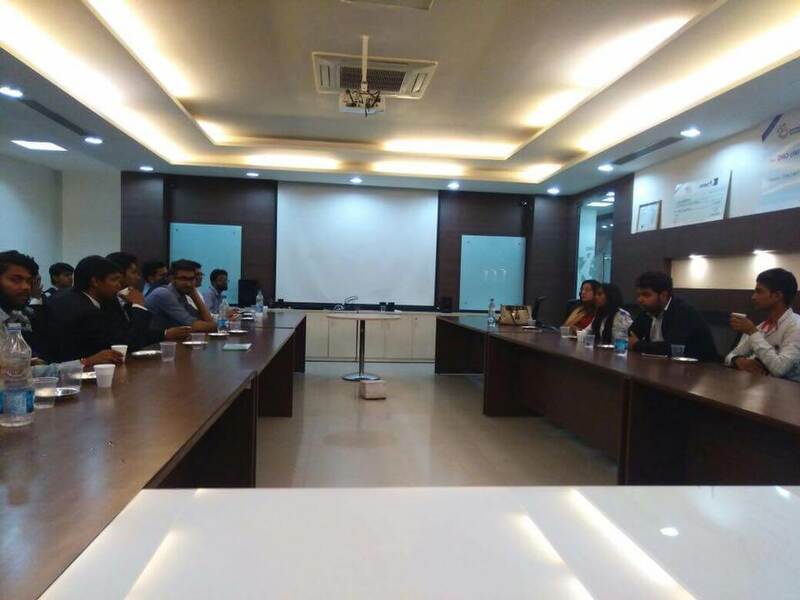 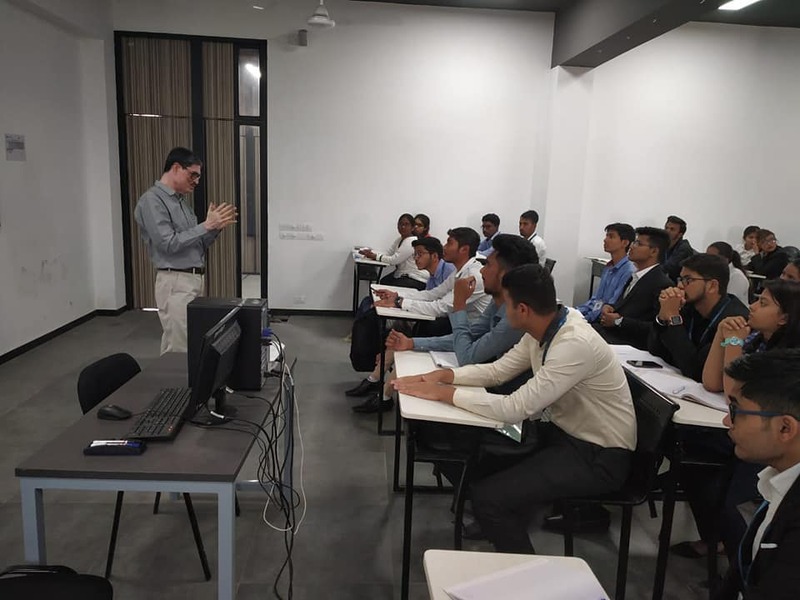 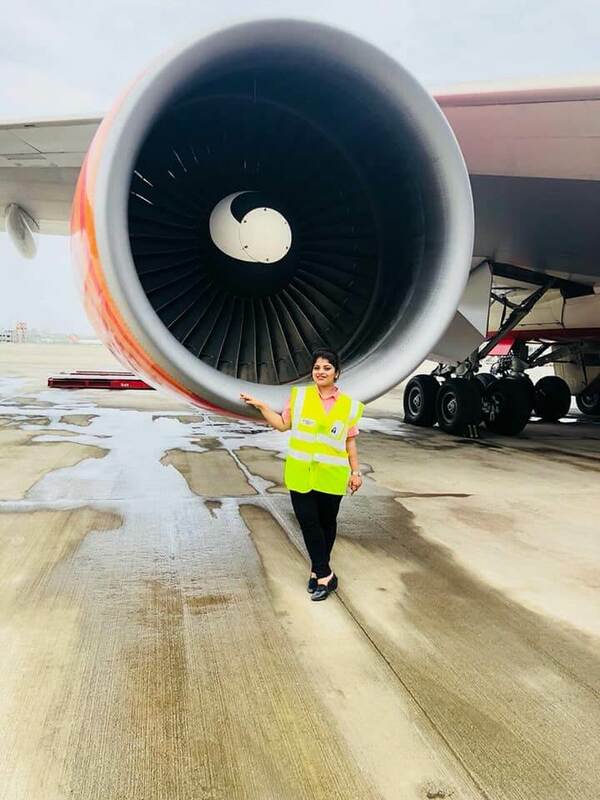 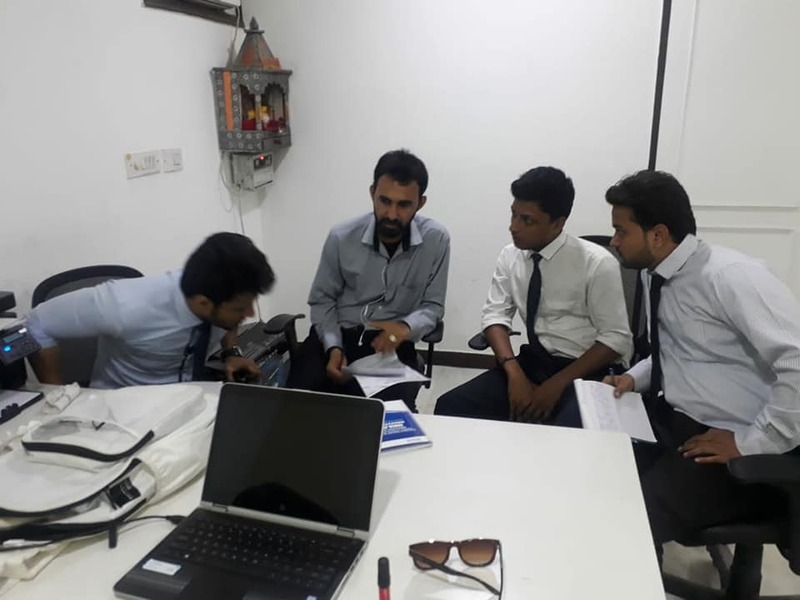 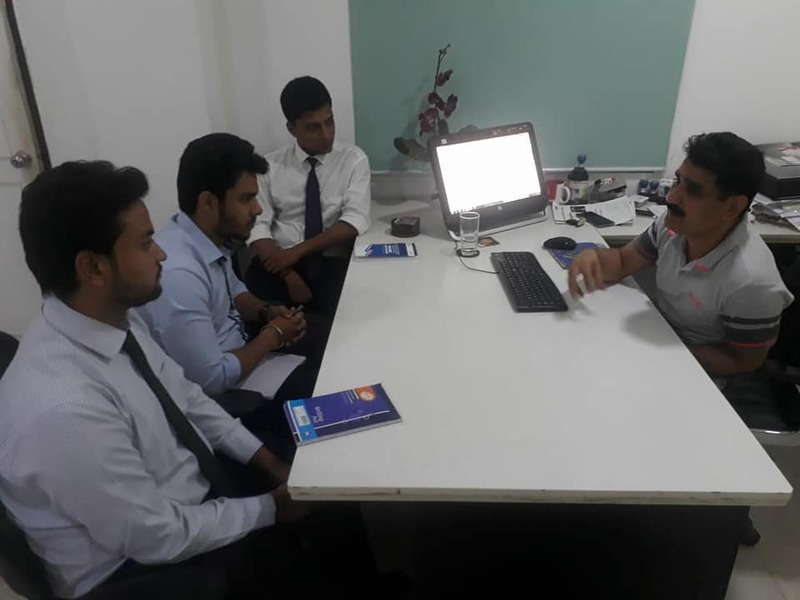 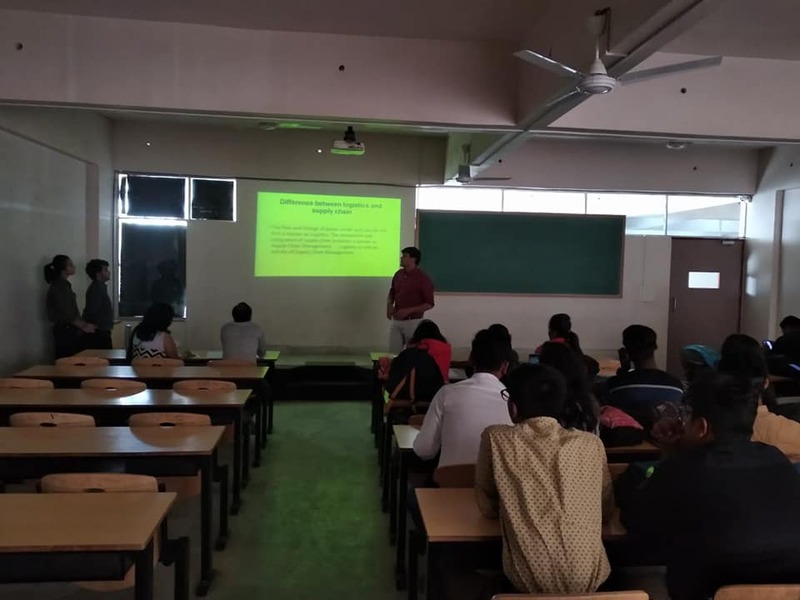 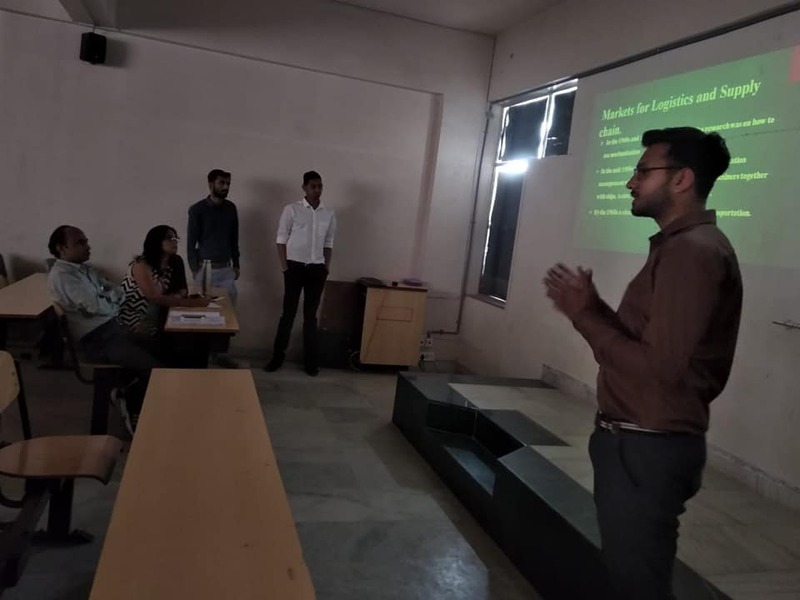 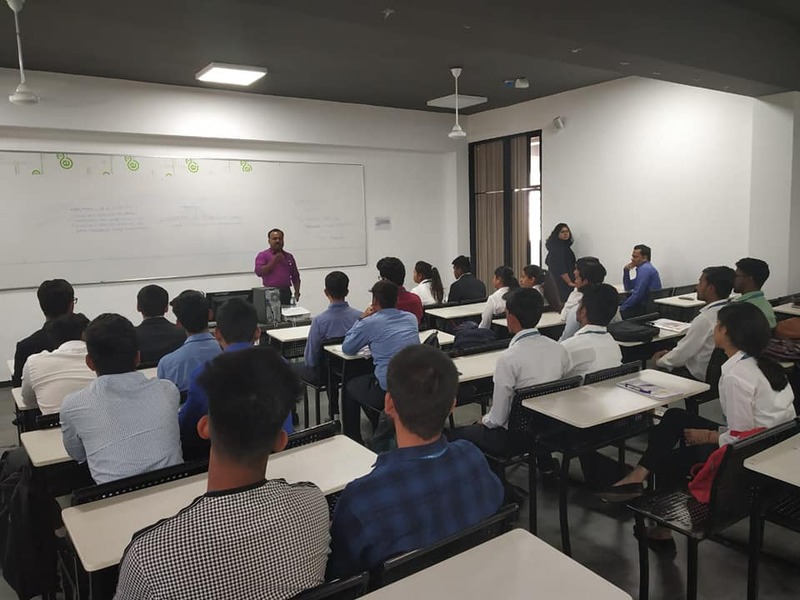 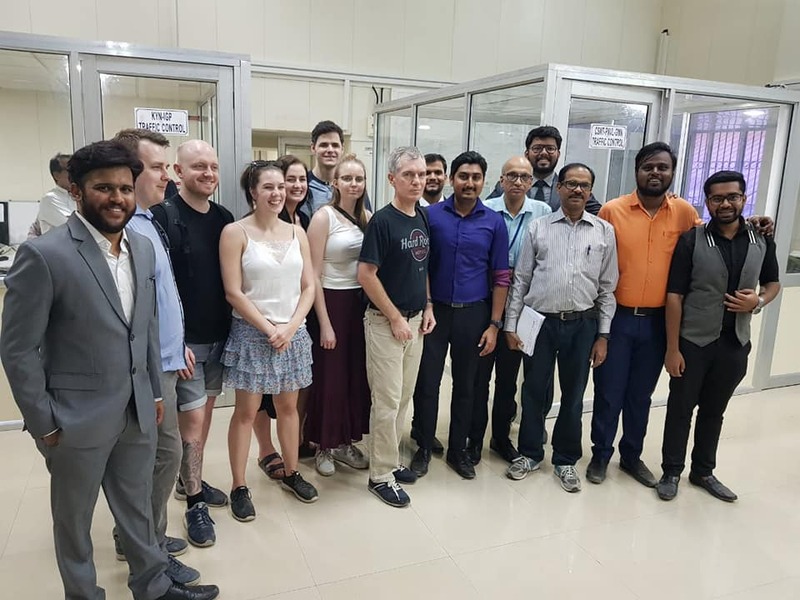 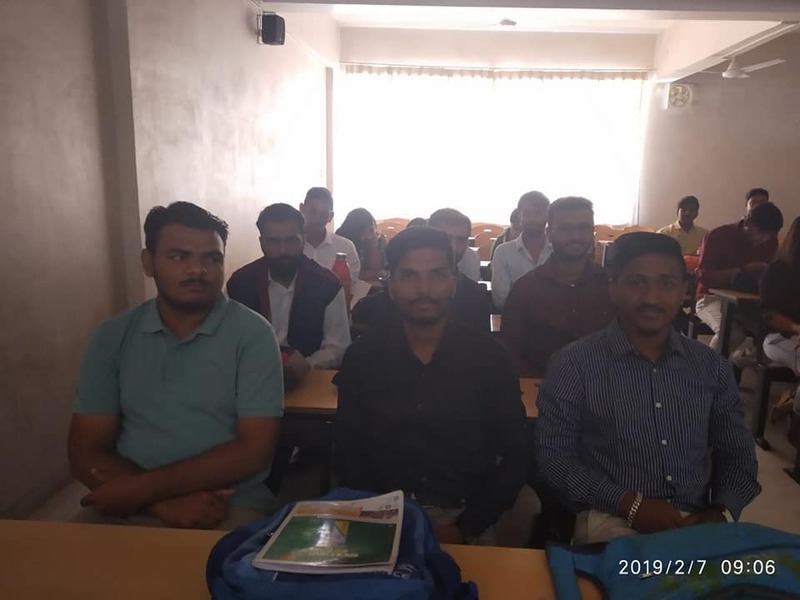 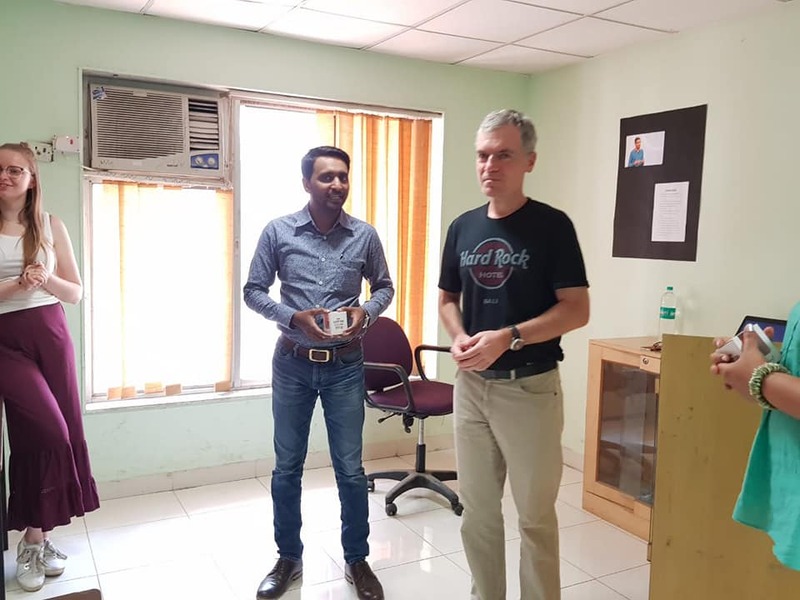 They were addressed by Mr.Jaichandran and Mr. Dhumale, senior trainer Engineering on the role of Maintainance team for smooth operations followed by a question-answer session and aircraft visit. 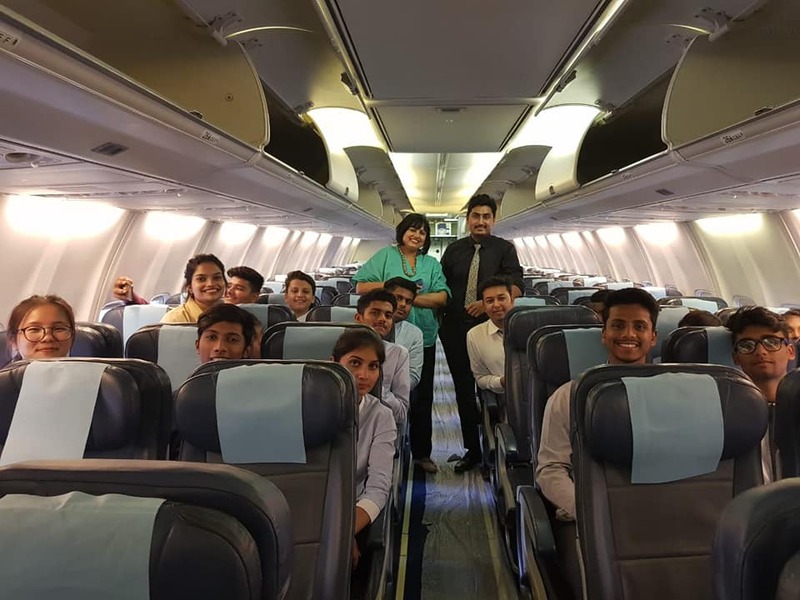 They got the opportunity to go inside their Boeing 737 aircraft including the flight desk. 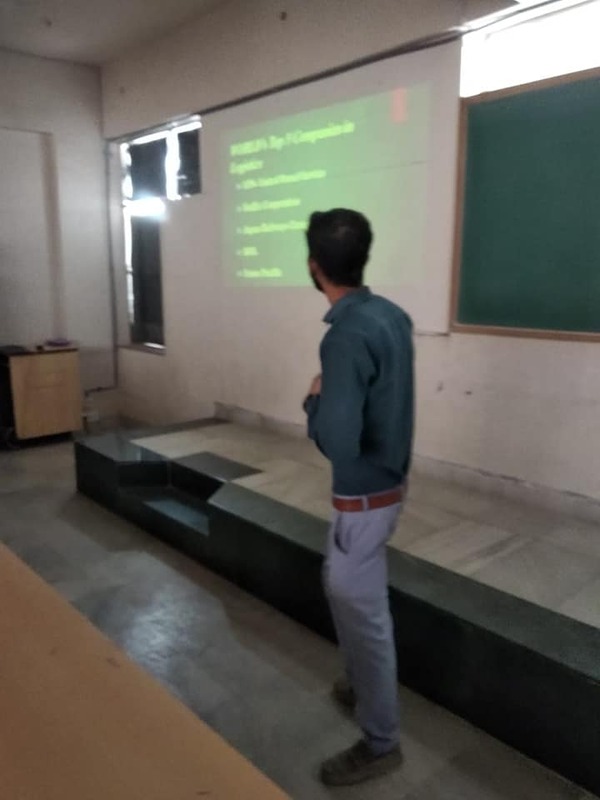 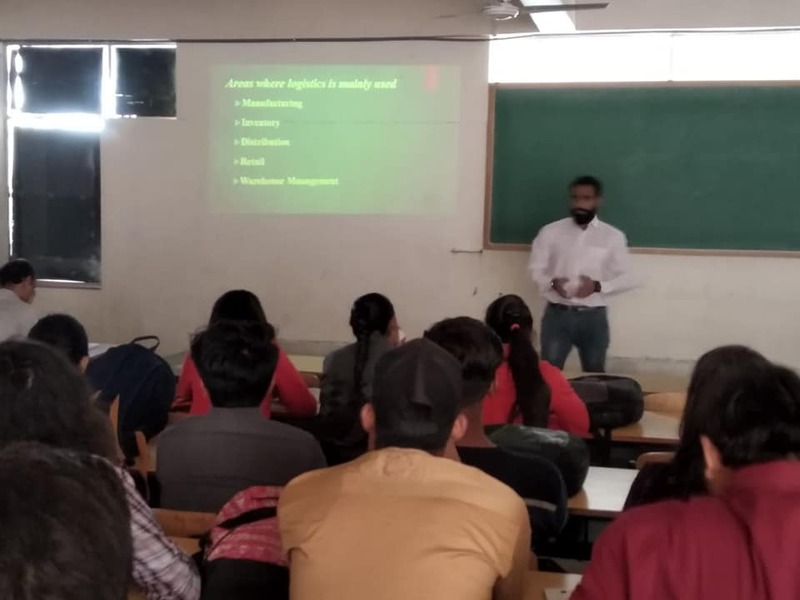 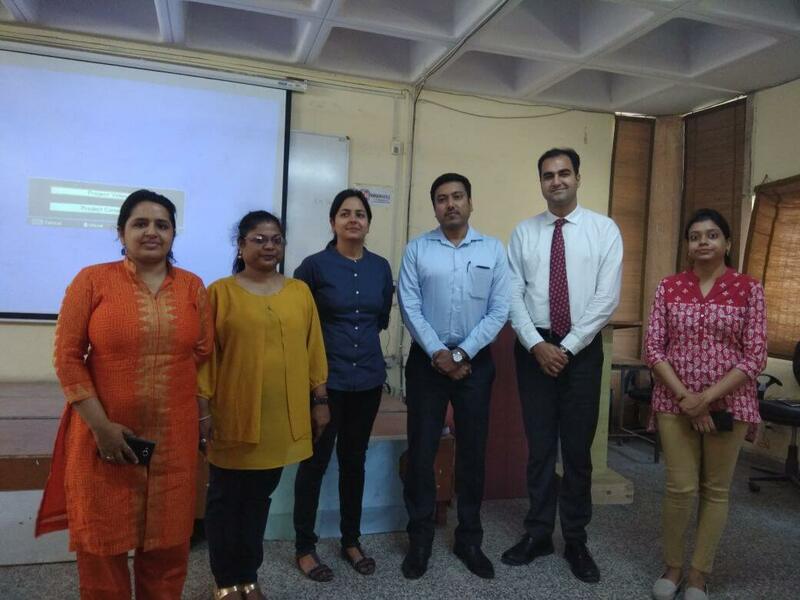 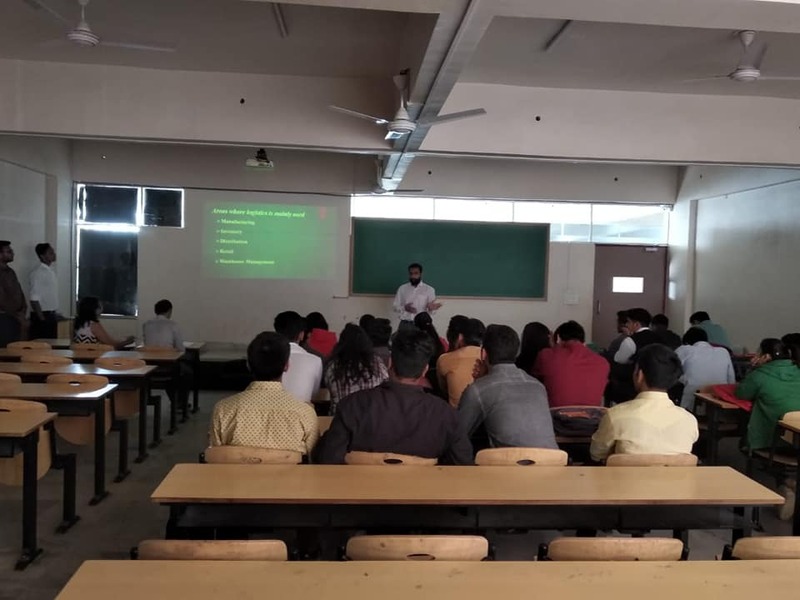 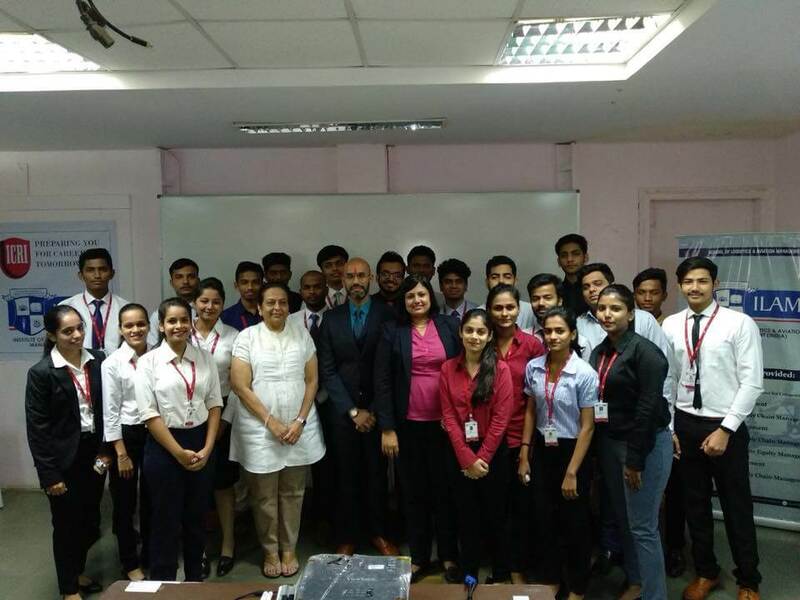 Guest lecture conducted by ILAM alumni Mr.Punit Joshi who is currently working with Qatar Airways at Doha as Hub operations Officer. 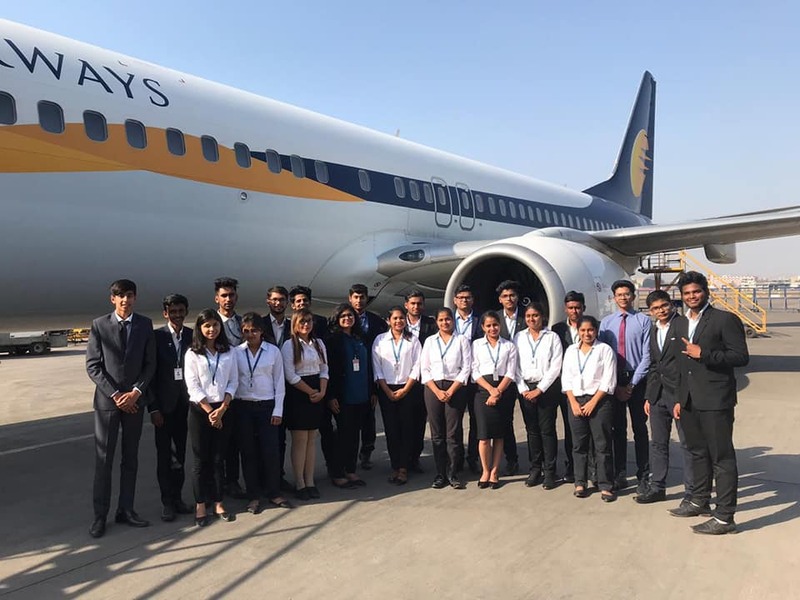 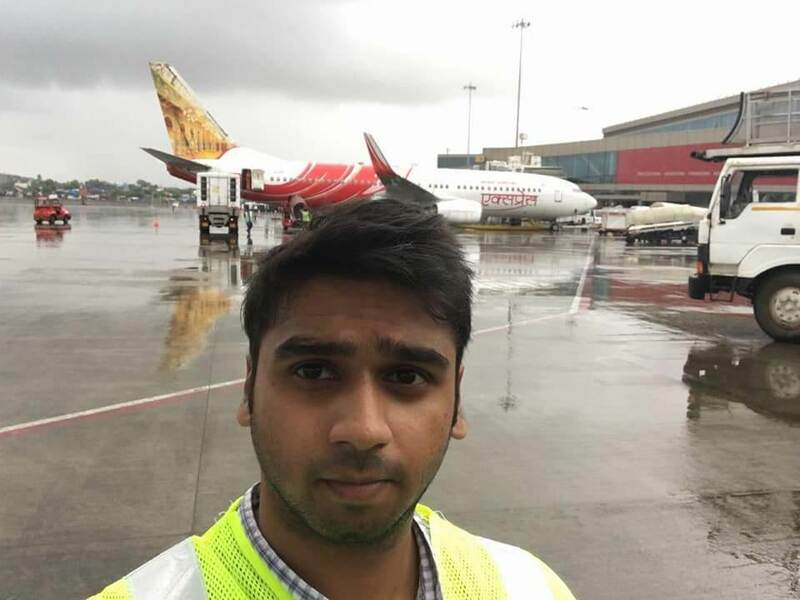 Our BBA Aviation Management students got real-time industry exposure. 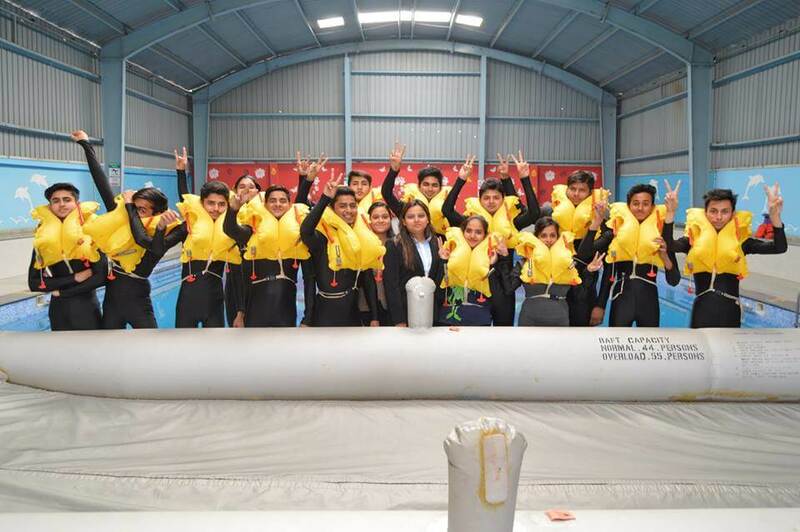 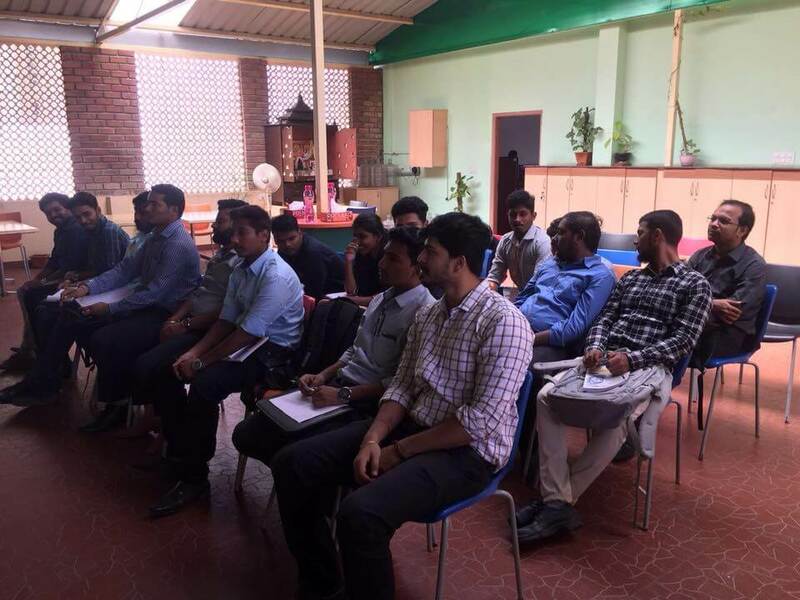 The Training took place at DGCA training facility FWSTC. 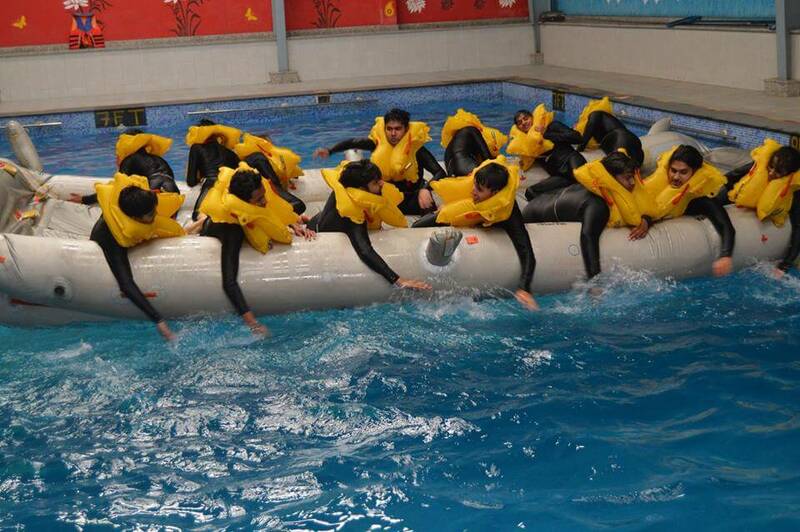 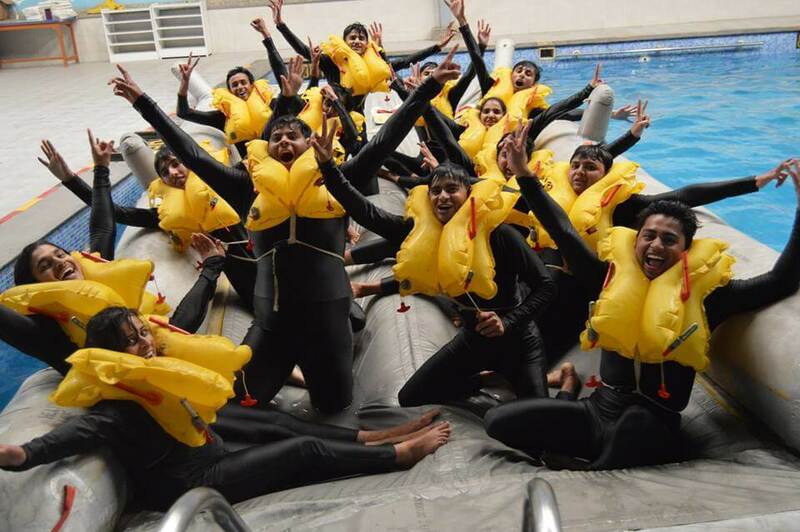 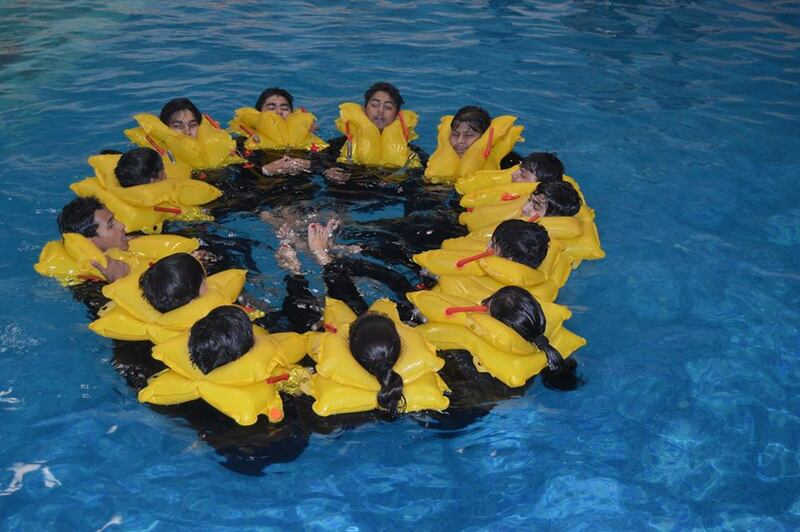 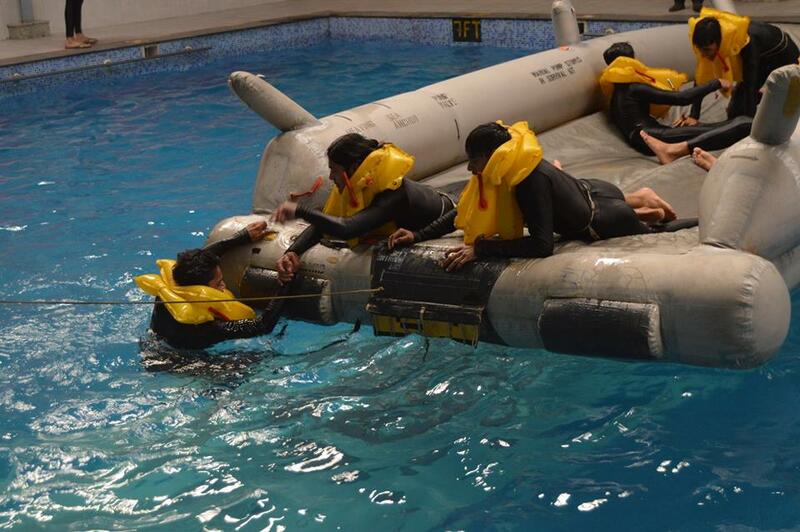 Students were trained on Fire safety, Wet Drill, Water Survival, Simulation Training. 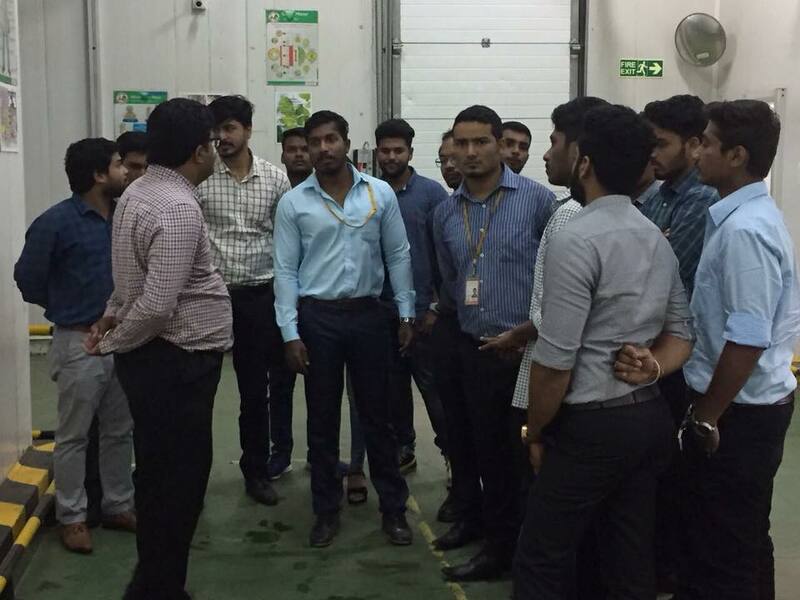 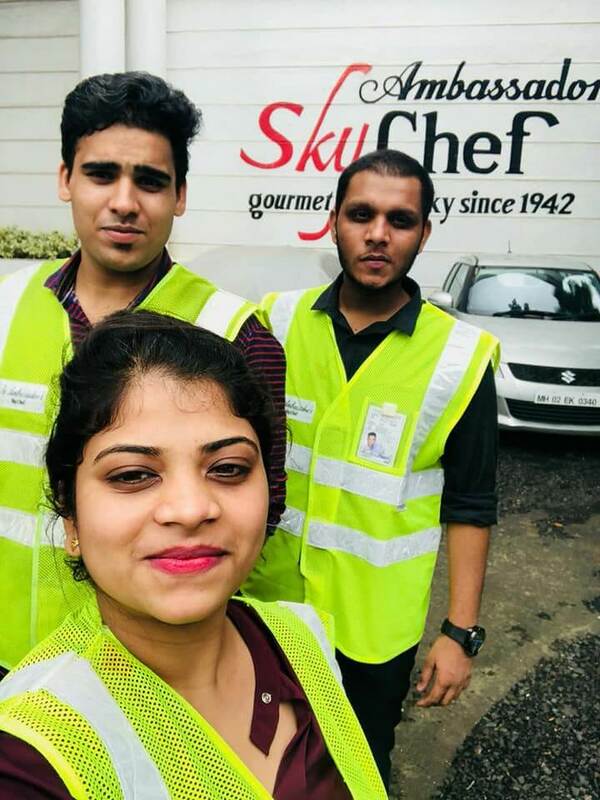 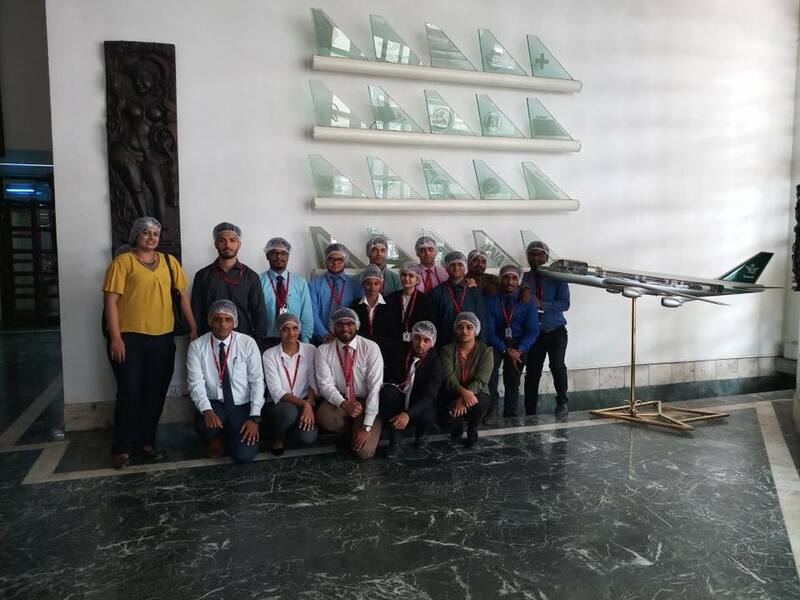 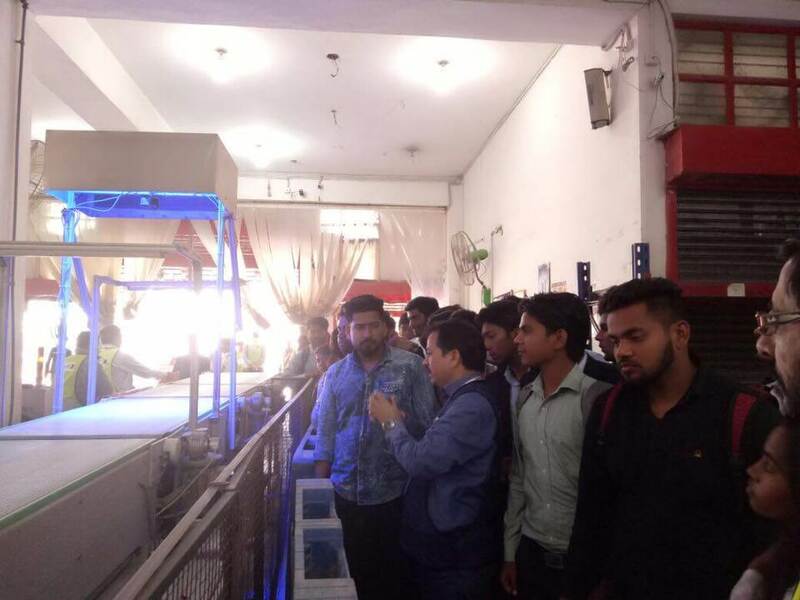 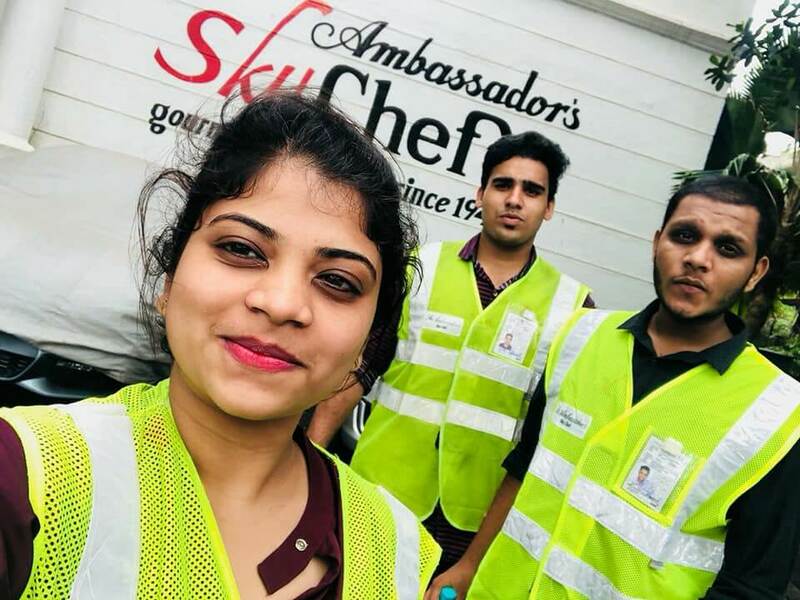 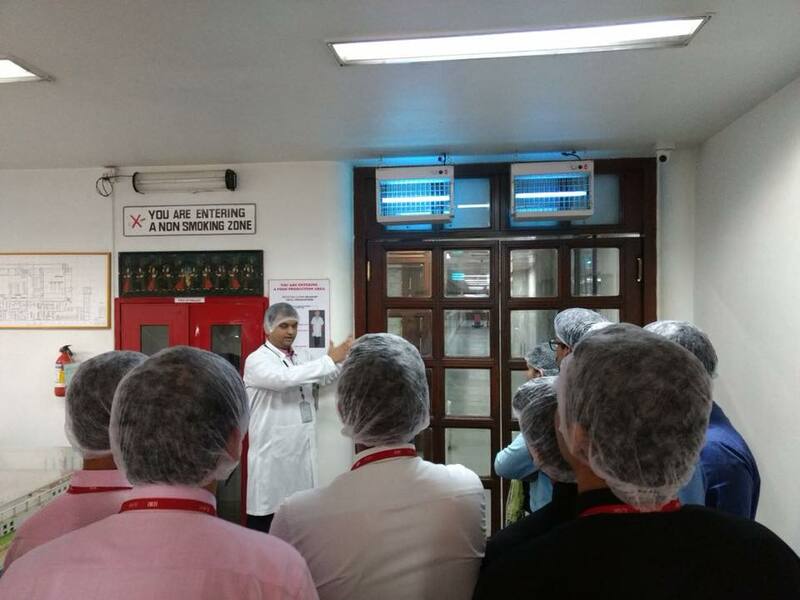 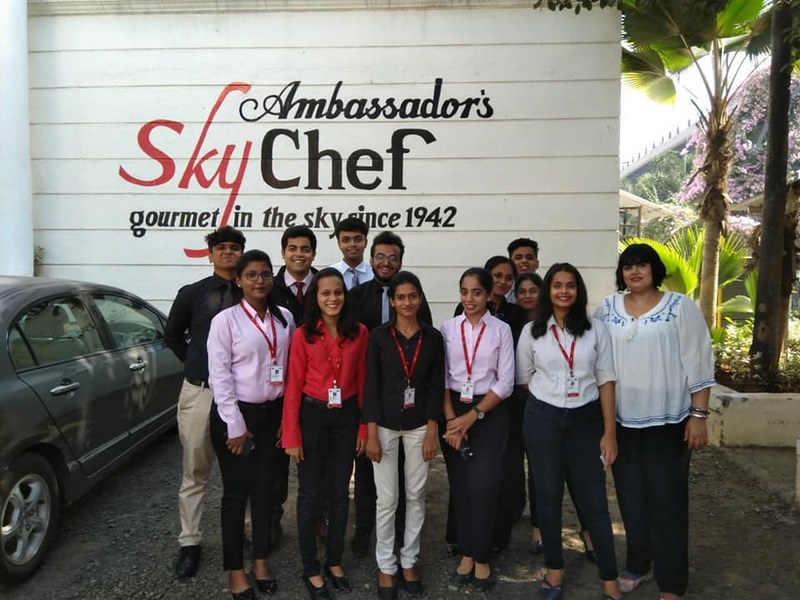 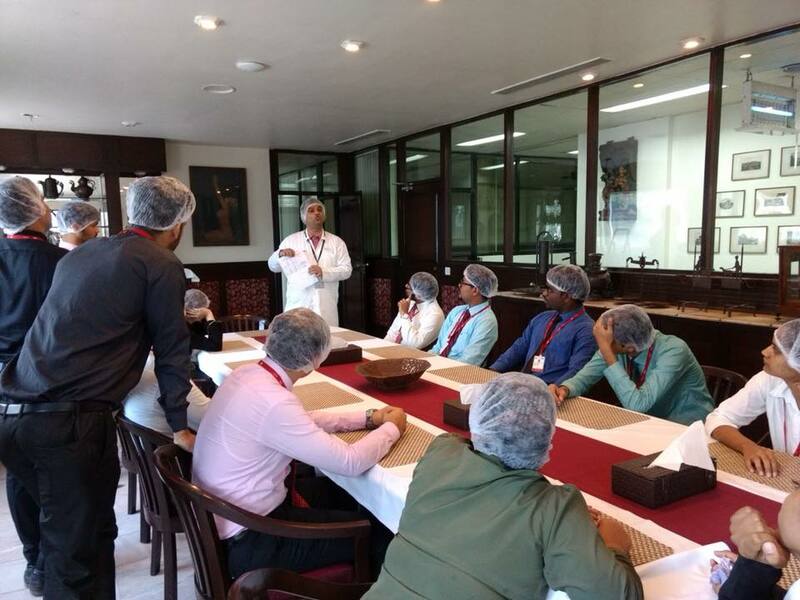 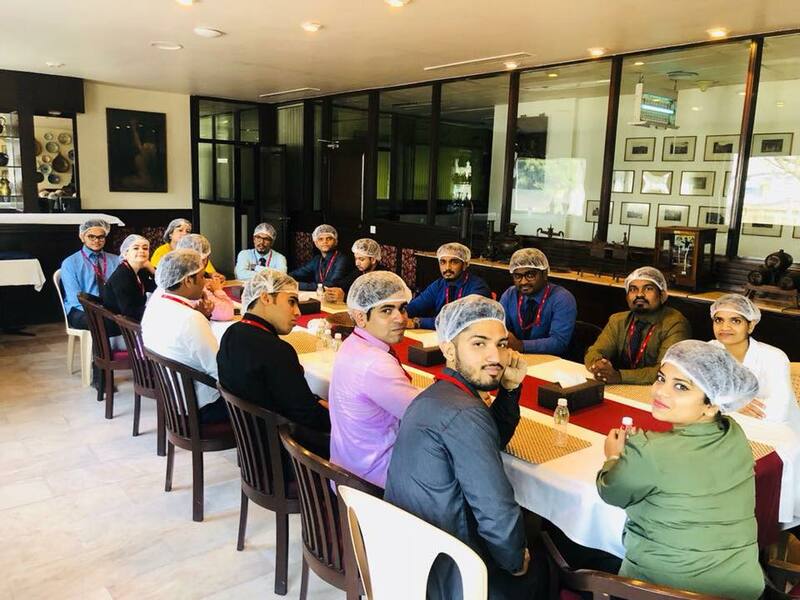 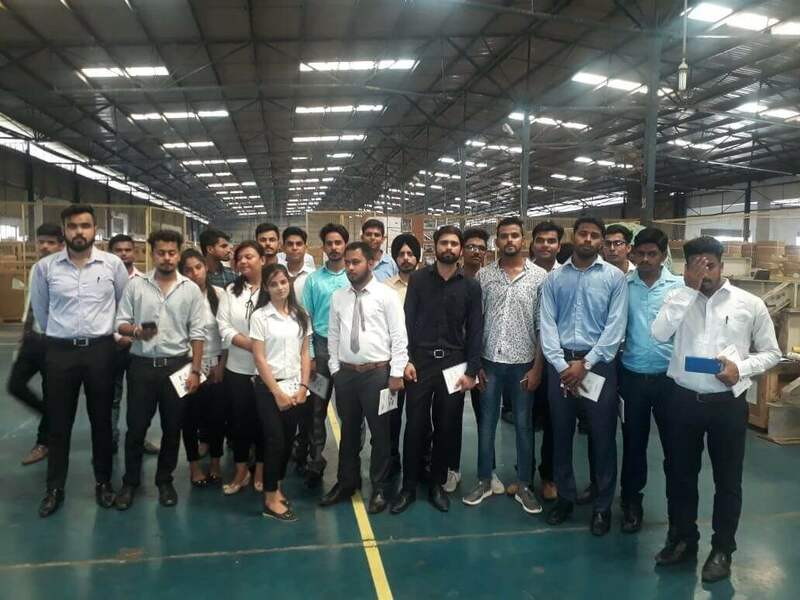 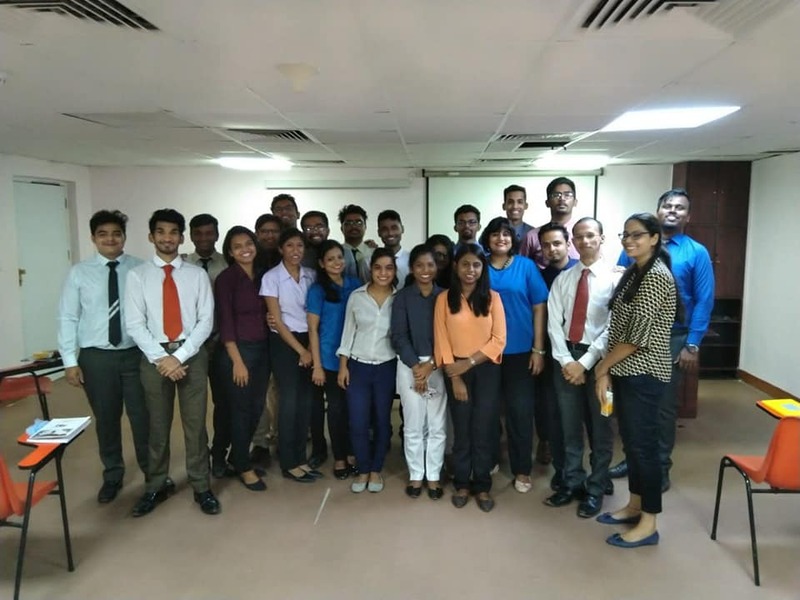 A Visit to Skychef was organized for MBA Aviation Management first semester students .They were also addressed by food safety team, executive chef Mr.Chetan and senior HR Manager Mr. Das Students also got the understanding of logistics aspect in overall operations. 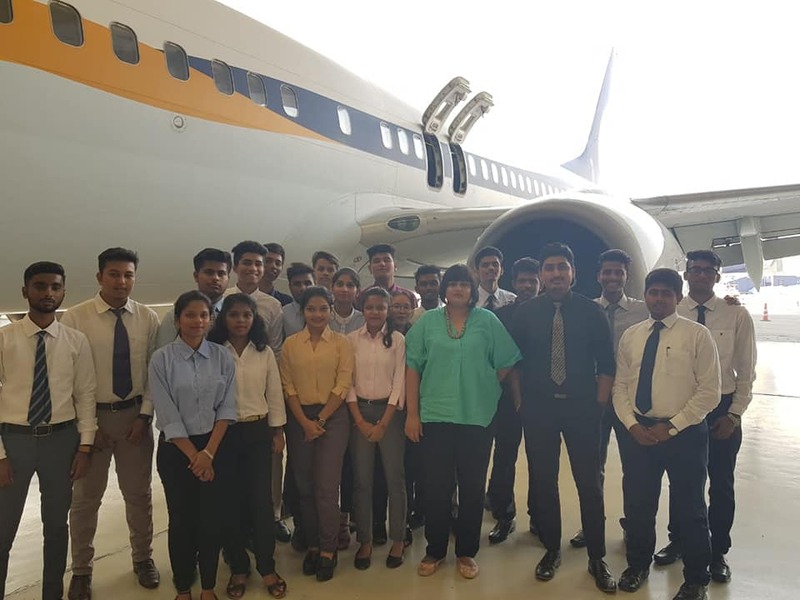 Our MBA Aviation Management students completed their hangar visit. 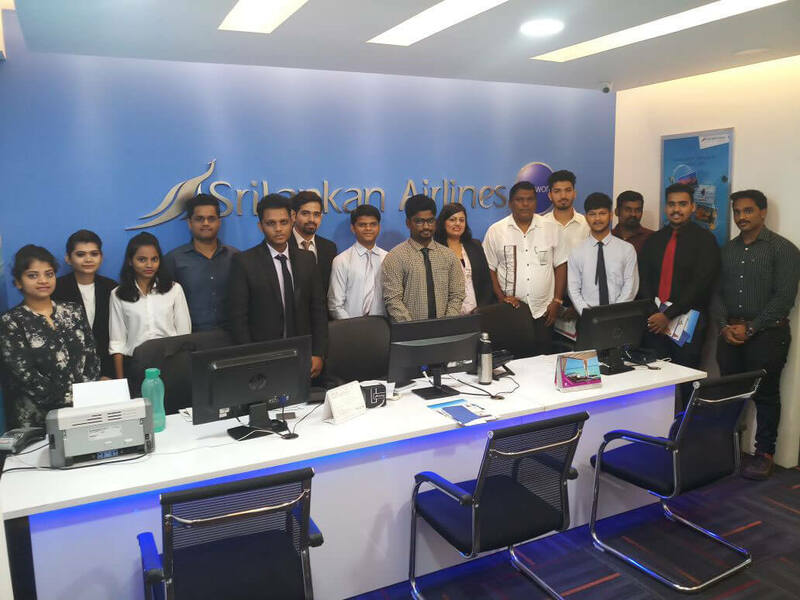 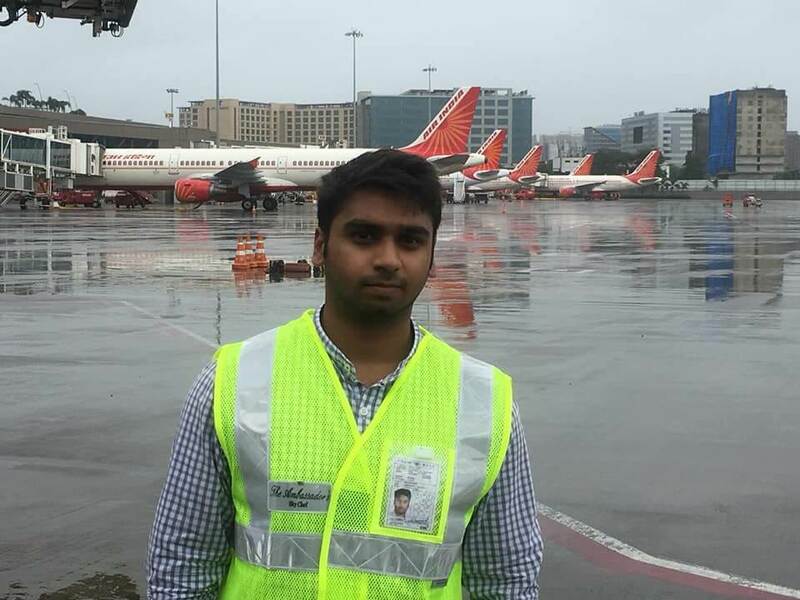 Students got real time industry exposure flight operations and maintenance department. 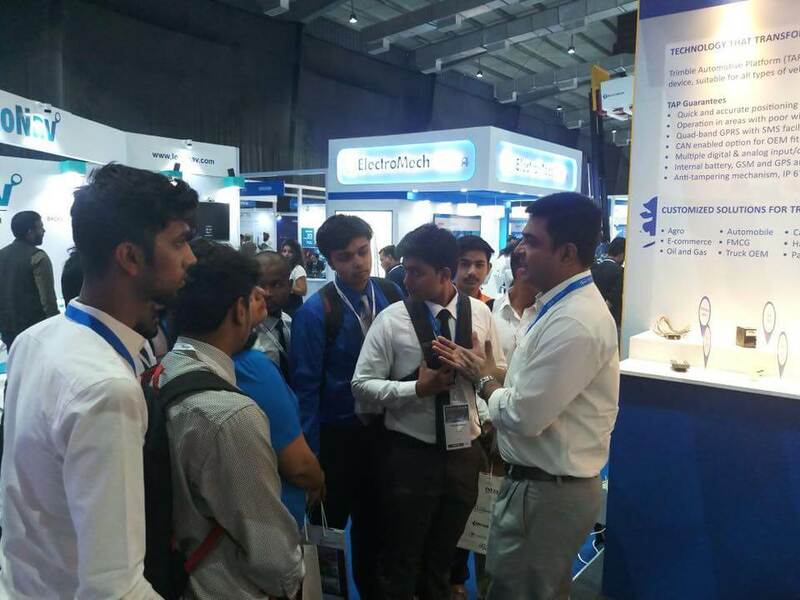 They also got some career advice by Mr. Dhumale Senior Trainer Engineering and Maintenance. 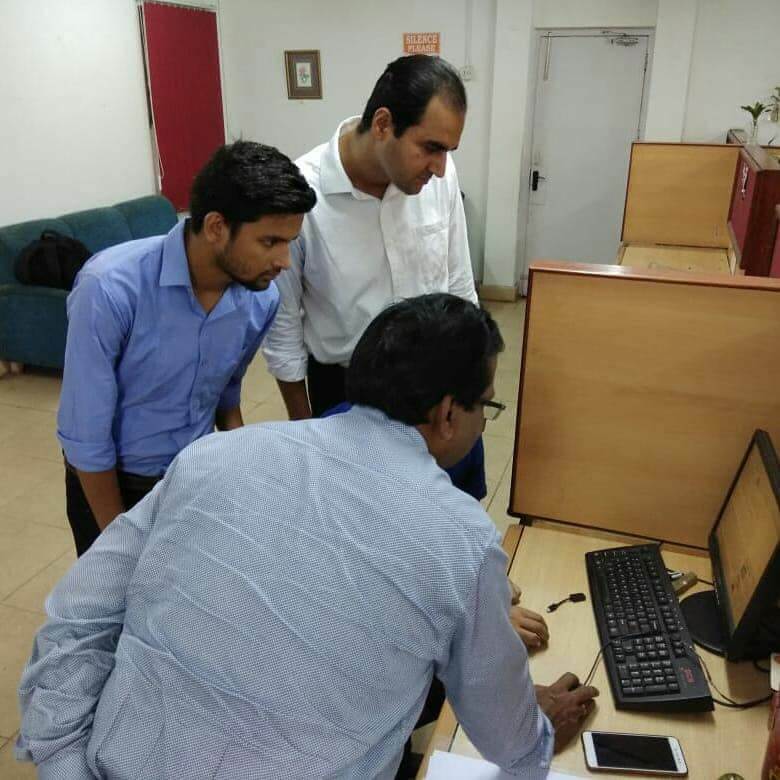 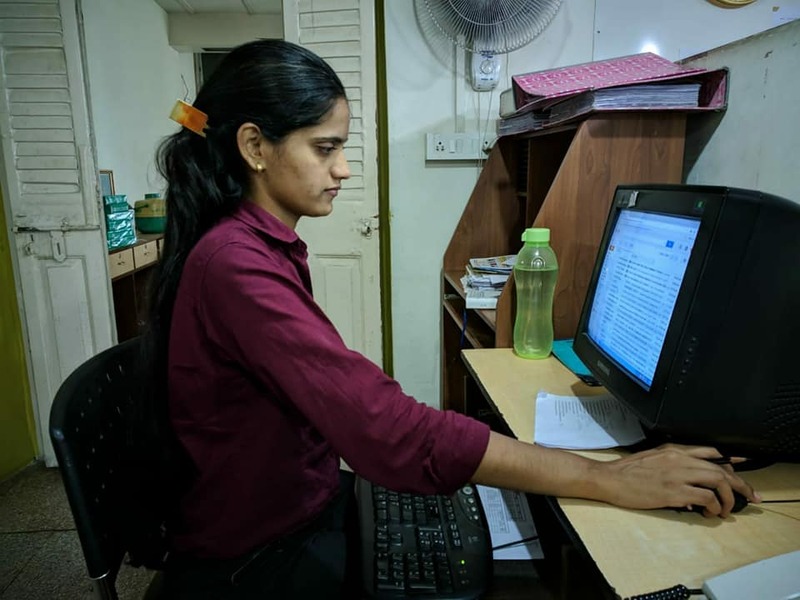 Additional Certificates will be issued to them within 10 working days. 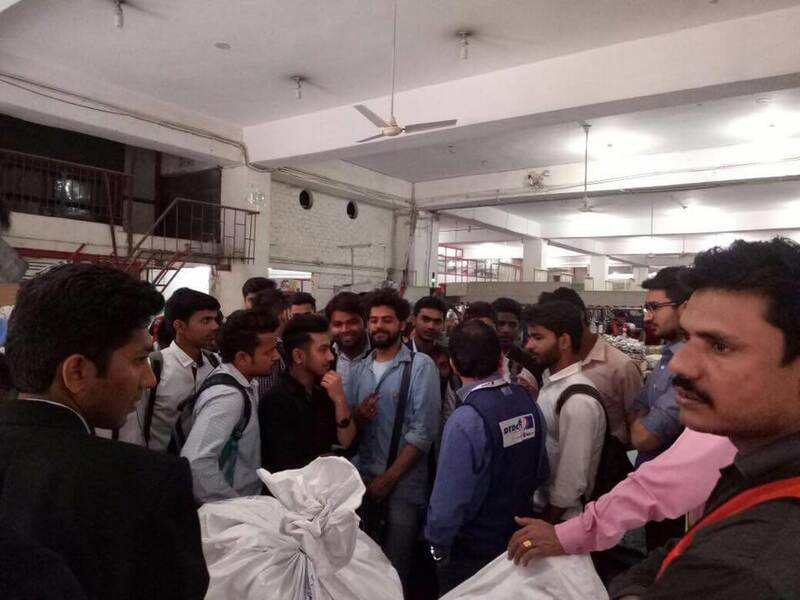 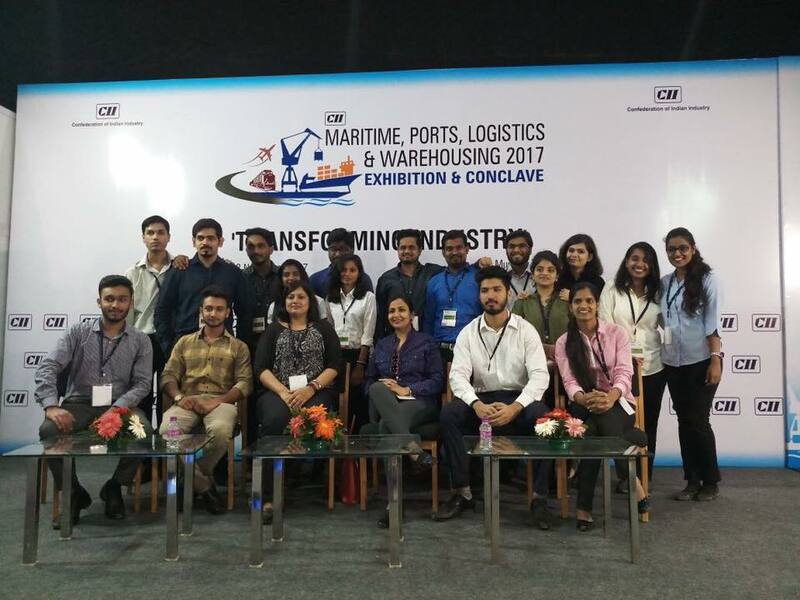 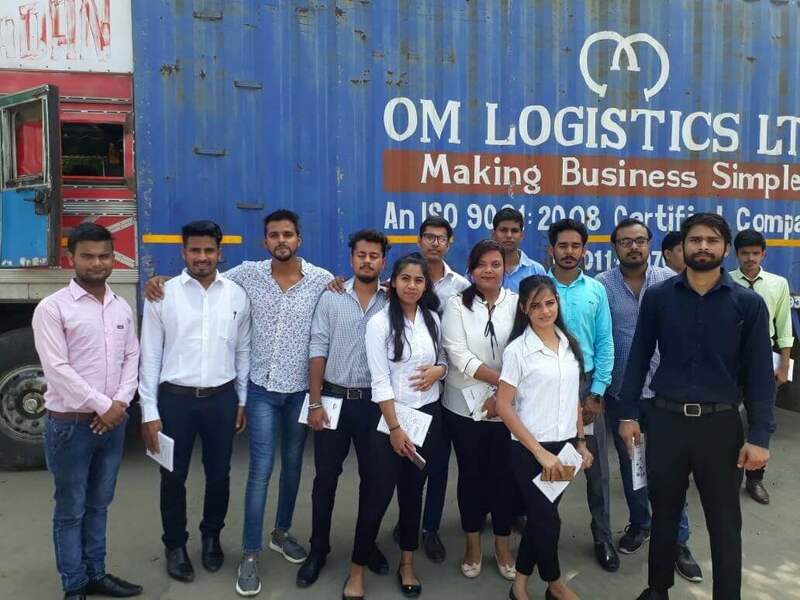 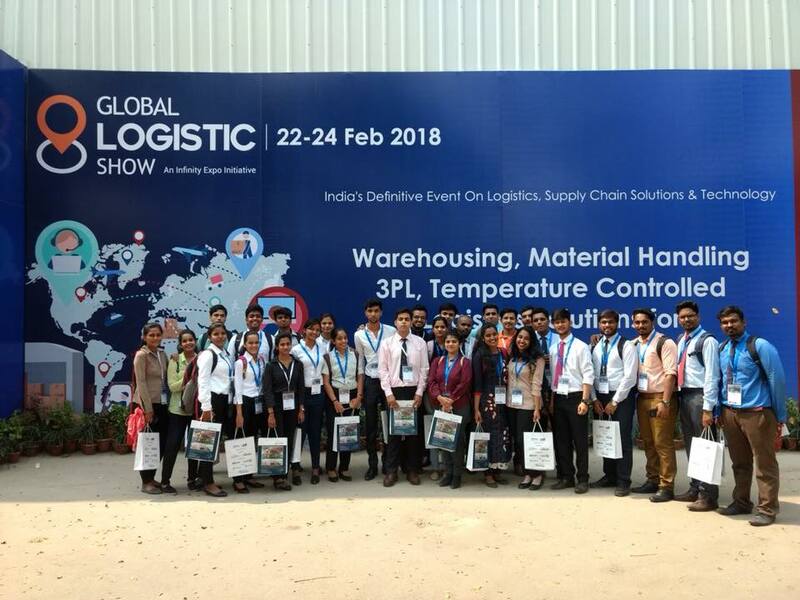 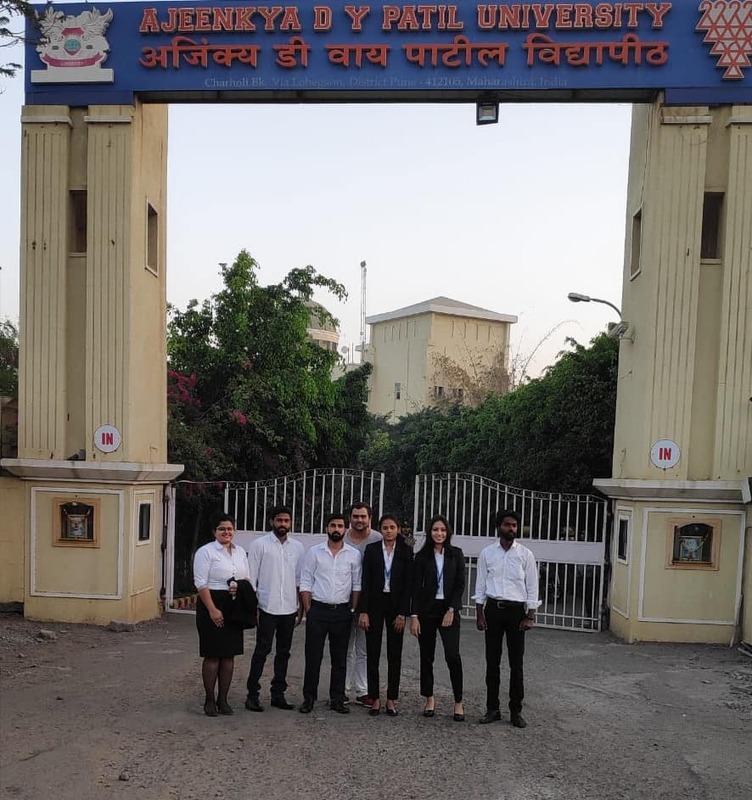 Our MBA Logistics, Mumbai batch First-year students visited JNPT. 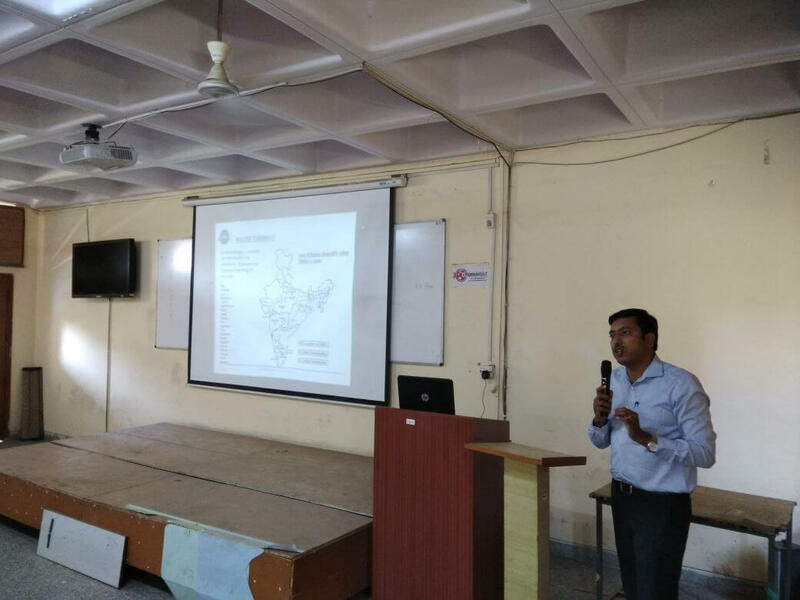 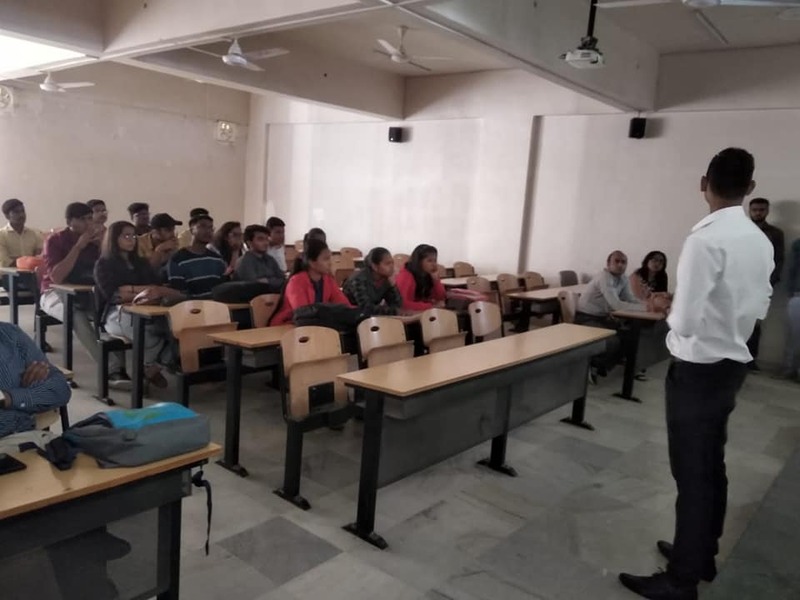 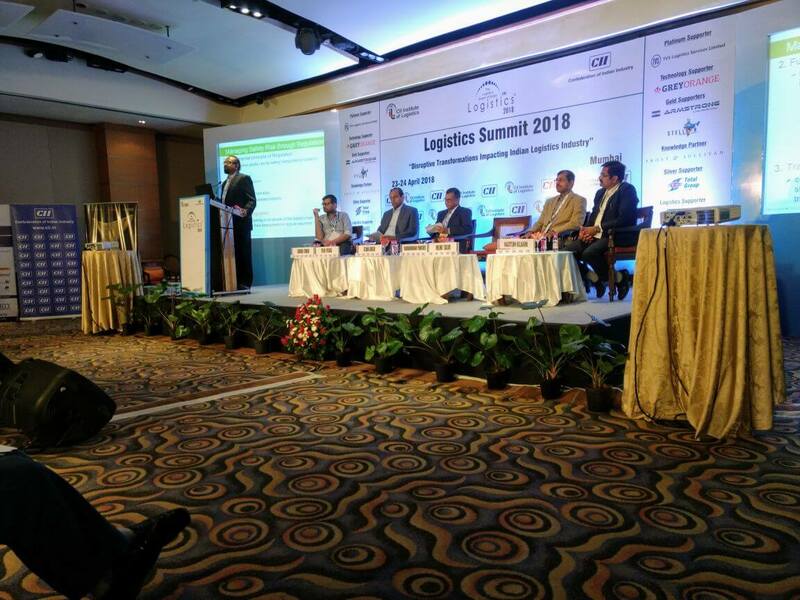 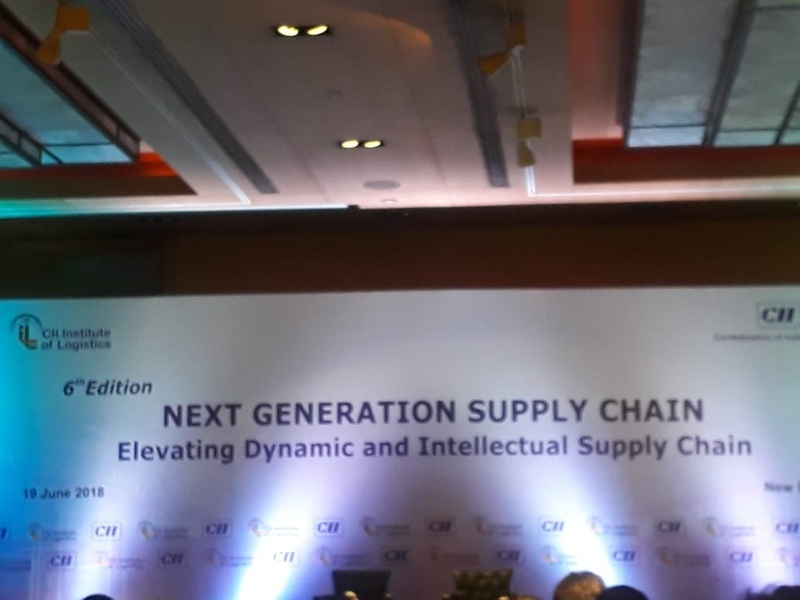 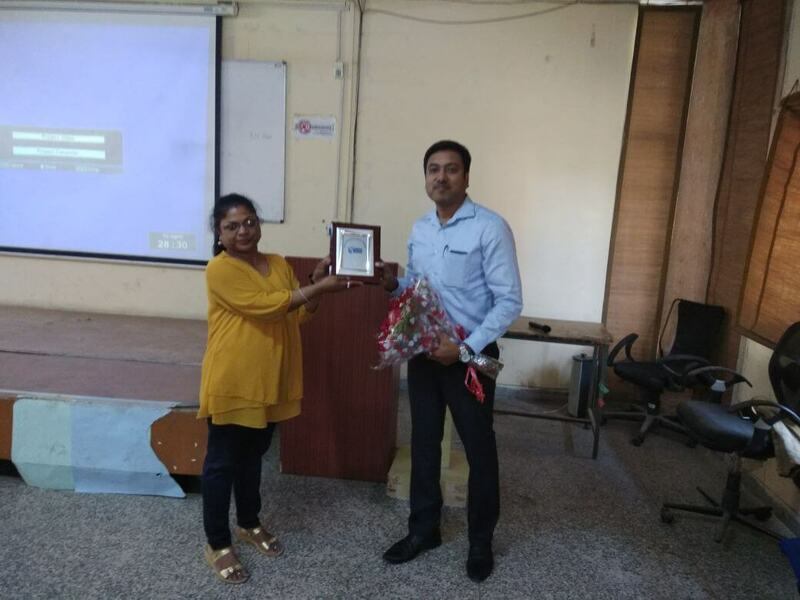 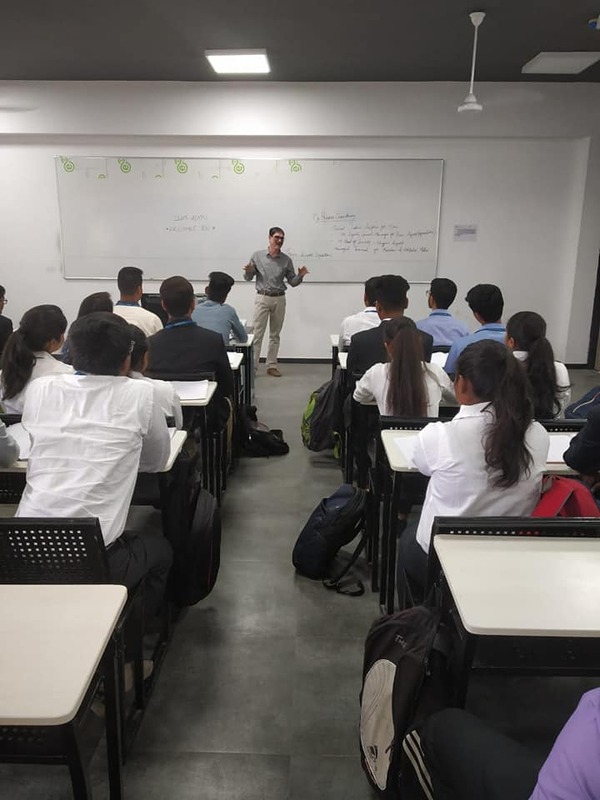 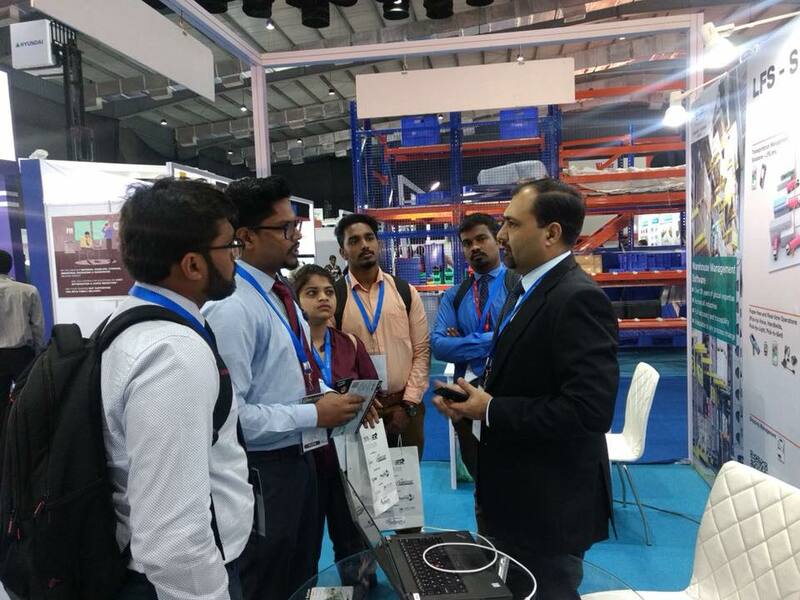 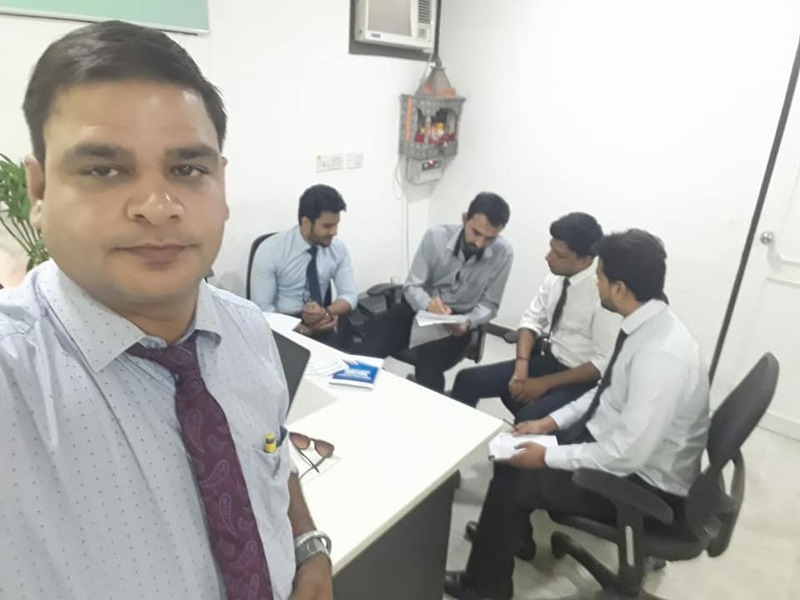 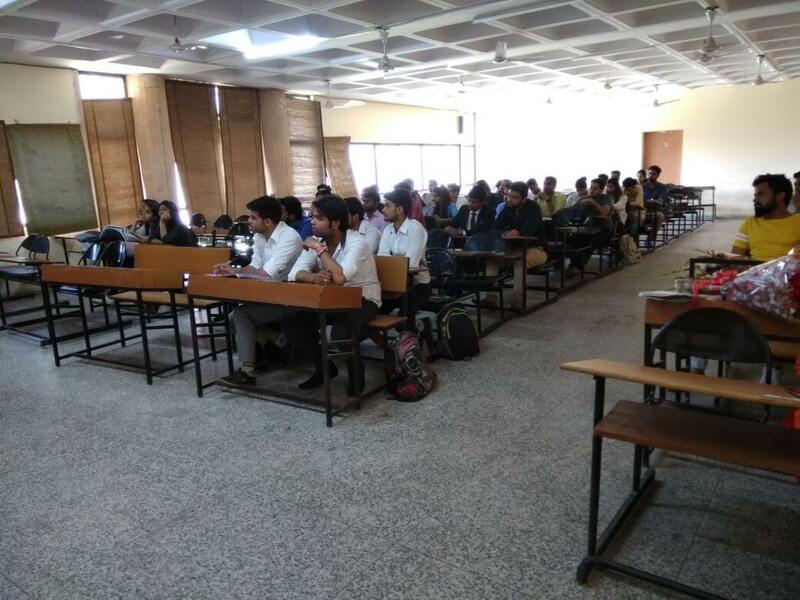 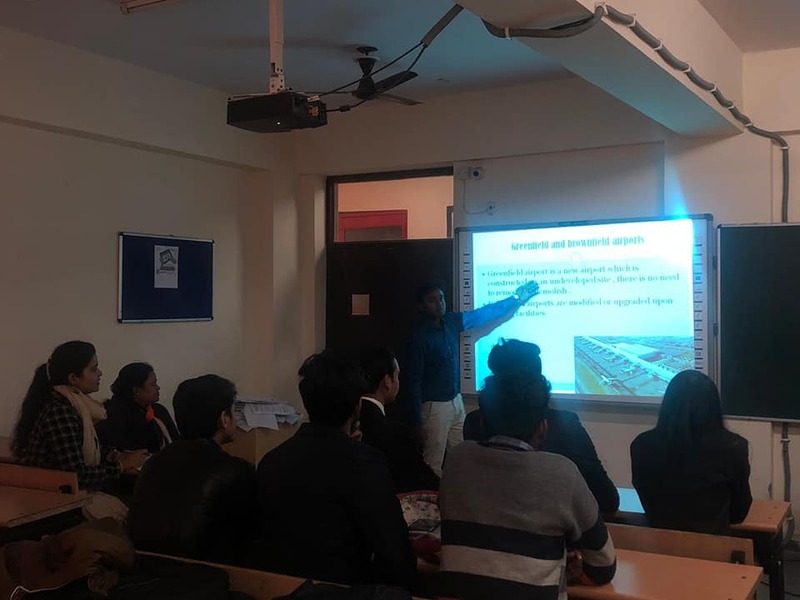 The students were addressed by Mr. Ravi Gherat marketing team representative He explained the procedures and practices which have made JNPT the highest profit-making port in India. 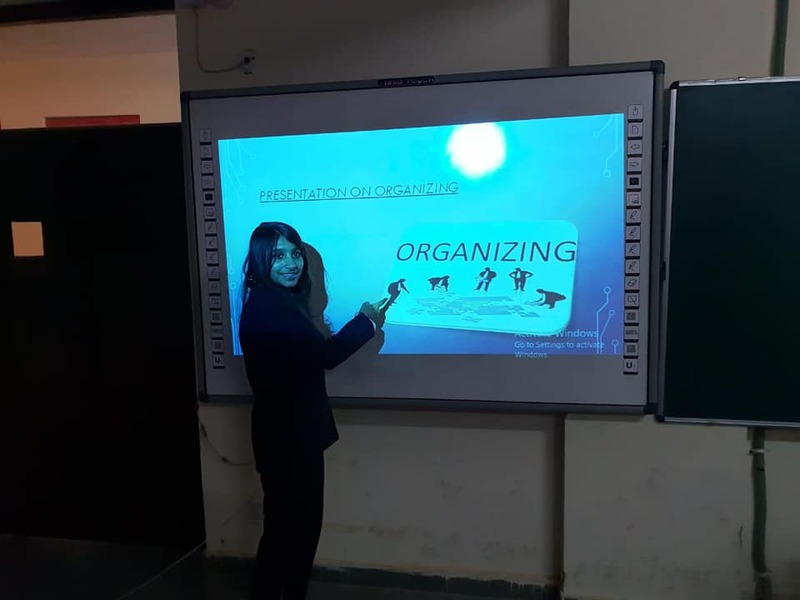 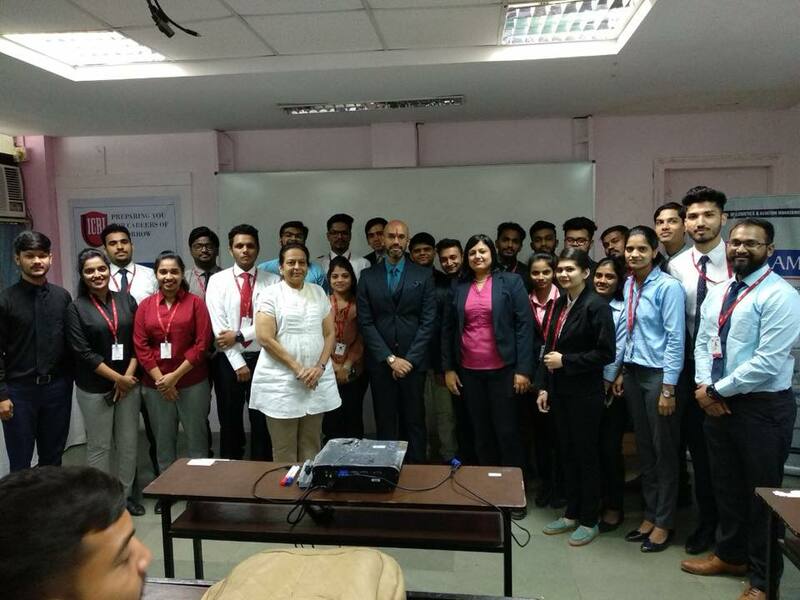 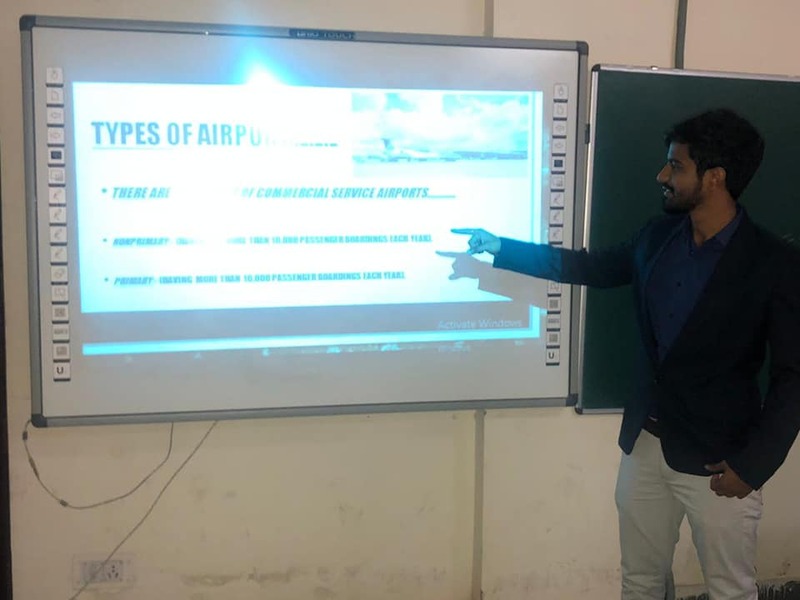 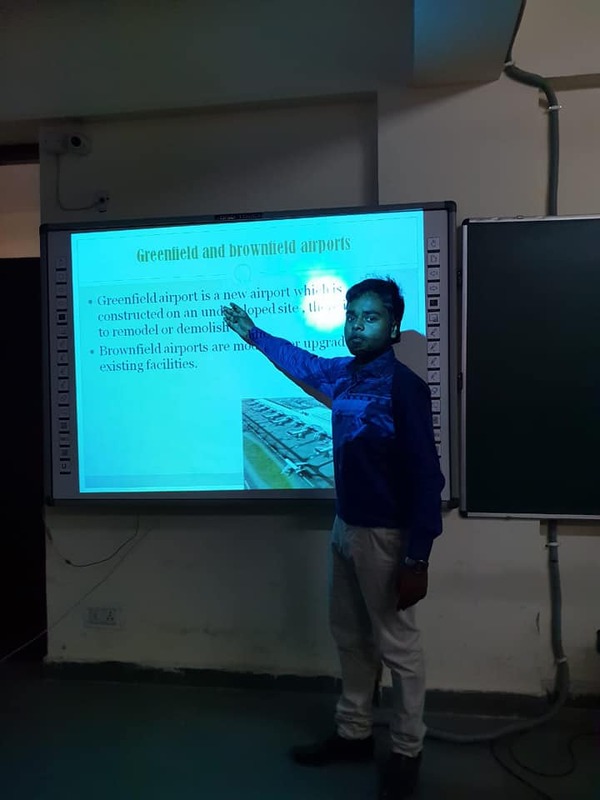 Our BBA Aviation Management students gave presentation on different topics on Aviation at our Delhi Campus. 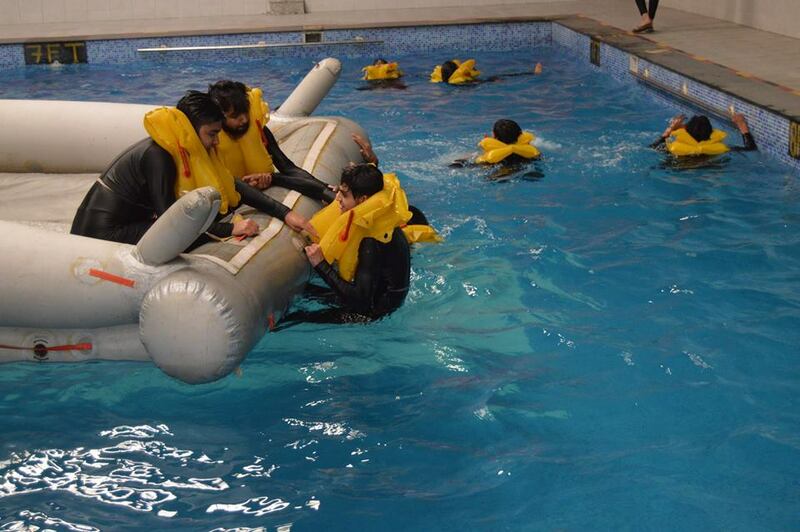 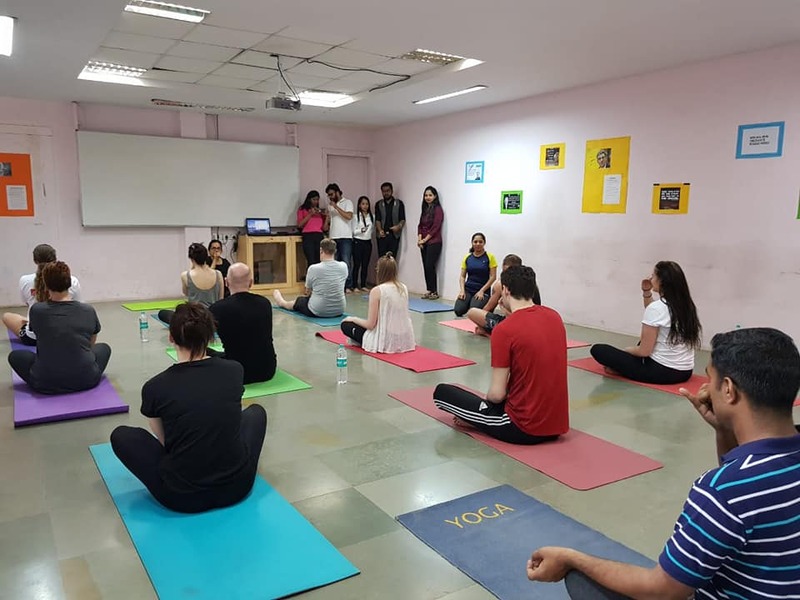 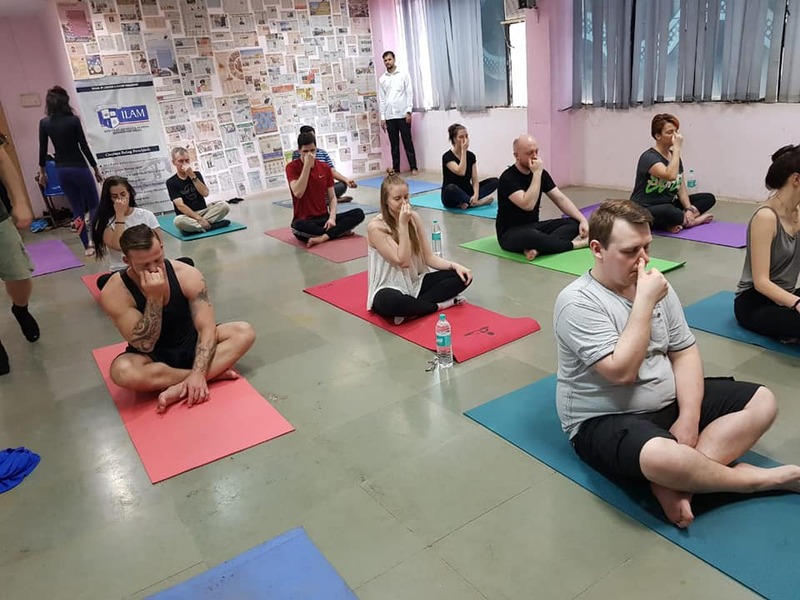 This was a skill enhancement activity performed by our students. 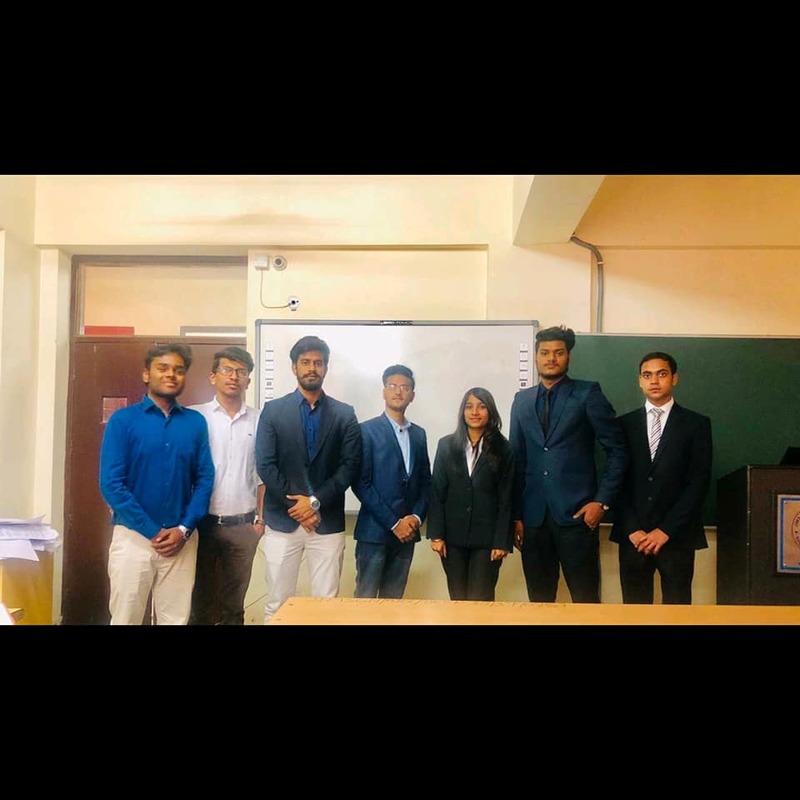 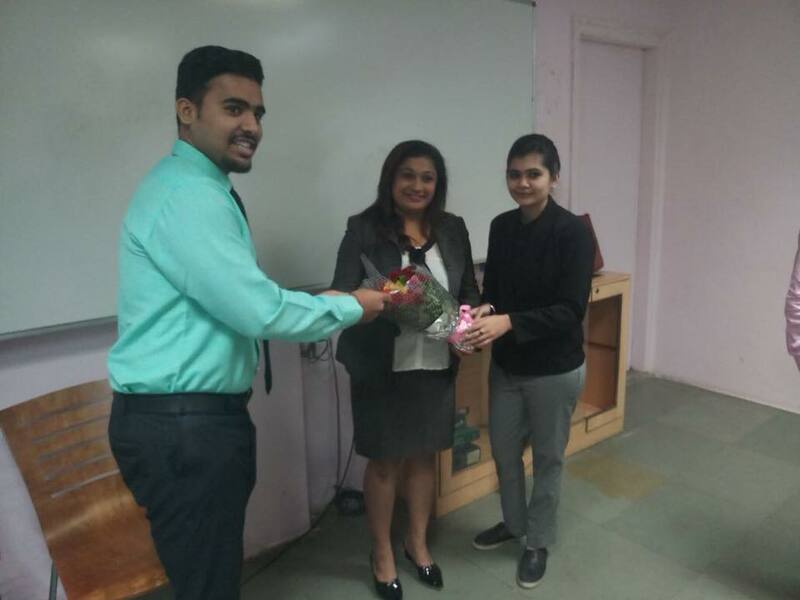 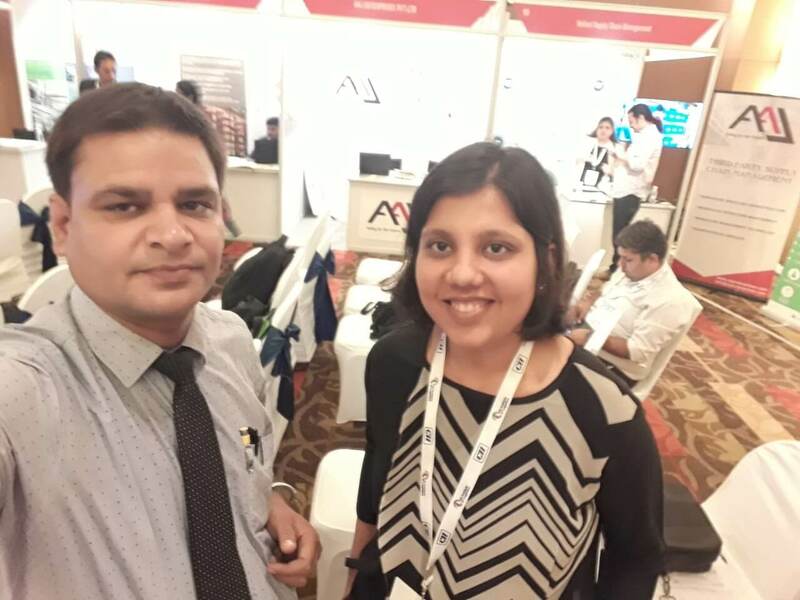 Industry oriented presentations were prepared by our MBA / BBA students at our Ahmedabad campus. 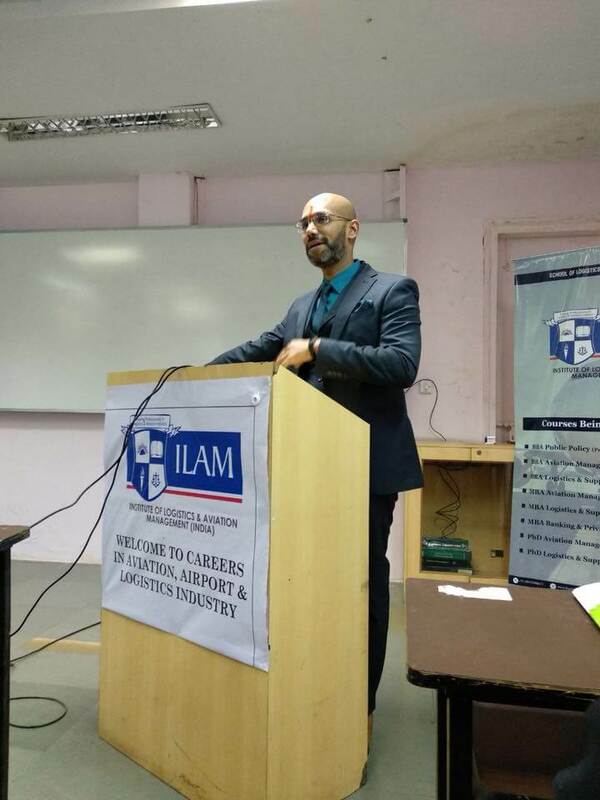 The topics included recent trends, major players along with the career opportunities in their field of study. 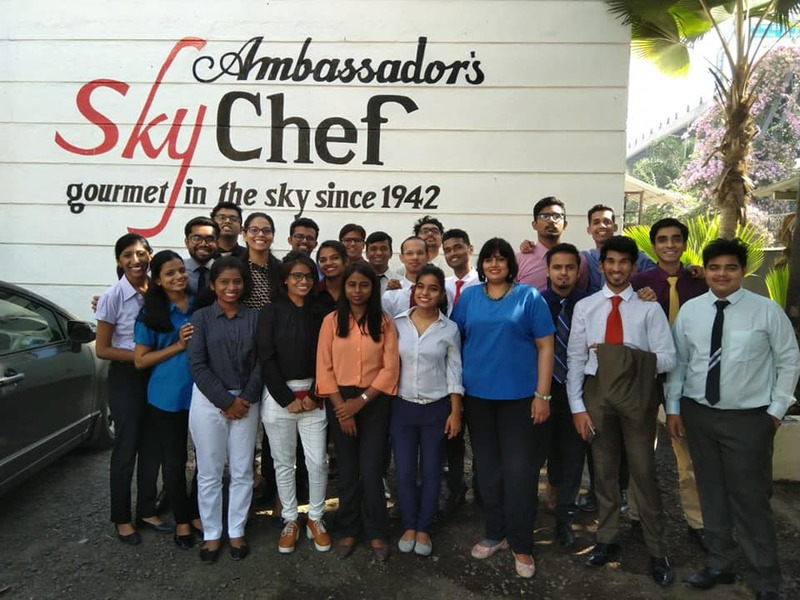 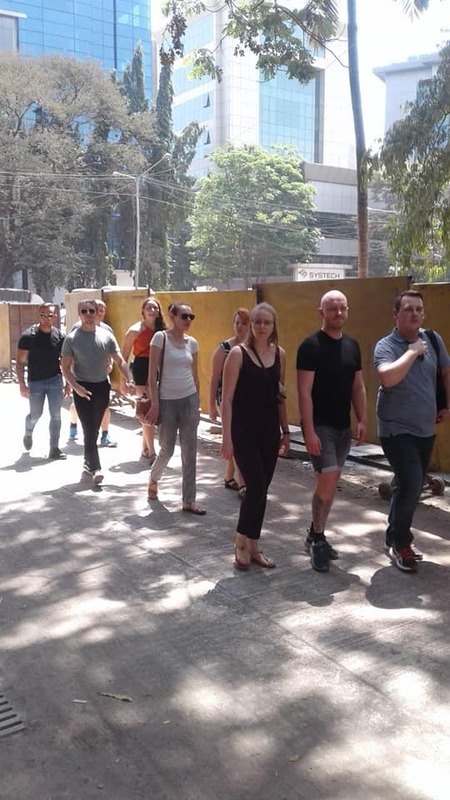 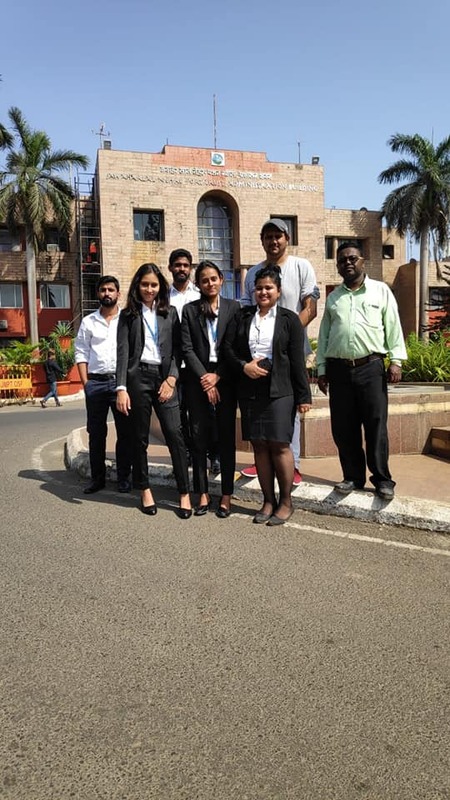 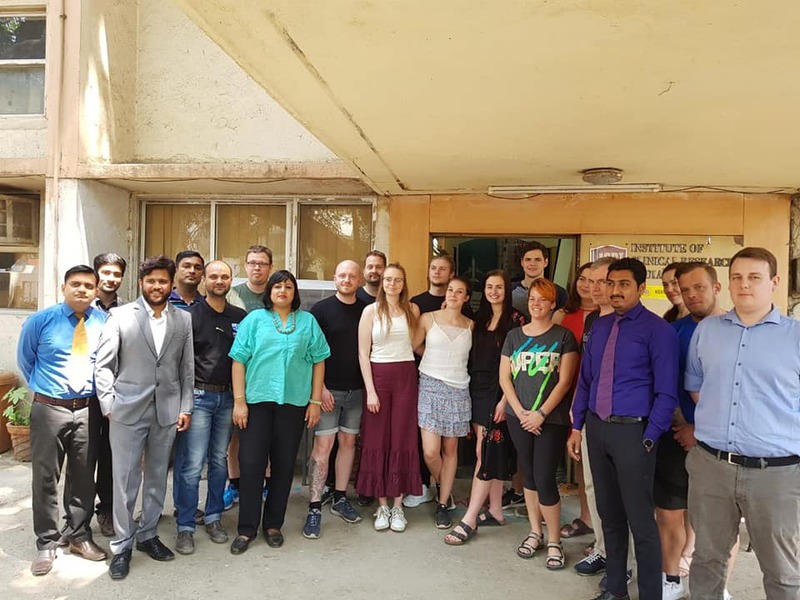 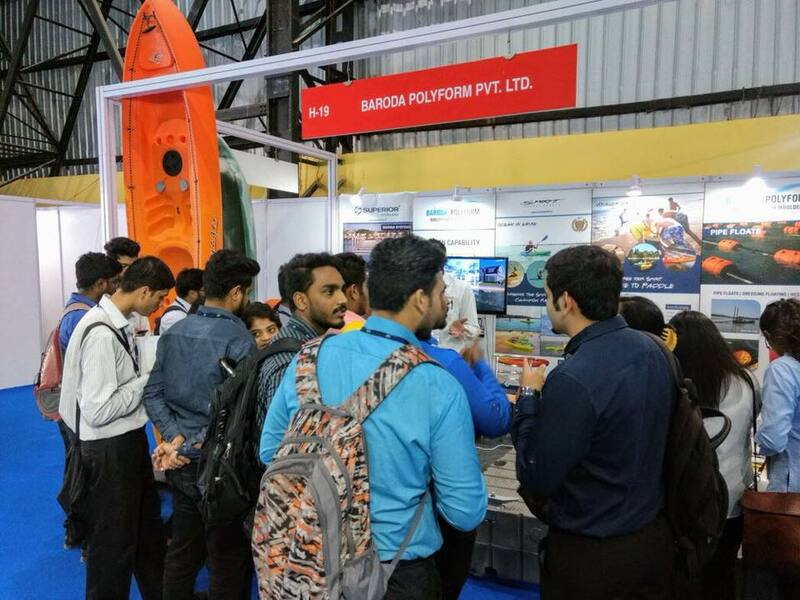 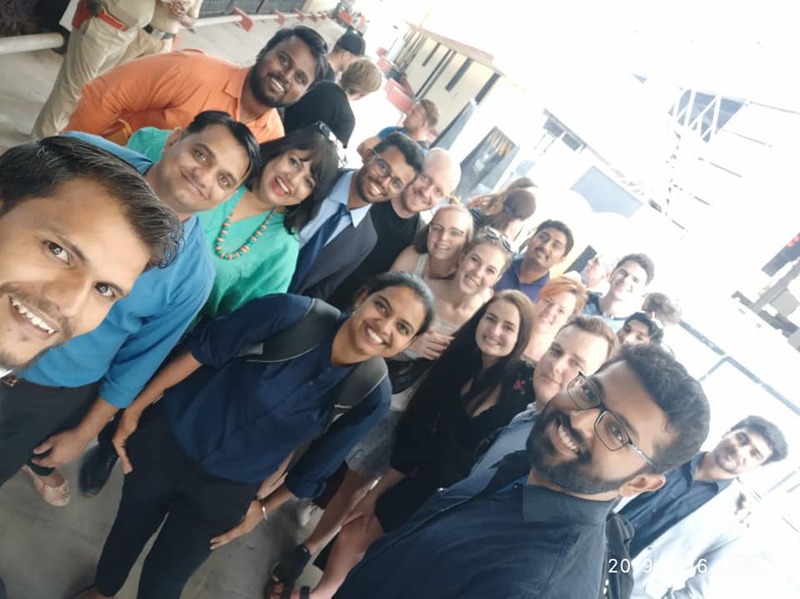 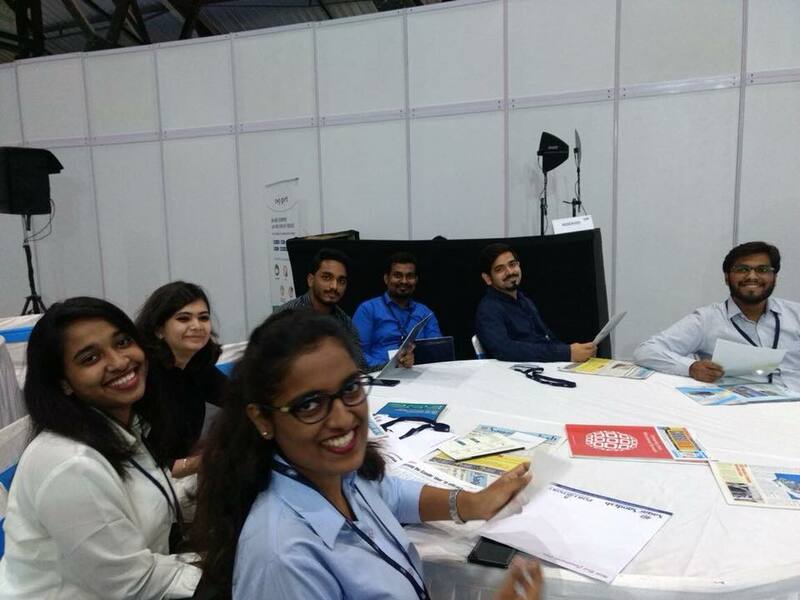 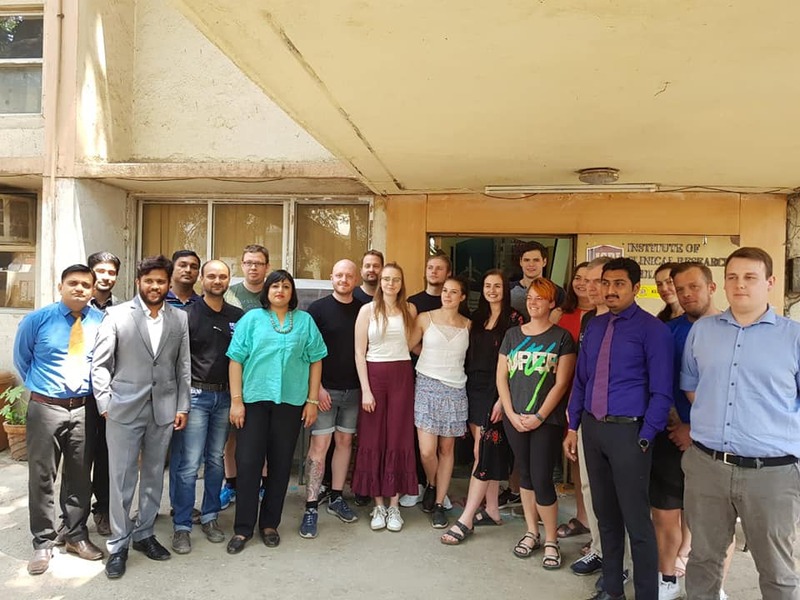 Our ILAM Mumbai batch students visited Goa from as part of their industry visit. 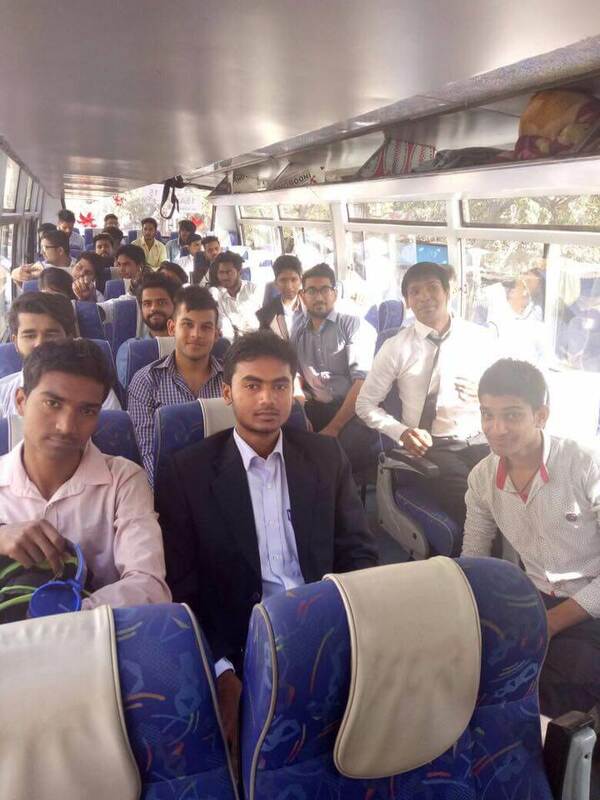 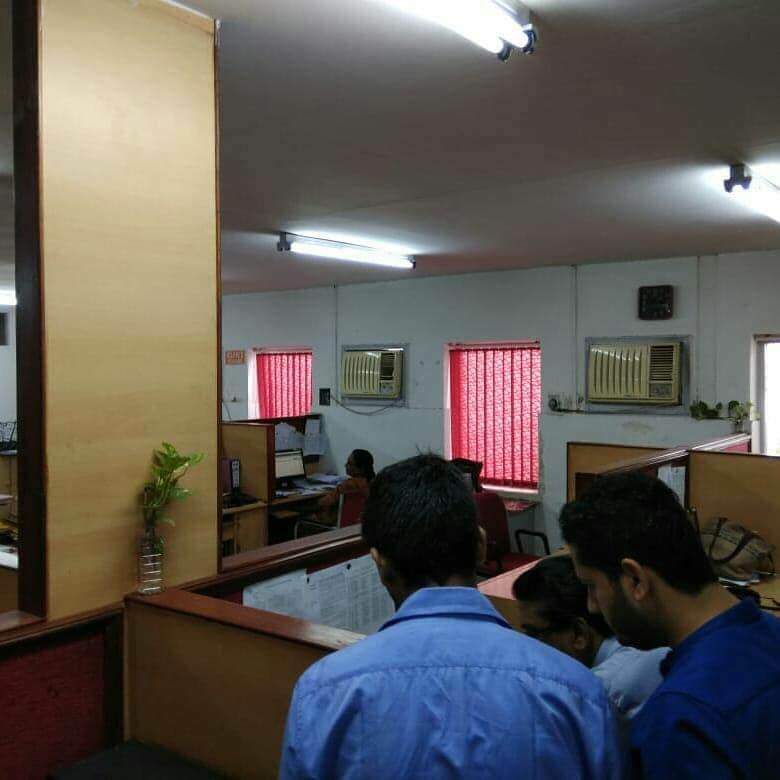 The students were segregated as per their streams and taken to their respective industries. 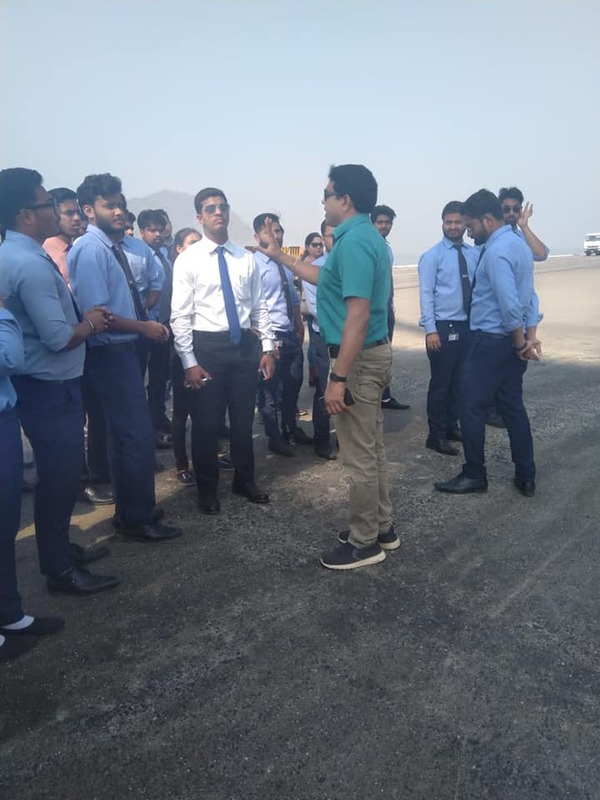 Aviation students visited the Naval Aircraft Yard. 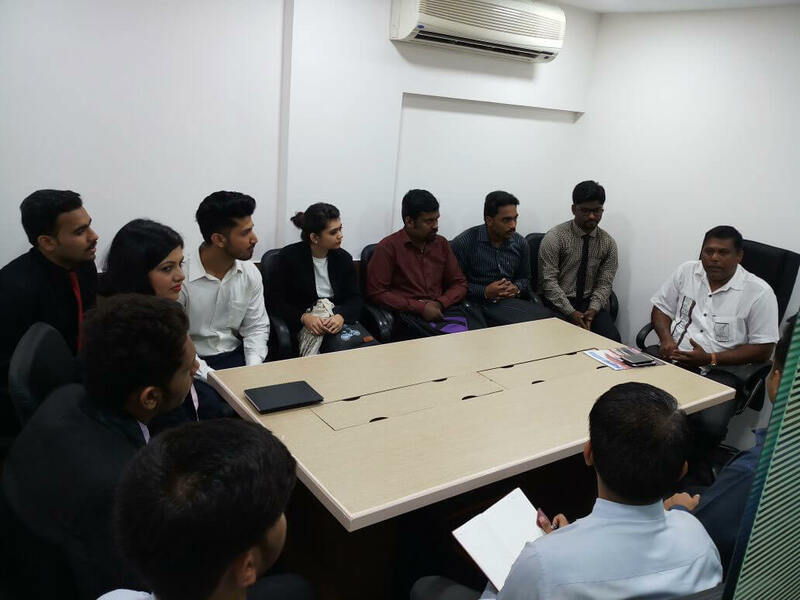 They got the opportunity to be addressed by the commodore of Goa base. 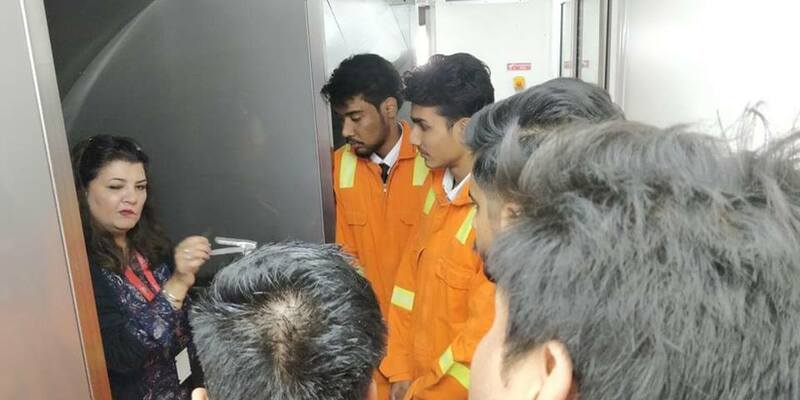 Students were then shown around the ingenious workshops and hangar with Sukhoi and MiG fighters. 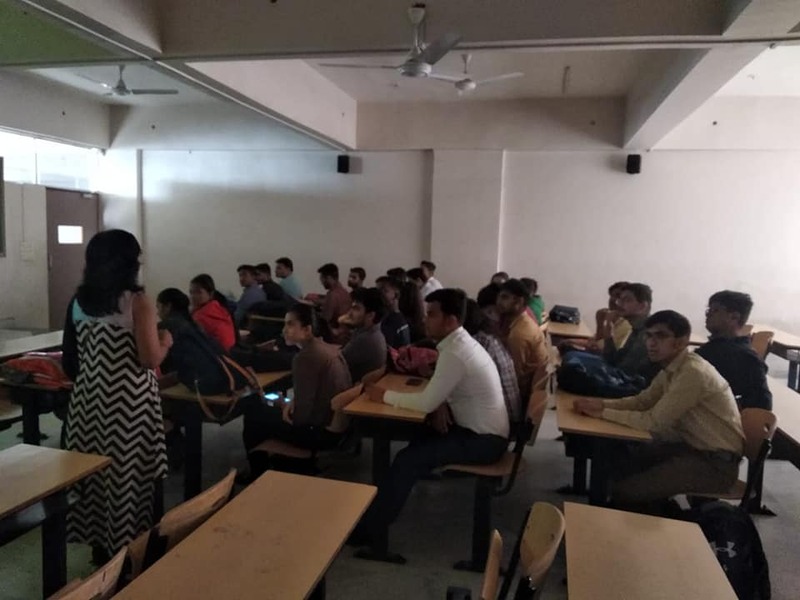 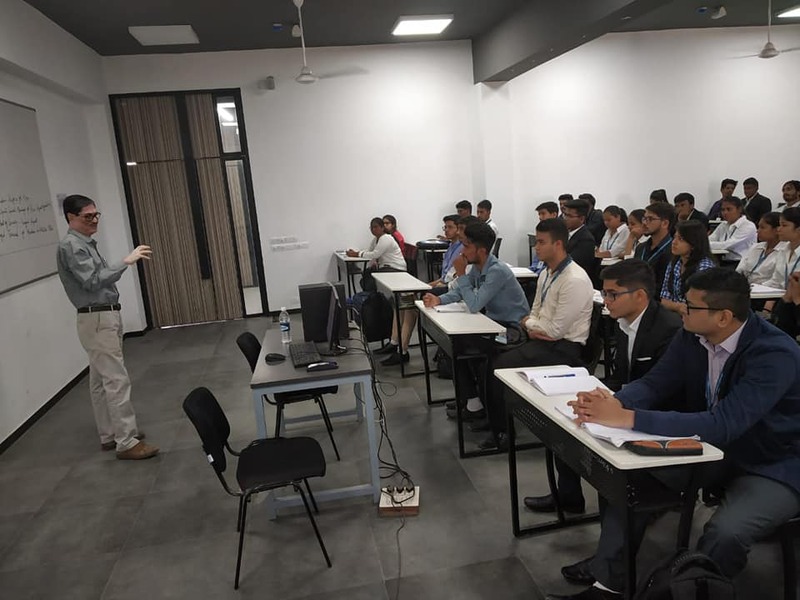 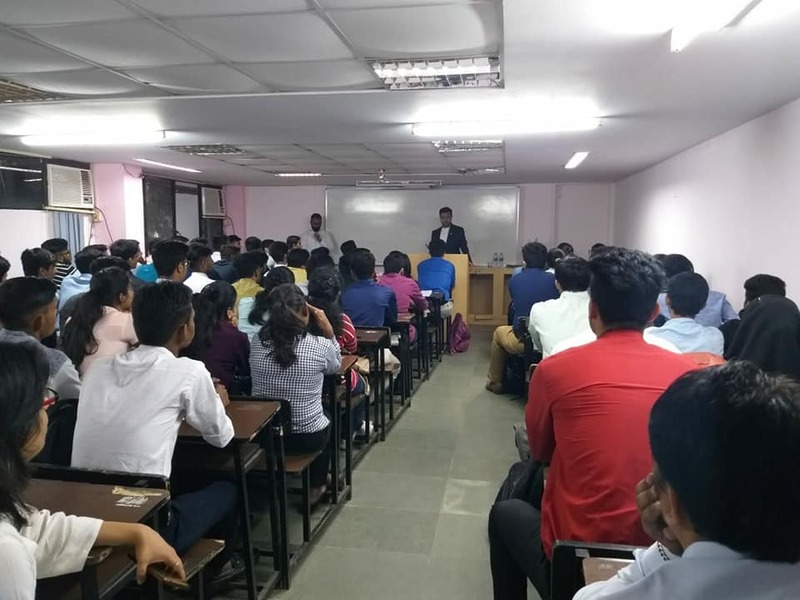 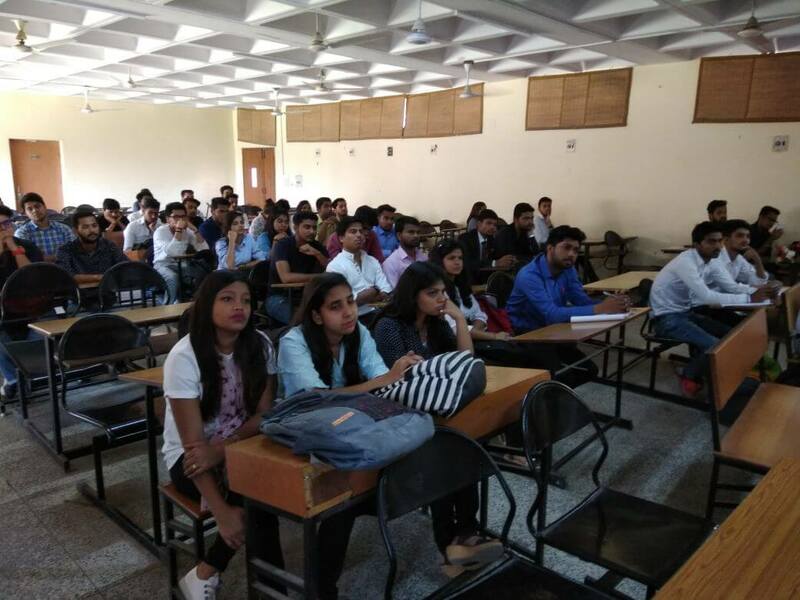 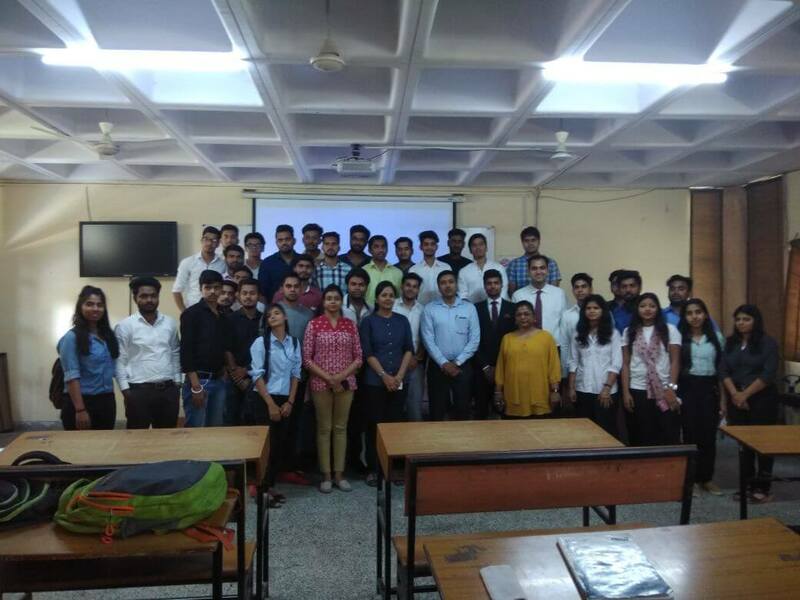 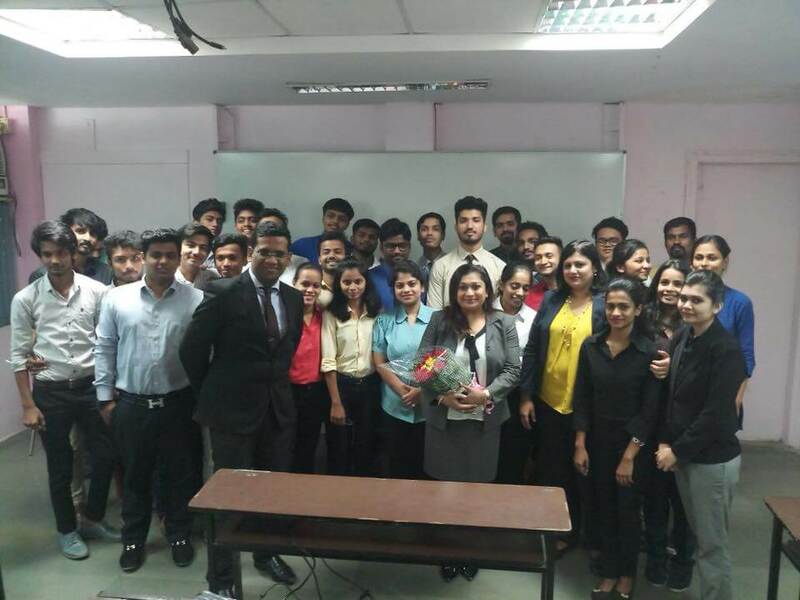 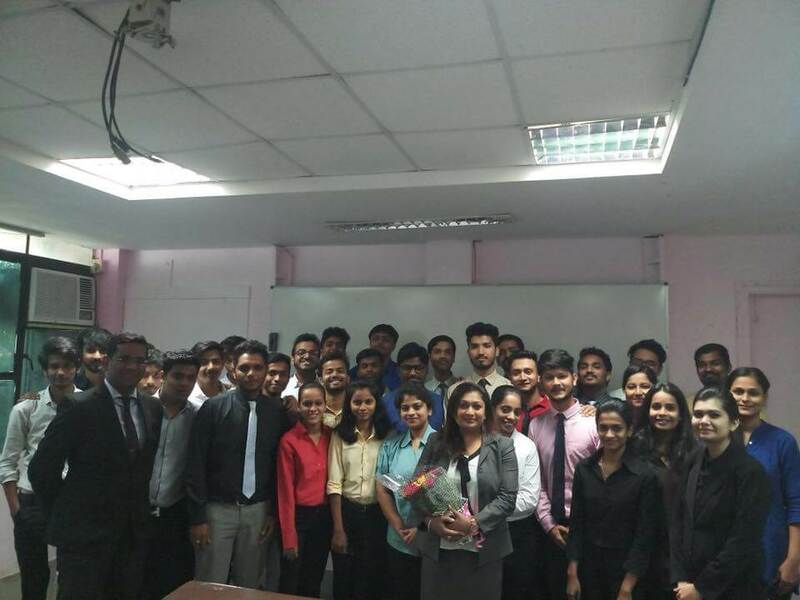 Guest Lecture was organized for our BBA/MBA Aviation Management students at our Pune Campus. 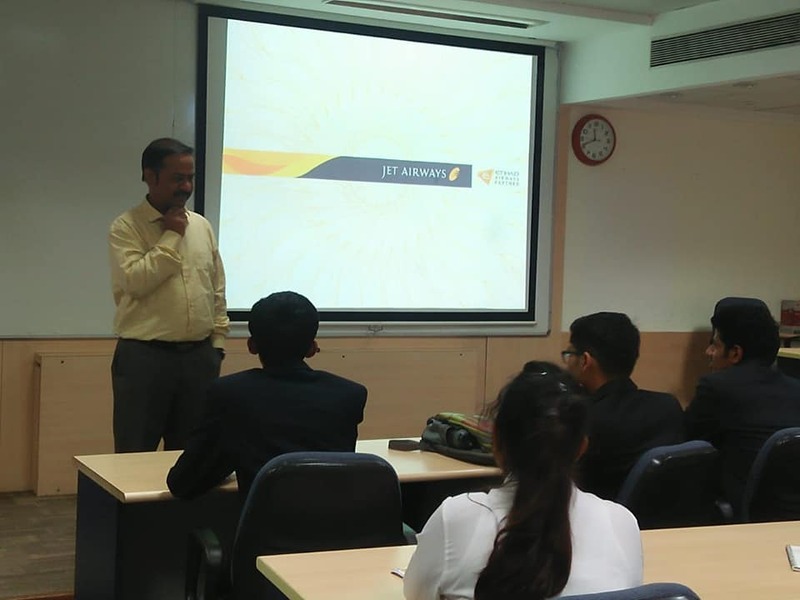 Guest Speaker: Mr. Pradip Chowdhury, served Indian Air Force for 15 years, Head of security for Nagpur Airport. 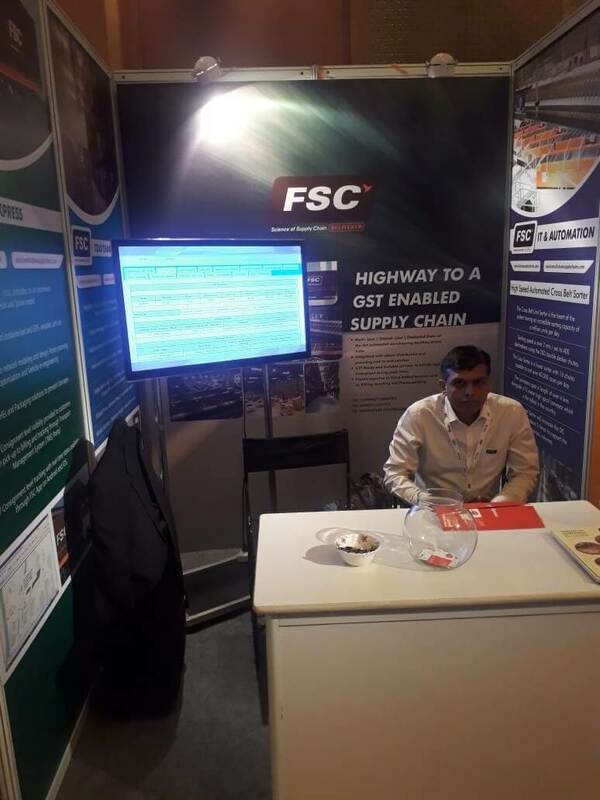 Managed Terminal for Mumbai and Kolkata Airports. 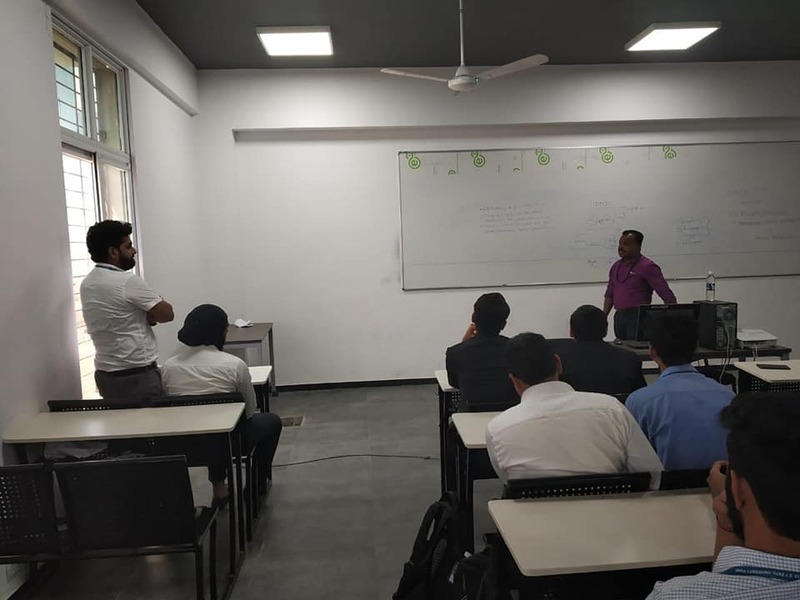 Guest Lecture was organized for our BBA/MBA Aviation Management students at our Pune campus. 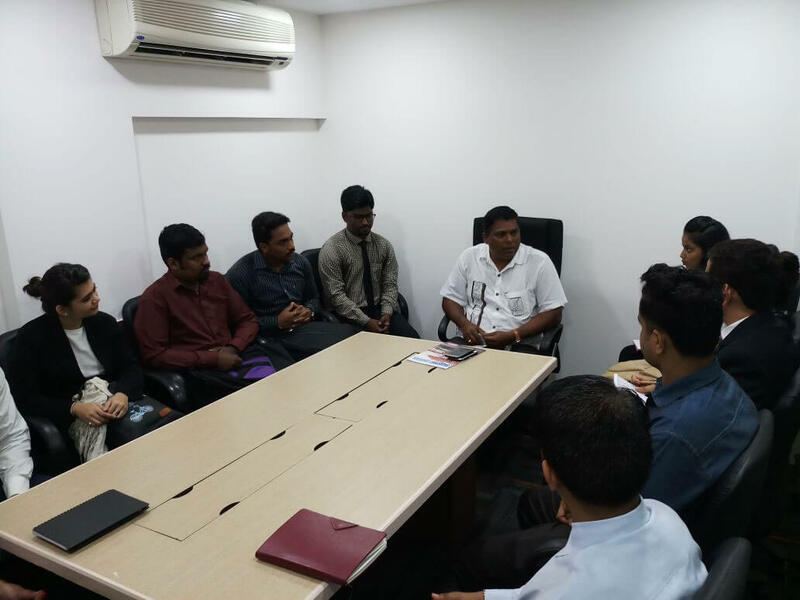 Guest speaker: Mr. Rocky Xavier working as Manager at Pune Airport, Looking after sales and operations department from last seven years. 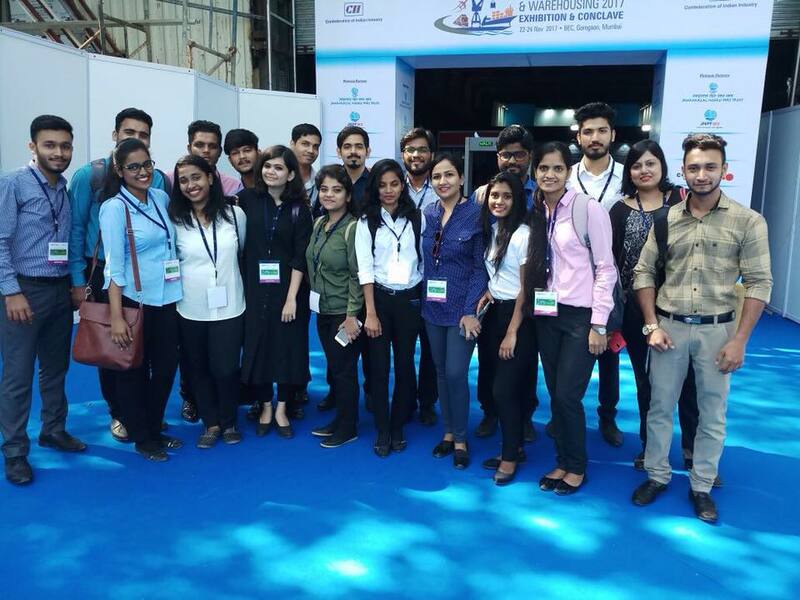 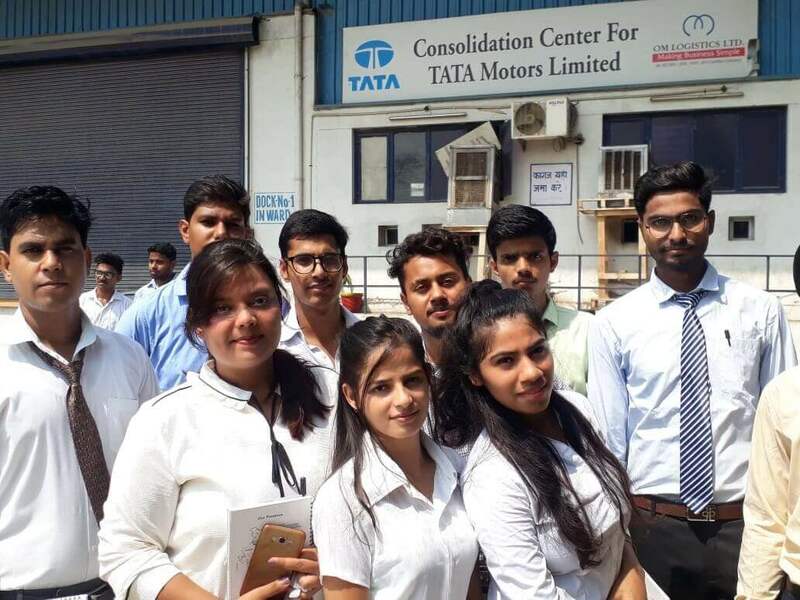 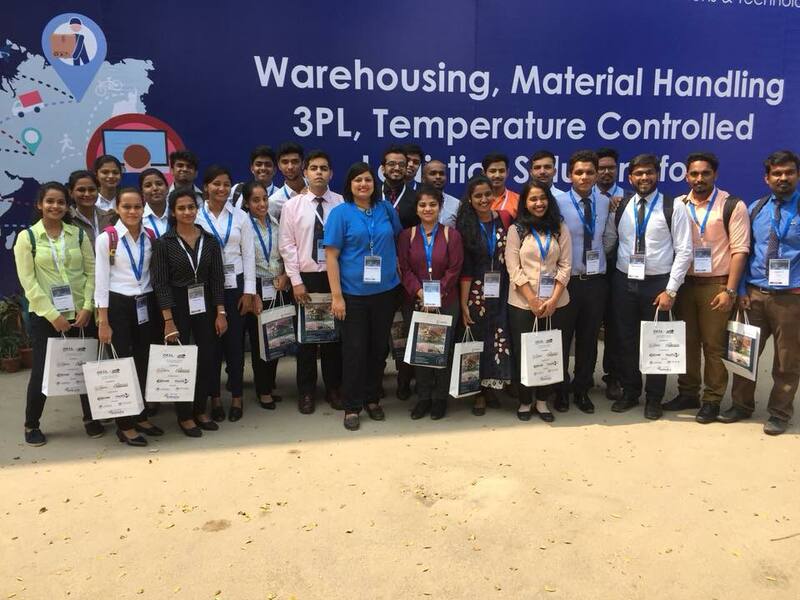 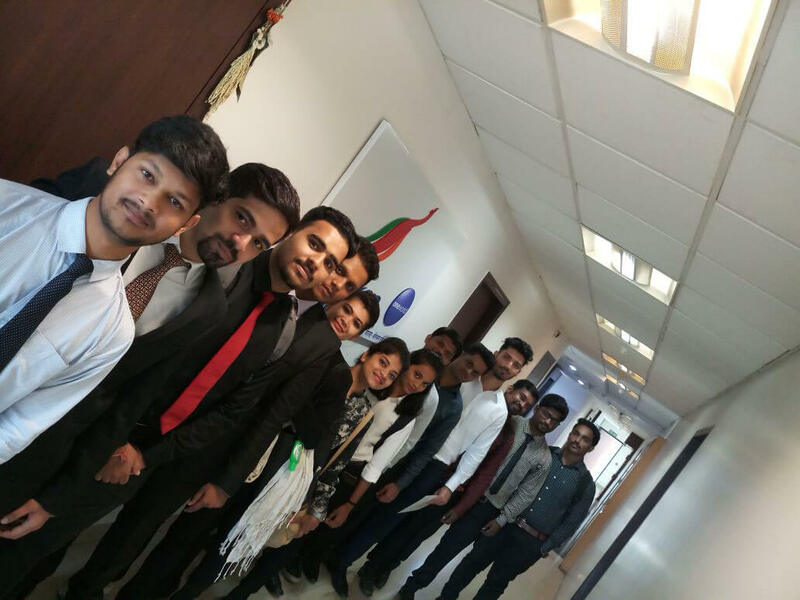 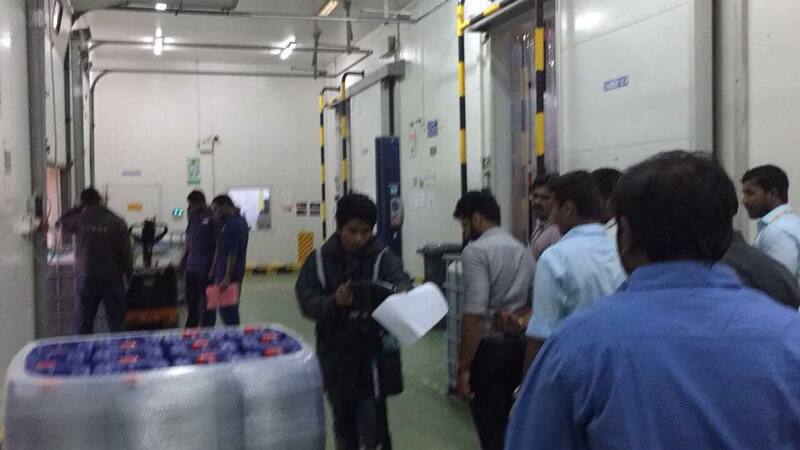 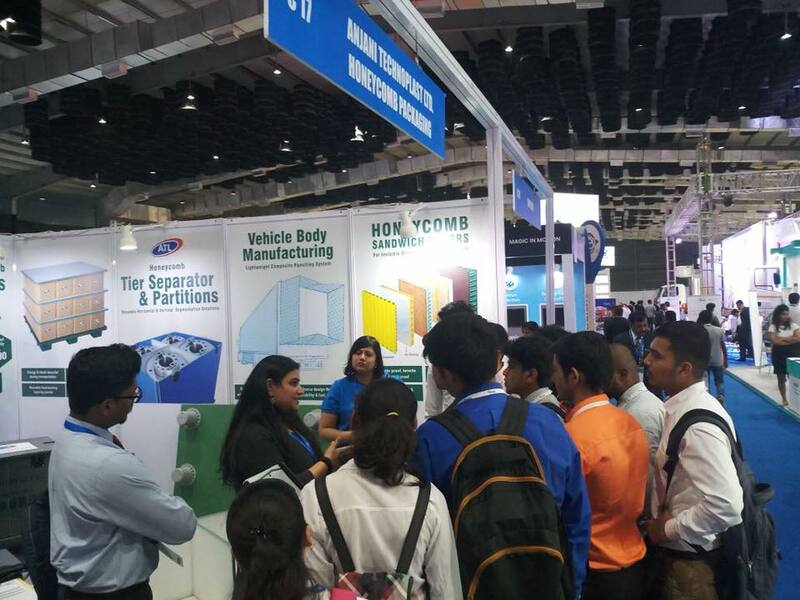 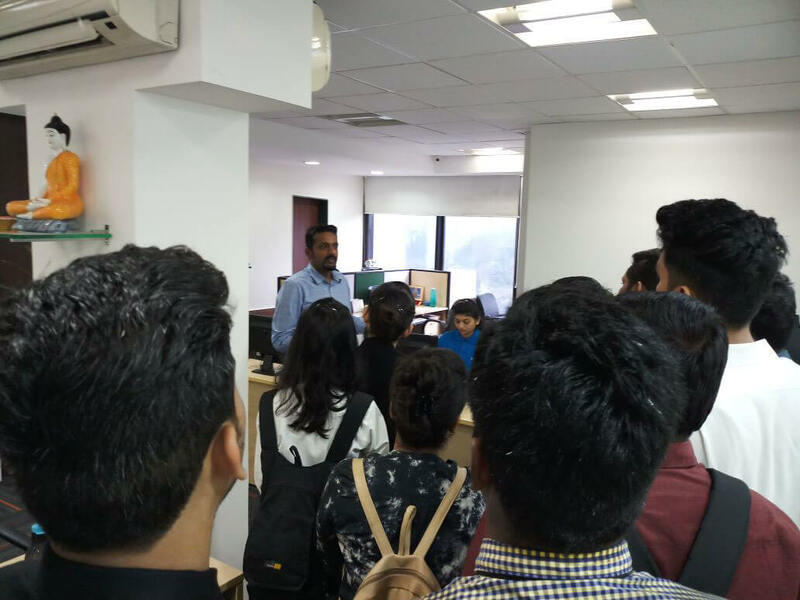 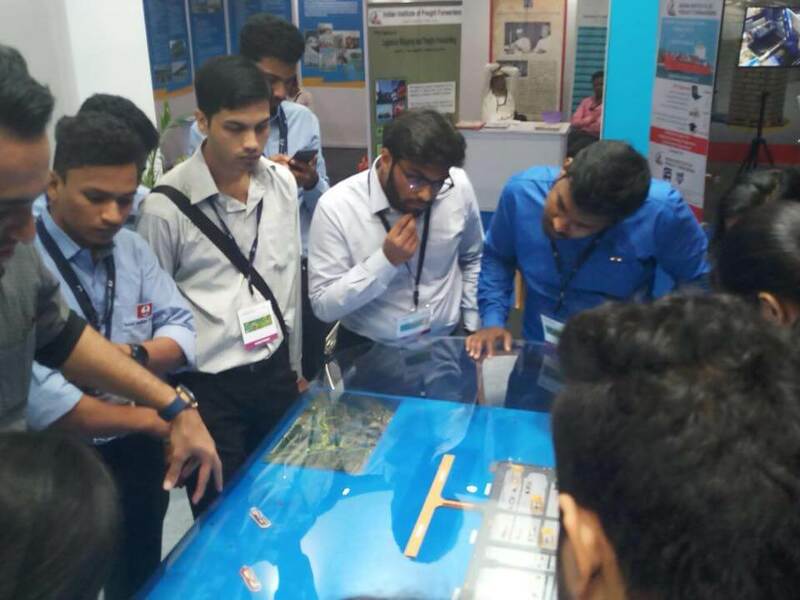 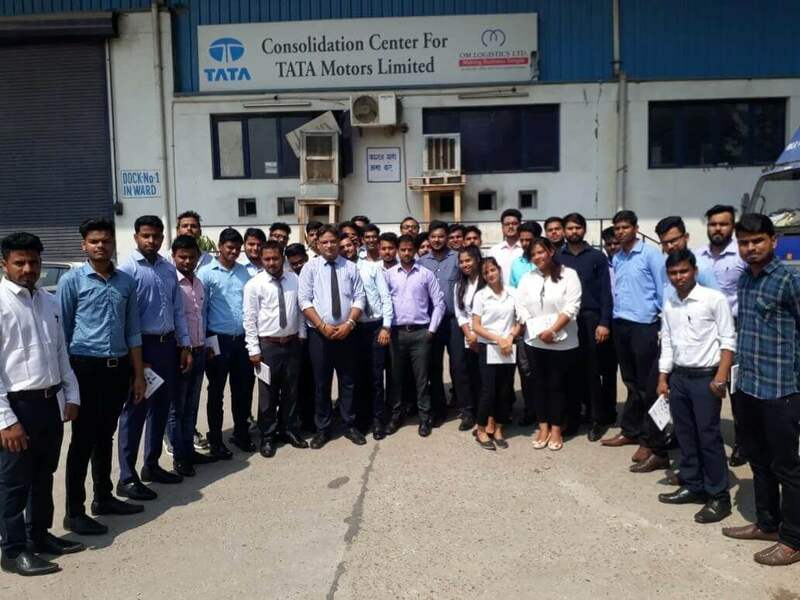 Students from Dania Academy, pursuing Logistics & Supply Chain Management program visited our Mumbai Campus. 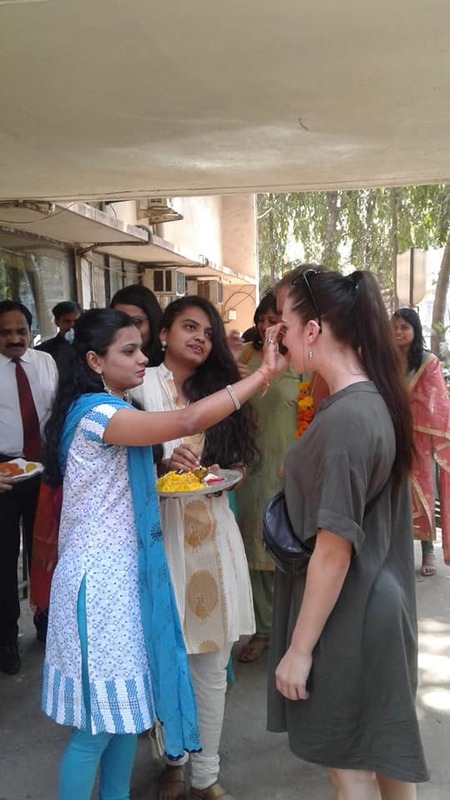 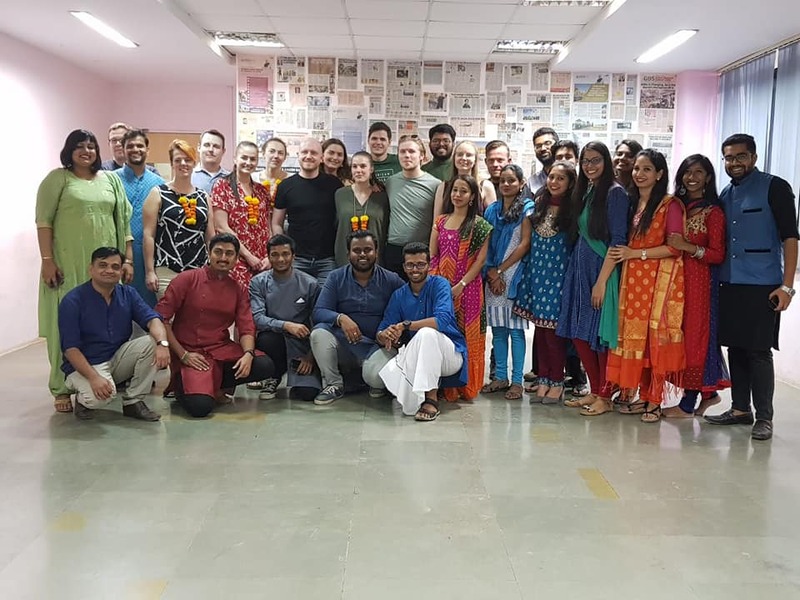 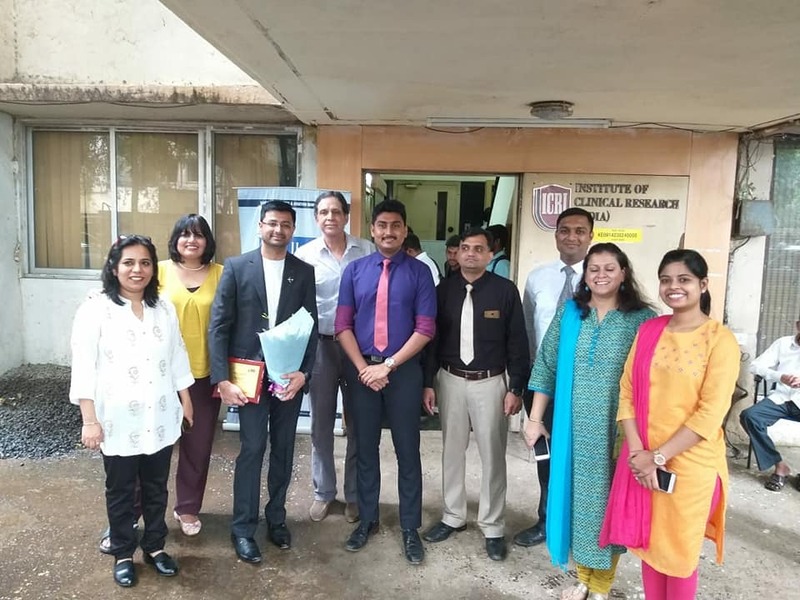 They were given a traditional Indian welcome followed by a presentation given by our Mumbai batch students. 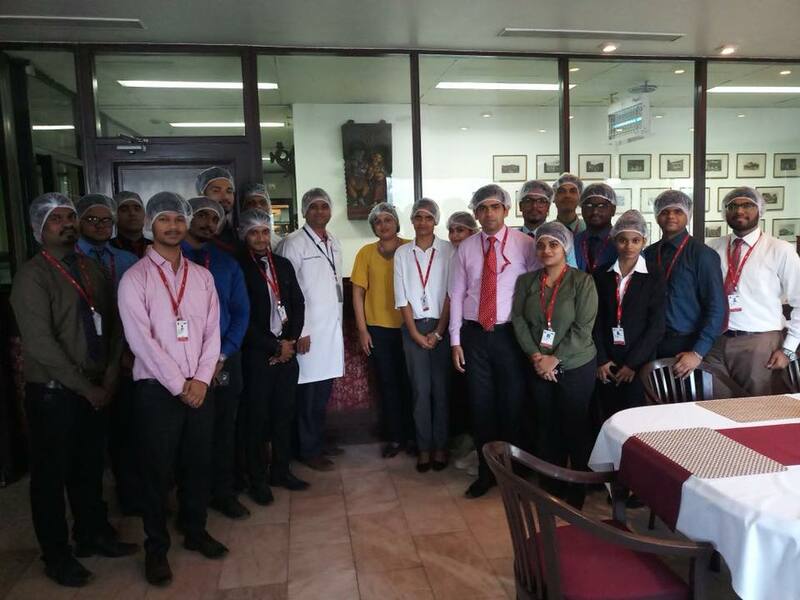 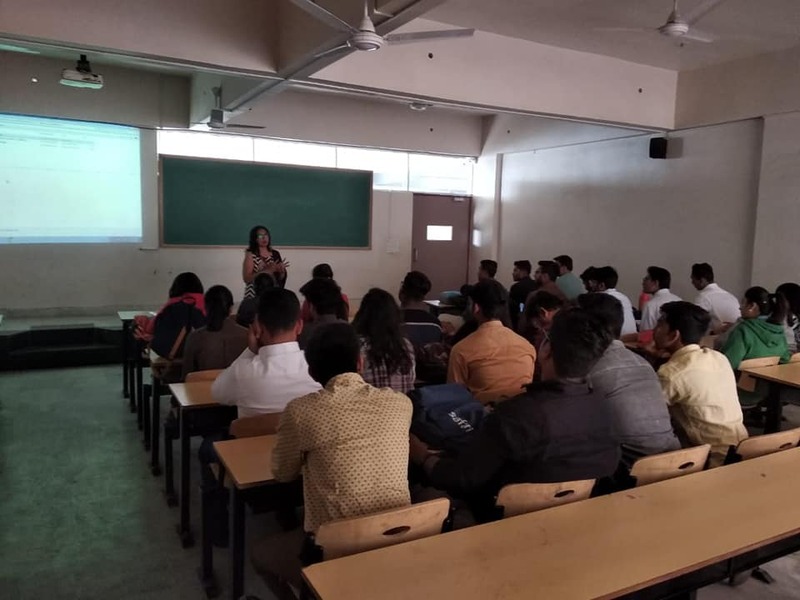 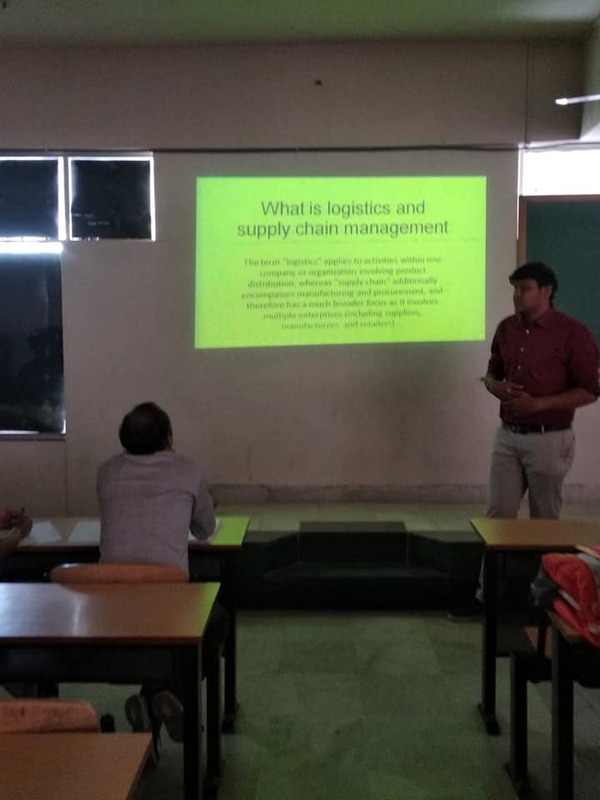 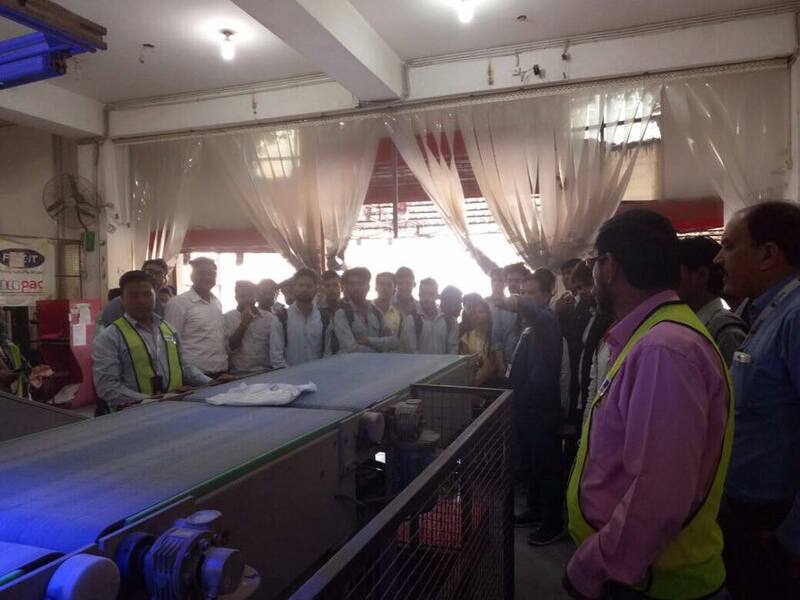 An industrial visit was organised for our MBA Logistics & Supply Management students, Pune Campus. 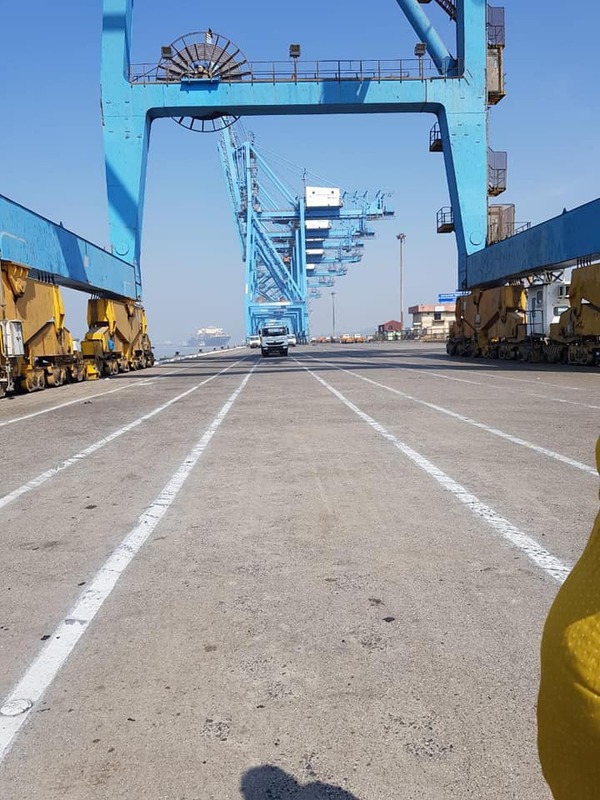 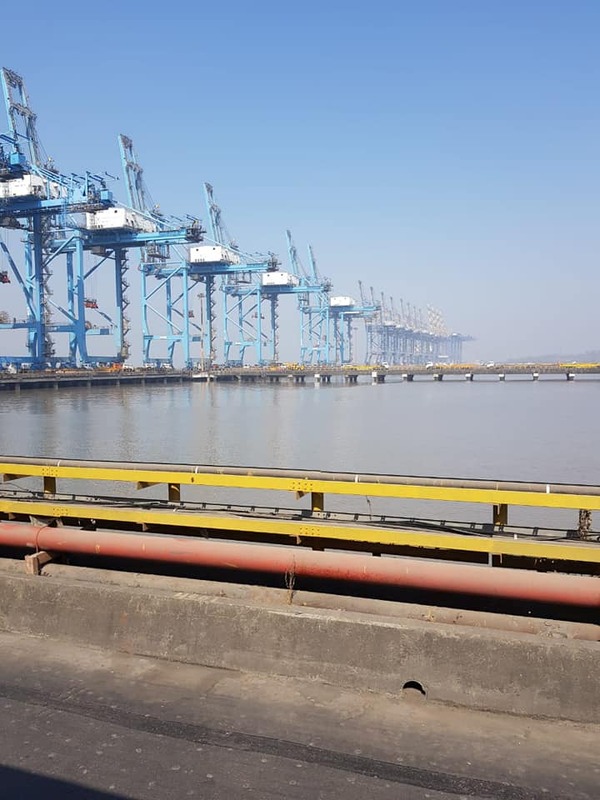 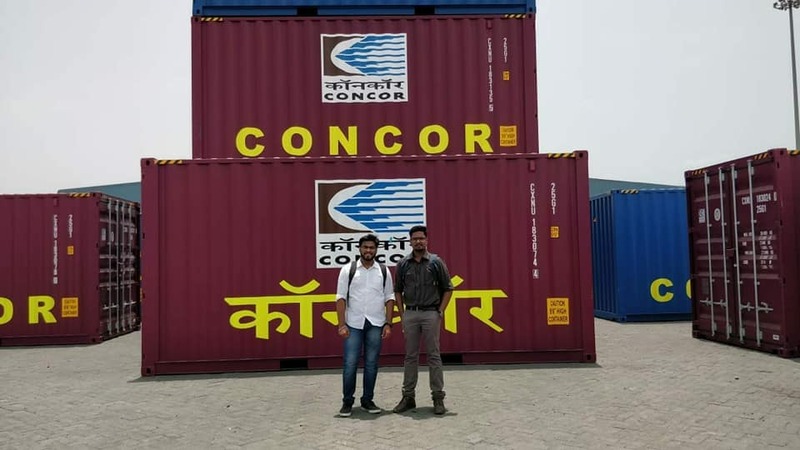 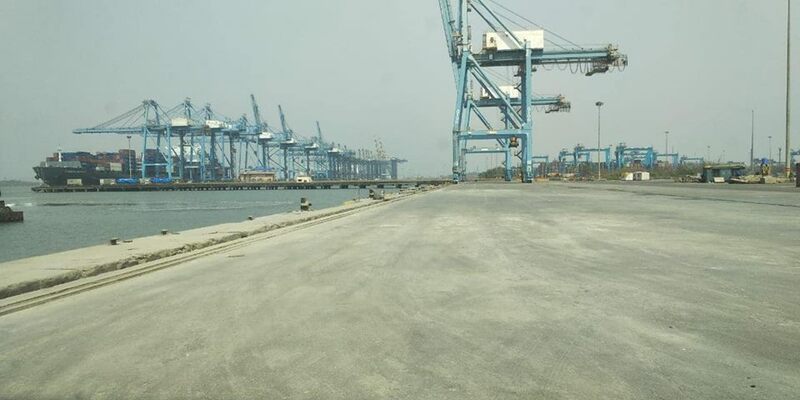 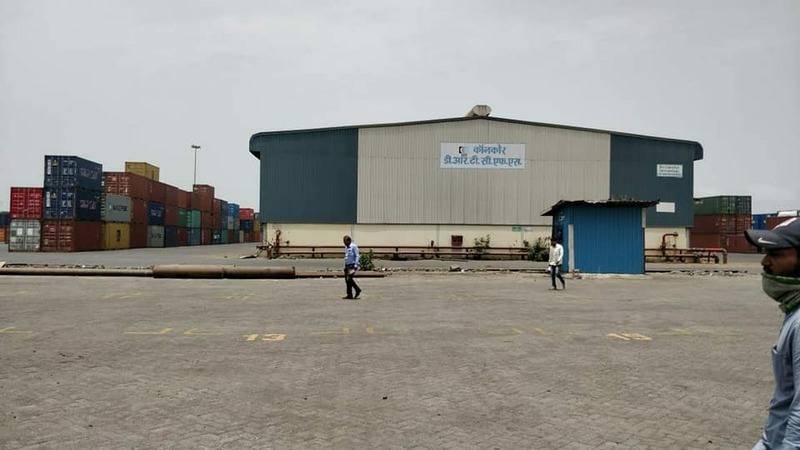 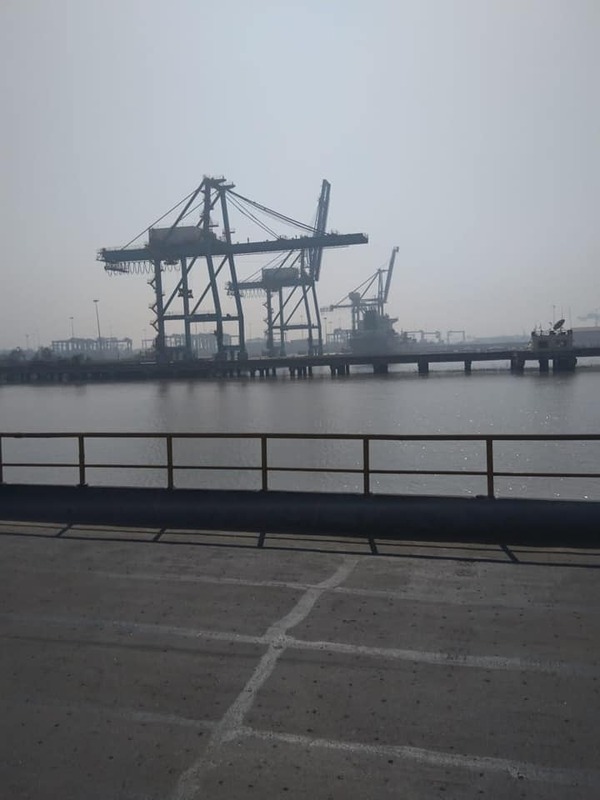 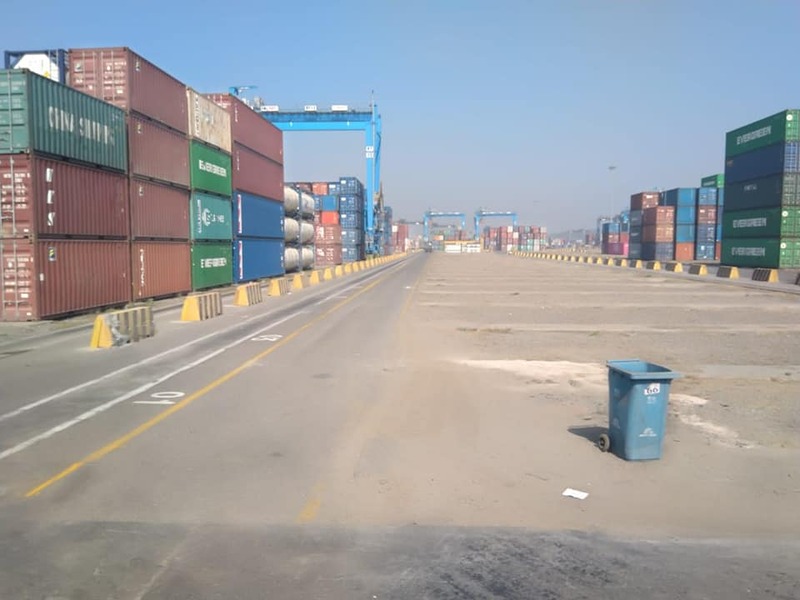 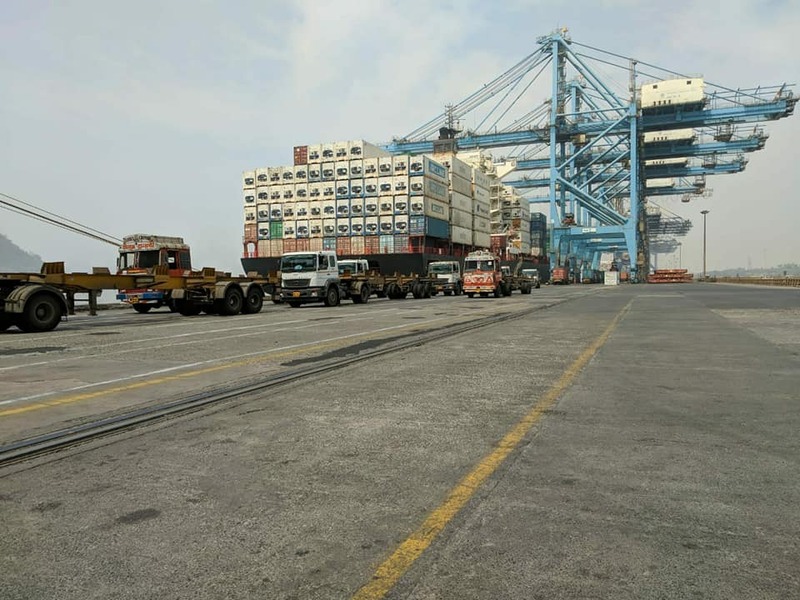 They visited JNPT - Jawaharlal Nehru Port Trust which is located in Panvel.